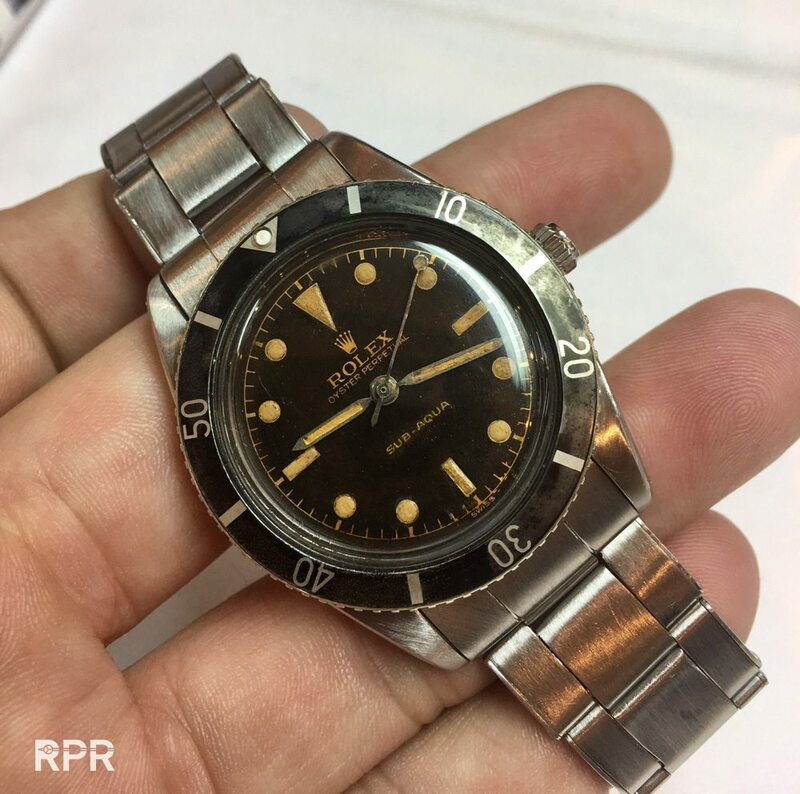 Melancholically i’m looking back to some 3.5 years ago when I was commissioned to offer € 4 million for this steel Ref 1518 but the strong offer got rejected. 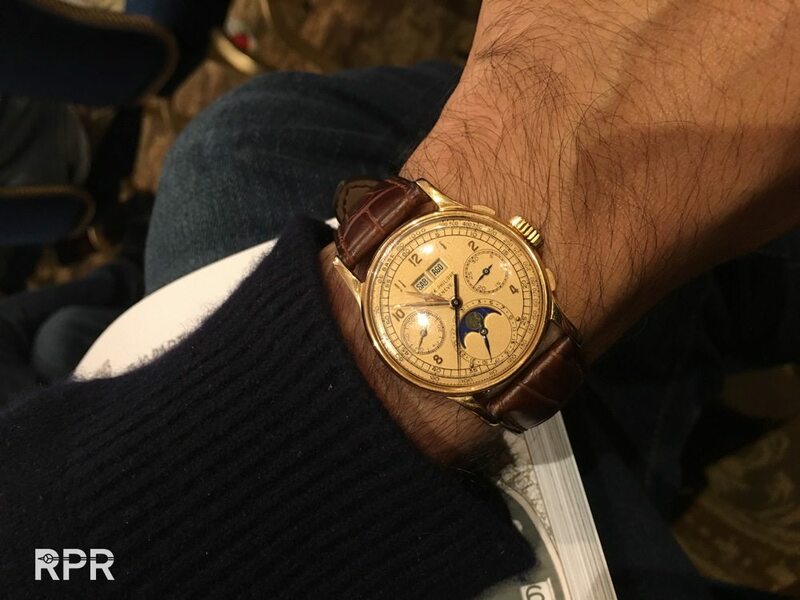 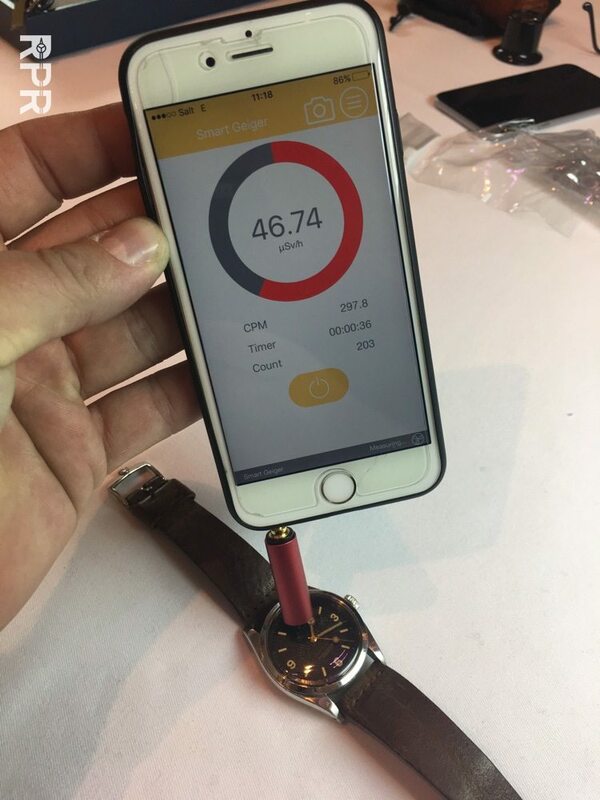 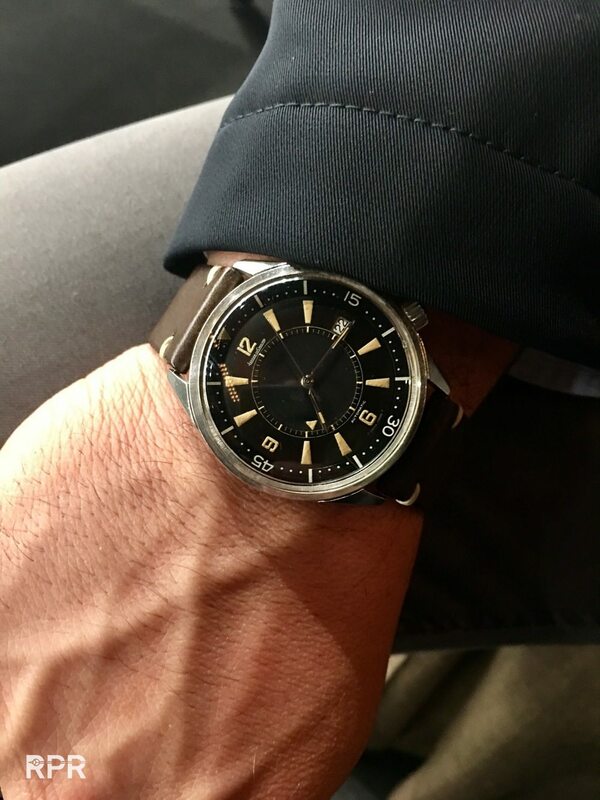 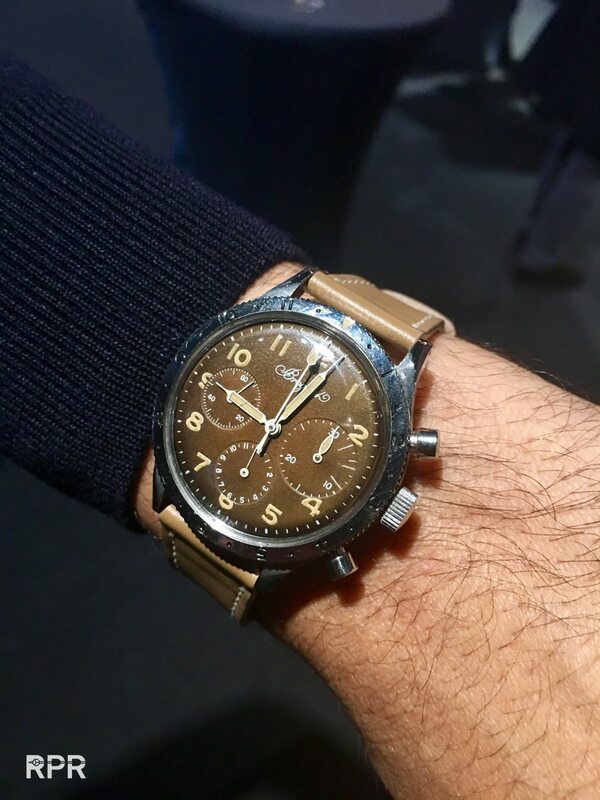 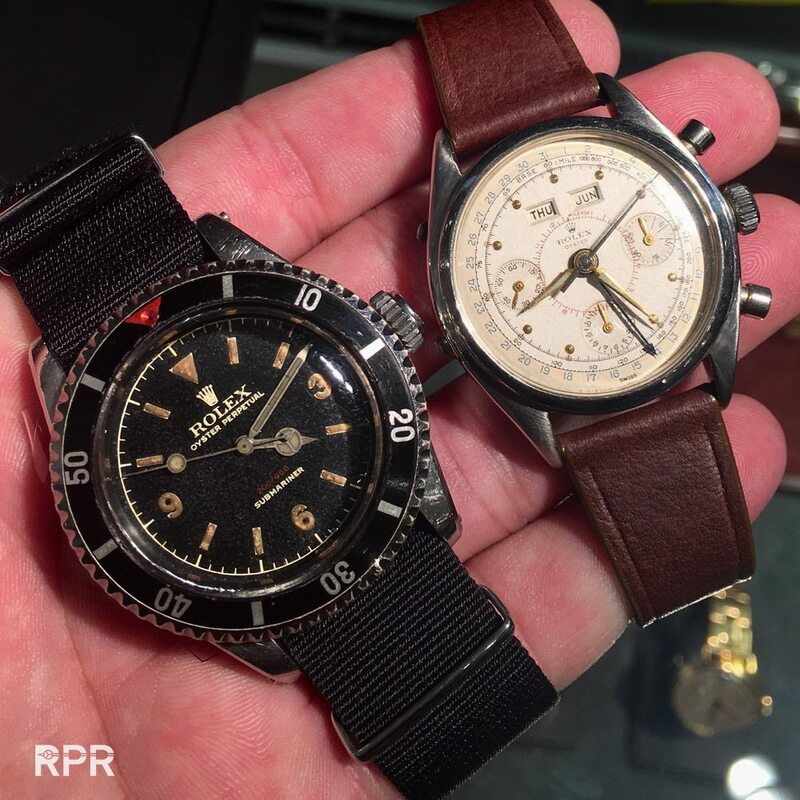 A lot has happened since those last 3.5 years in the vintage watch market. 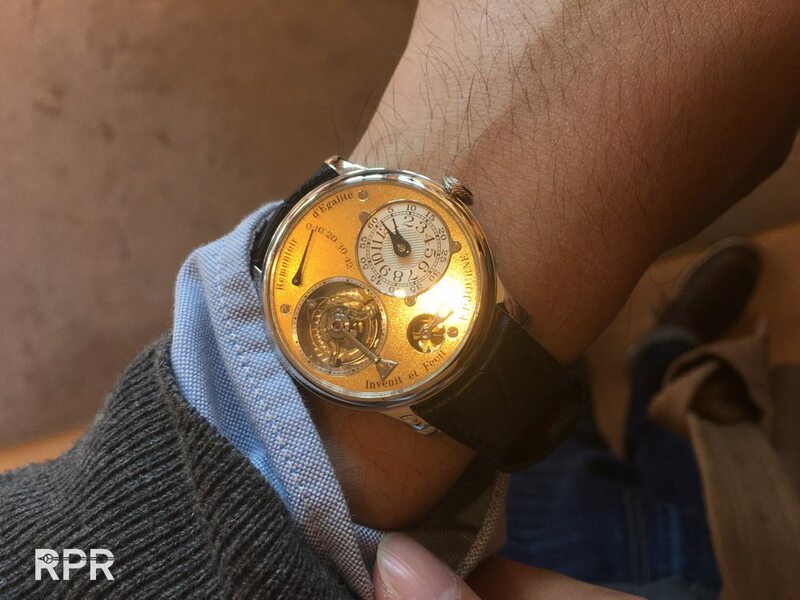 As a close spectator I can assure you that I noticed that new, mostly young, collectors are stepping up. 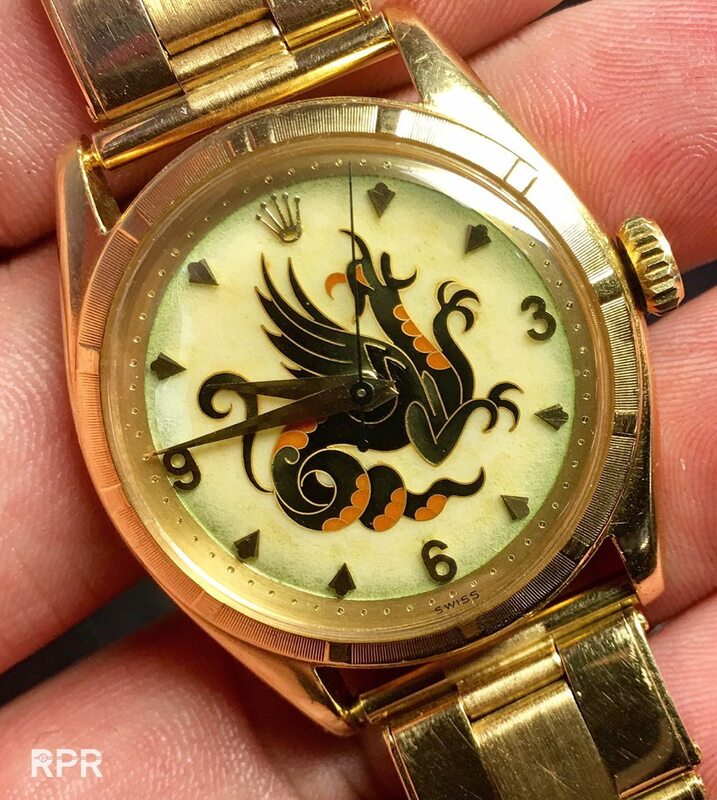 Actually the usual suspects where very reserved this auction weekend, hence the some what disappointing results of for instance of the Rolex cloisonné dragon. 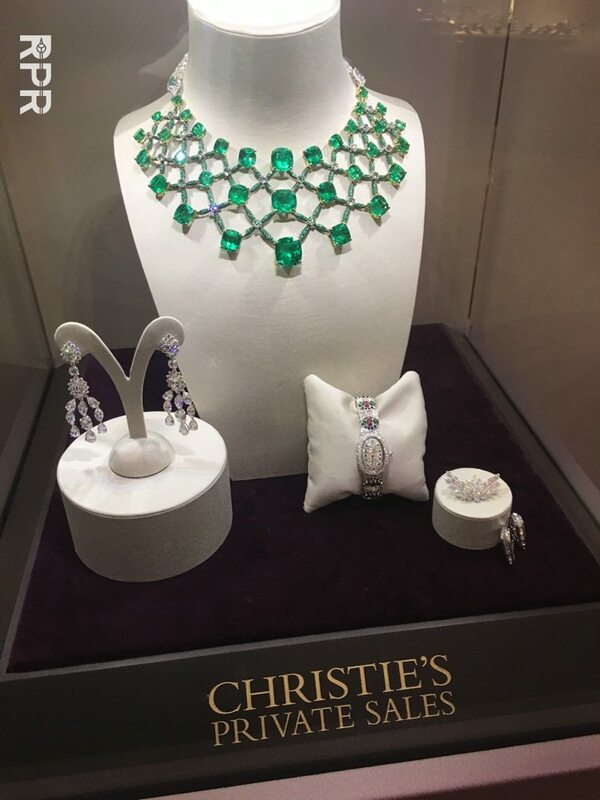 Nevertheless achieving all over good results tells me that the market is very strong for quality. 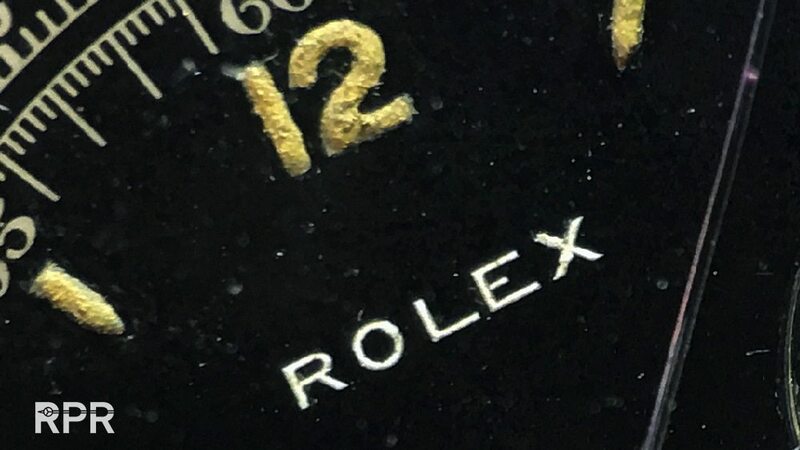 As we for instance also see in the established art & car market, the supply of great quality has become the mayor problem for auction houses. 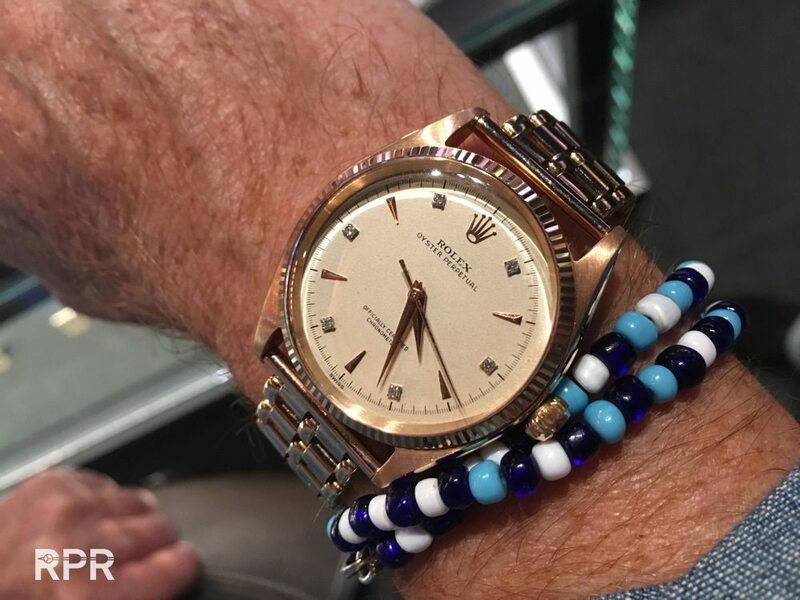 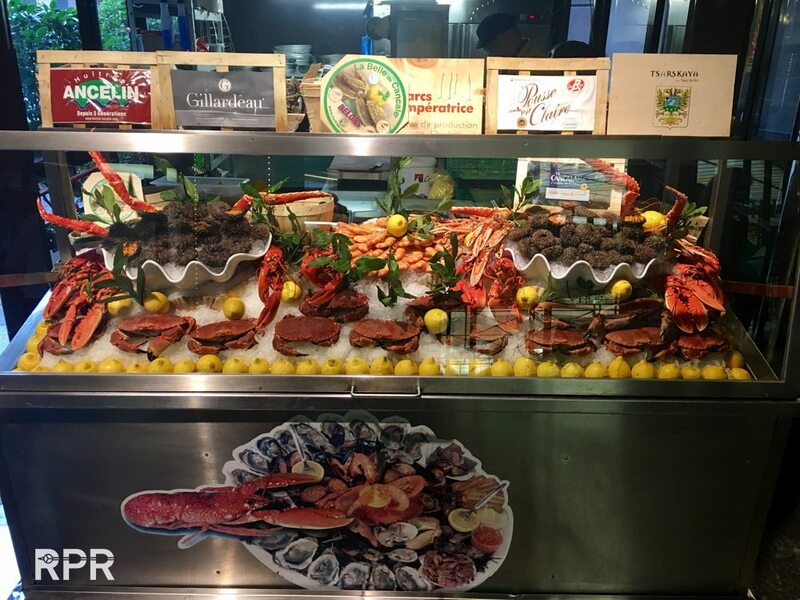 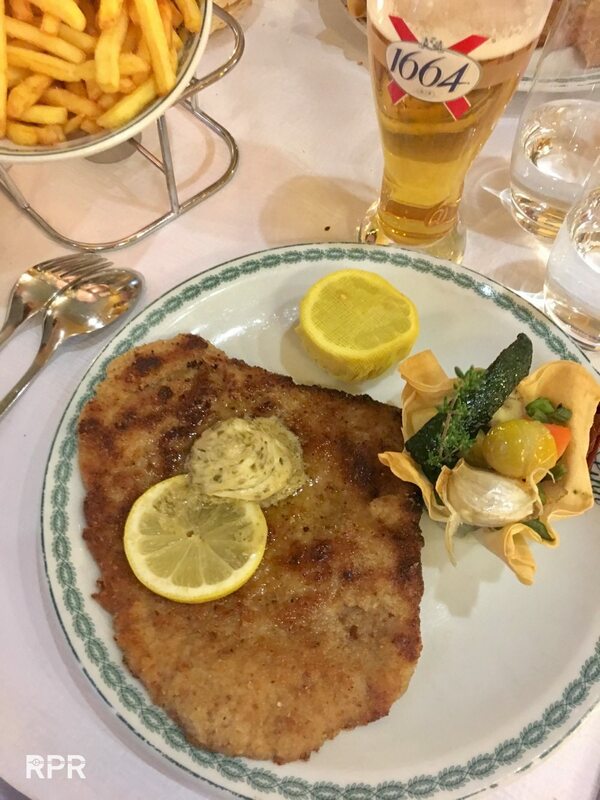 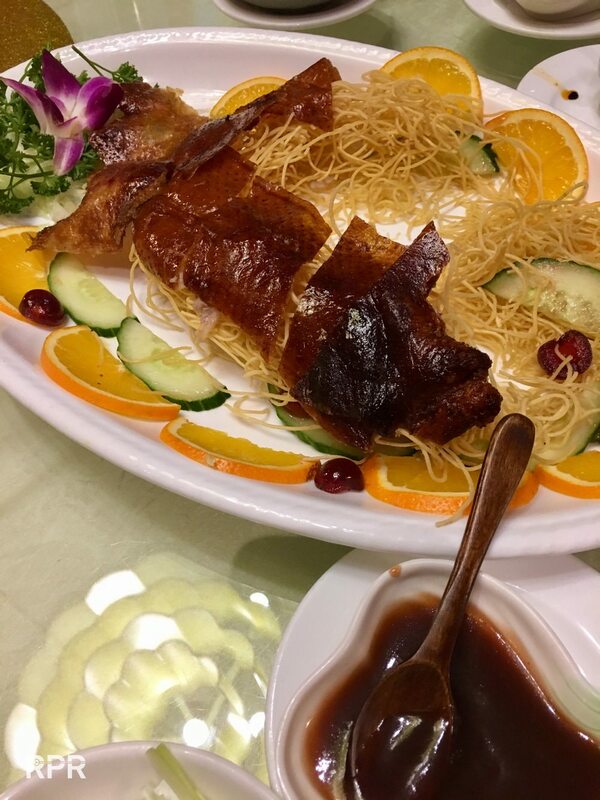 That doesn’t mean these don’t come to offer but instead of going public, owners choose to sell directly in privat, stimulated by social media like Instagram. 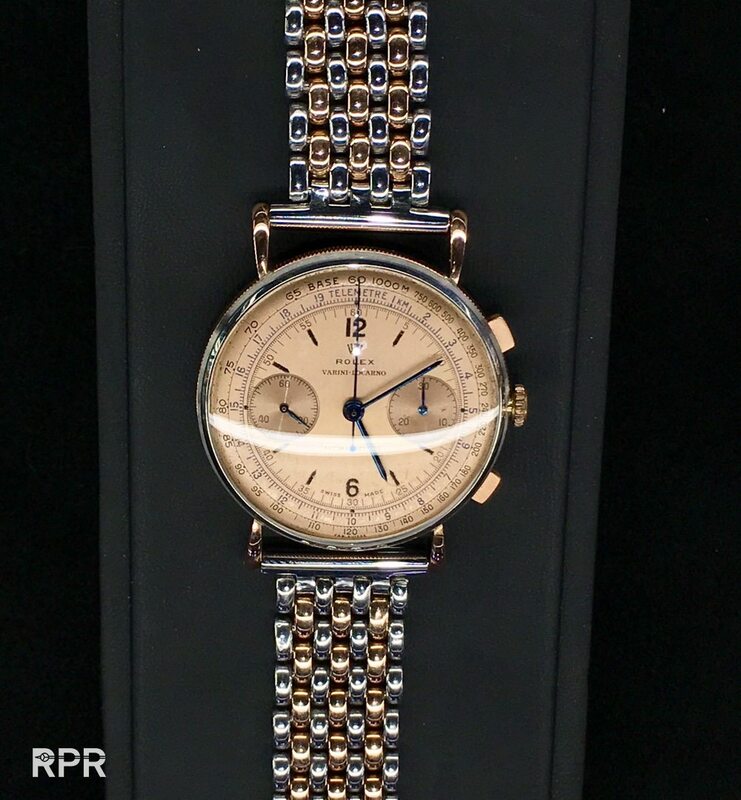 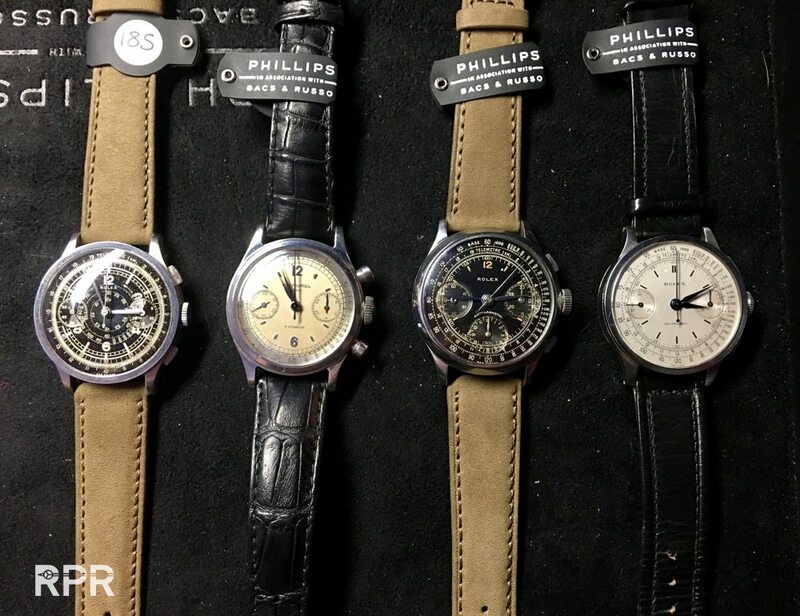 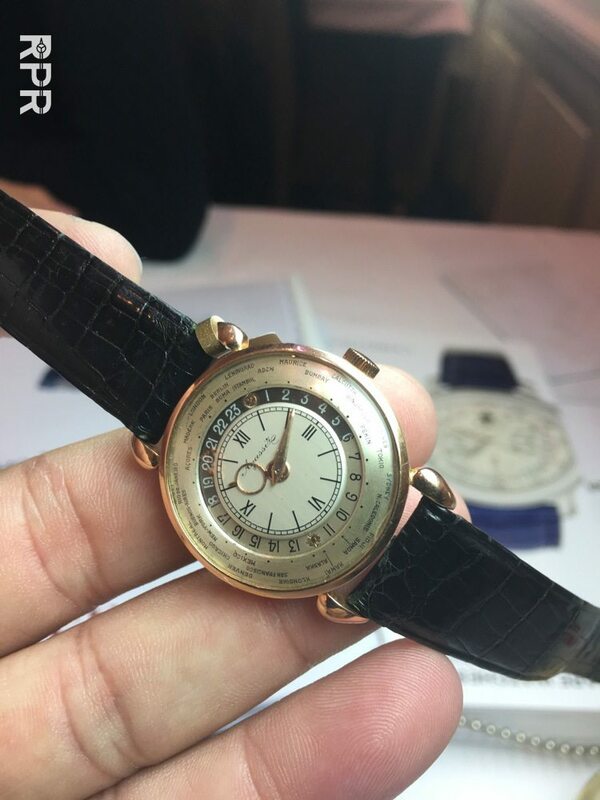 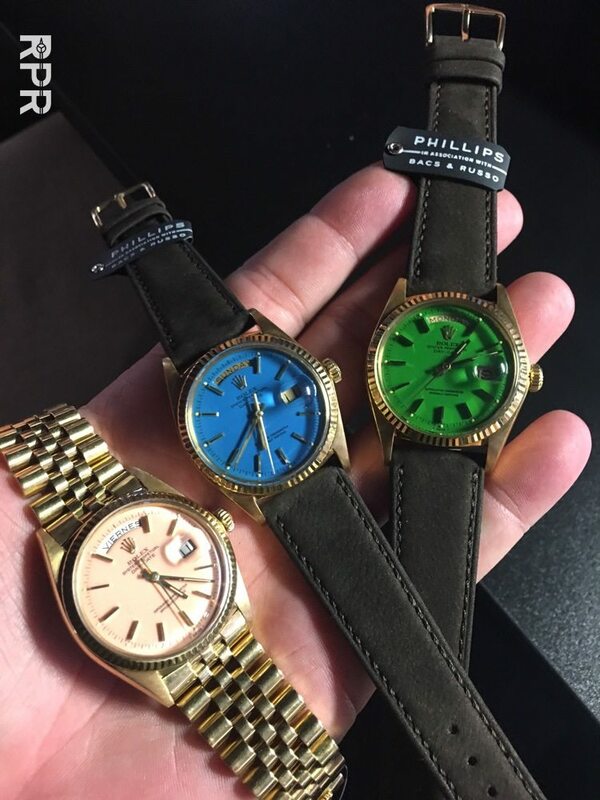 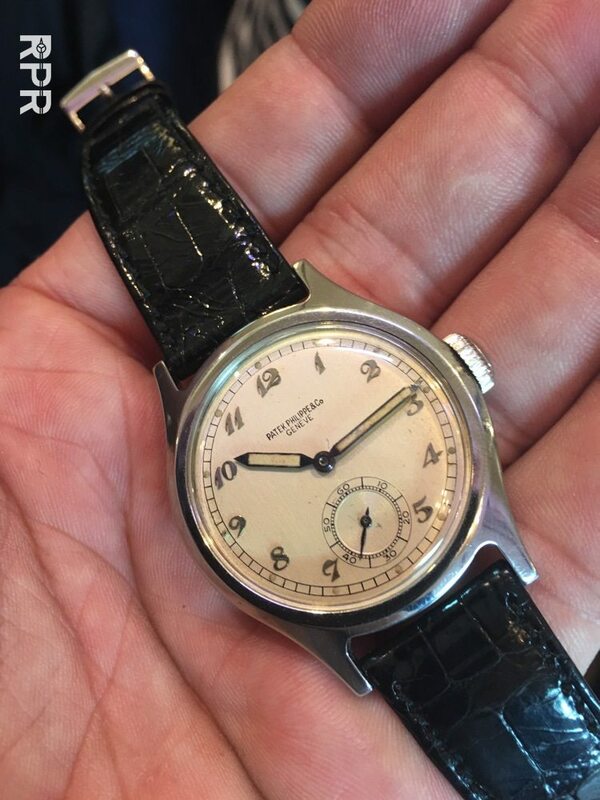 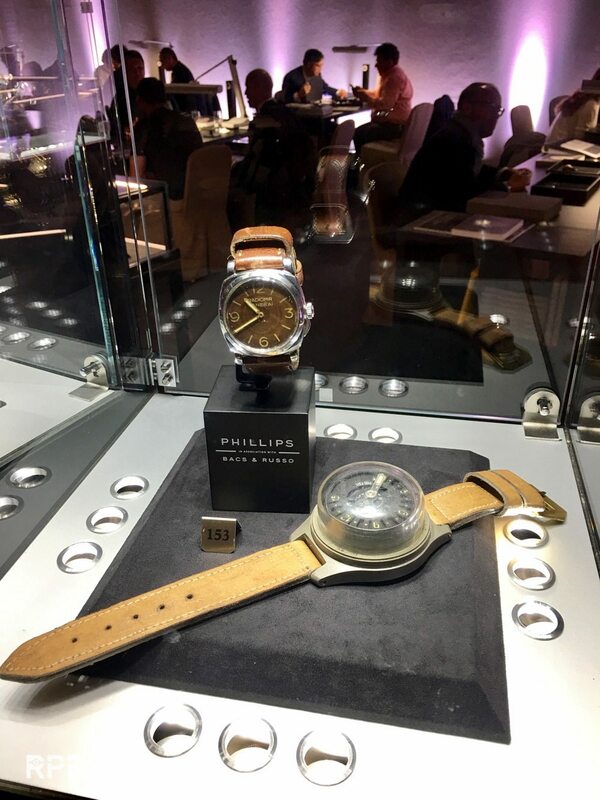 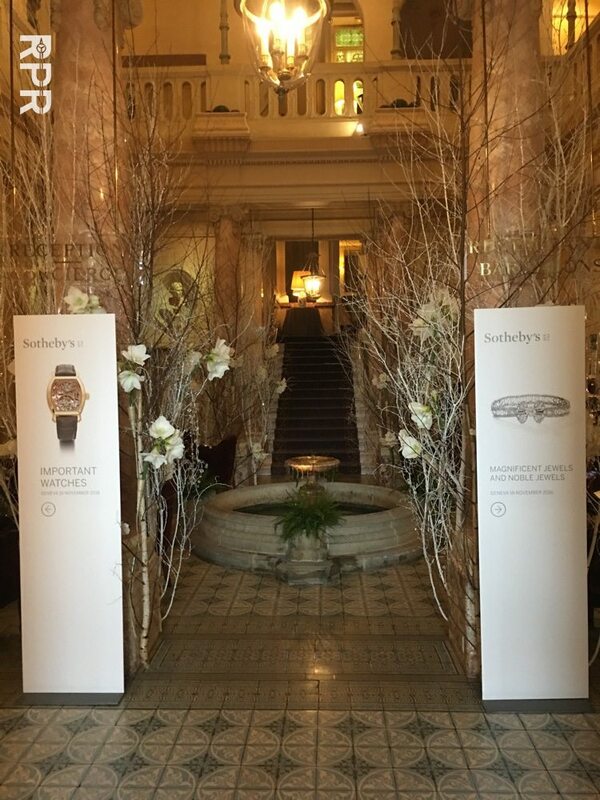 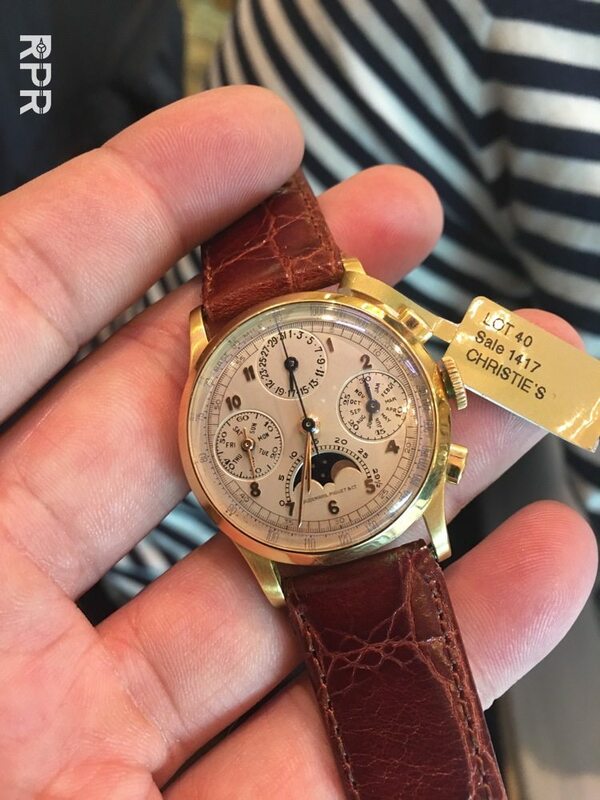 Phillips Watches is indeed the most important auction house at the moment. 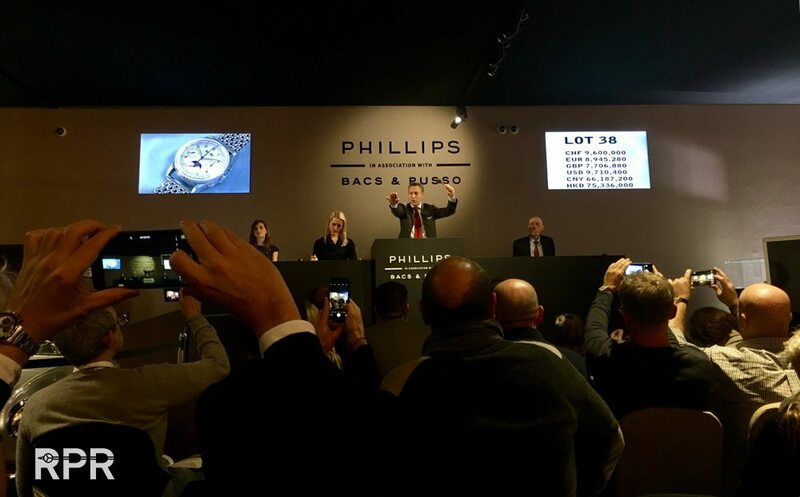 As big as Christie, Sotheby’s and Antiquorum combined the market leader perform again selling 93% of the lots and 97% by value. 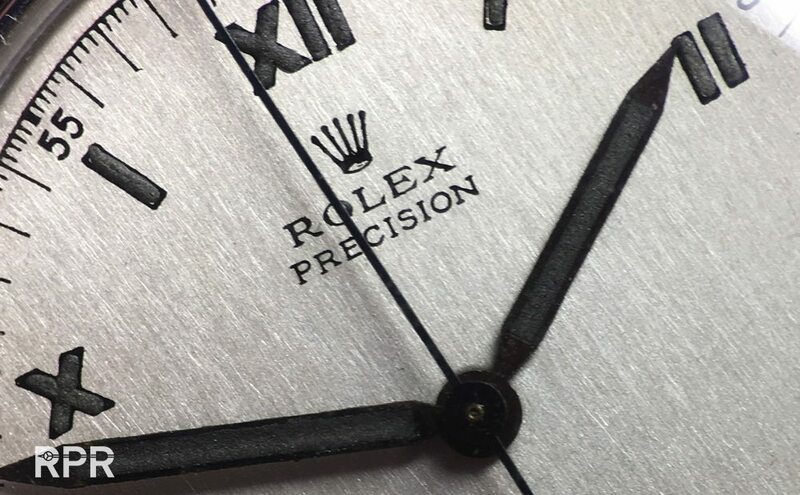 You can read their news over here on their website. 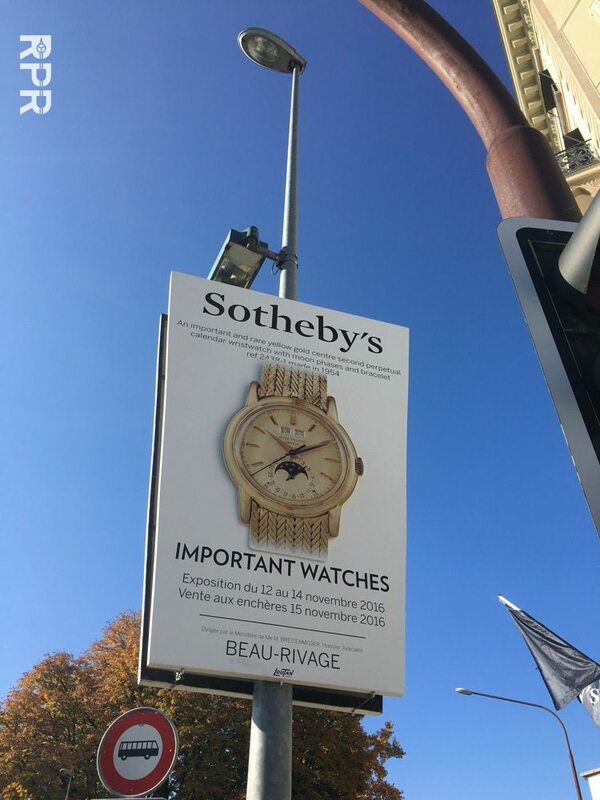 Christie’s 14.7 million swiss franc auction sales you find here. 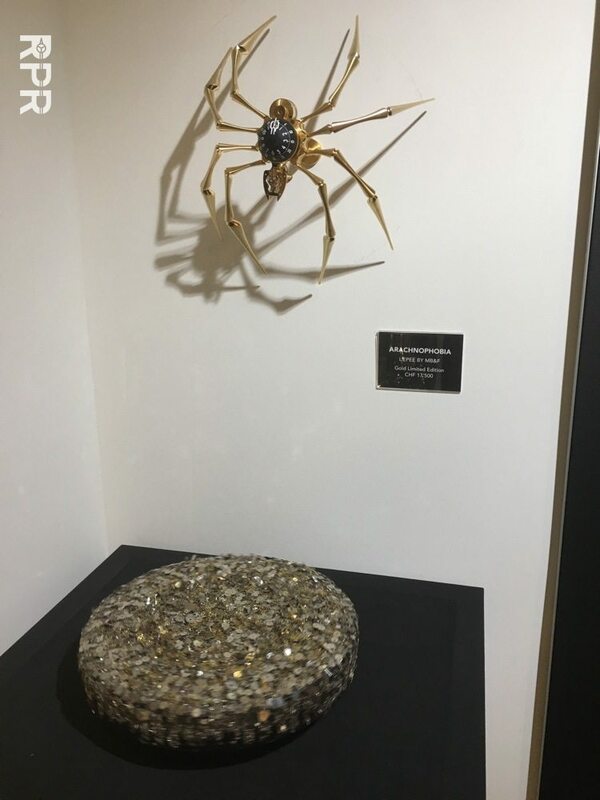 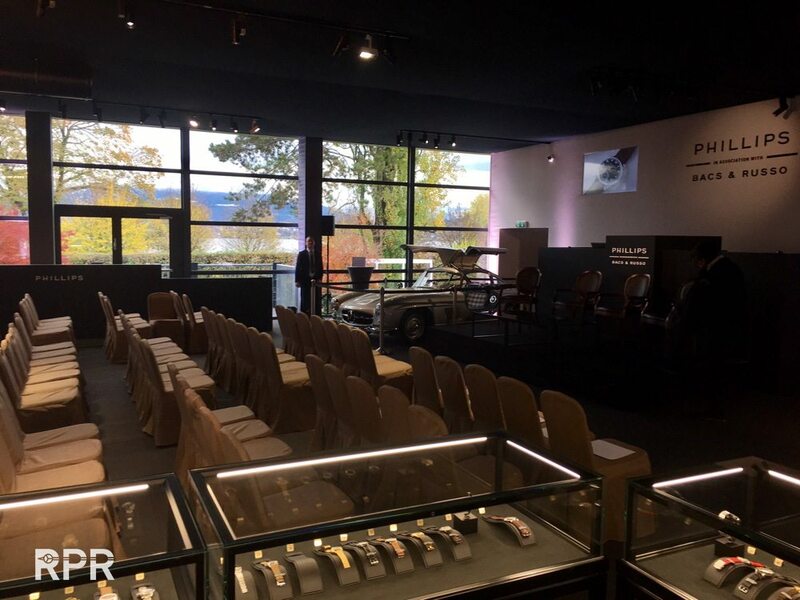 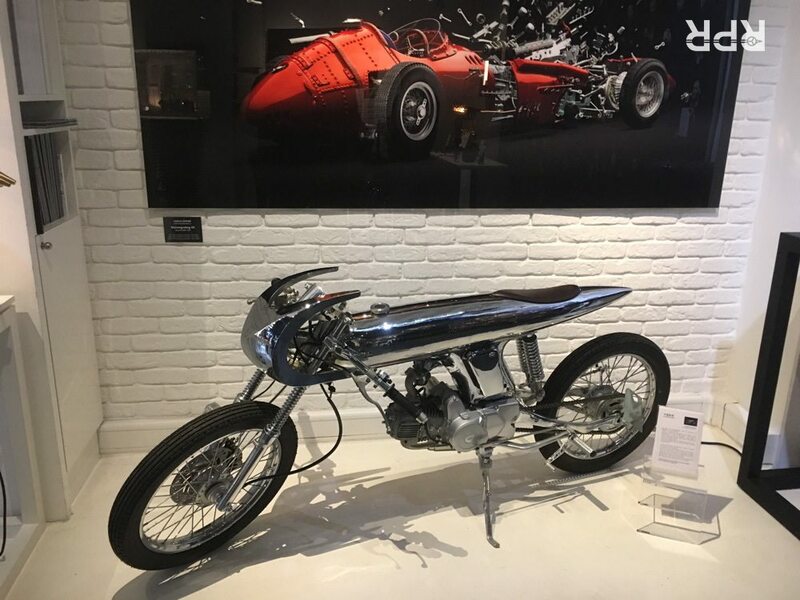 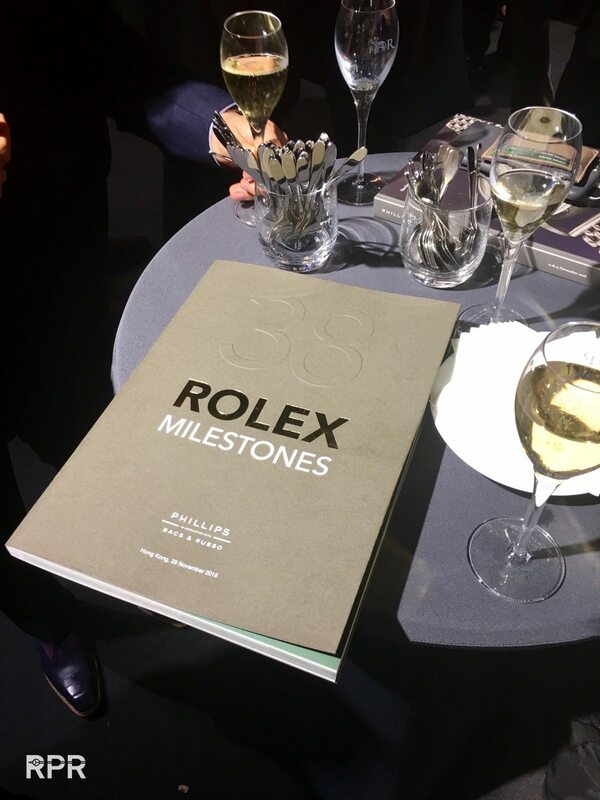 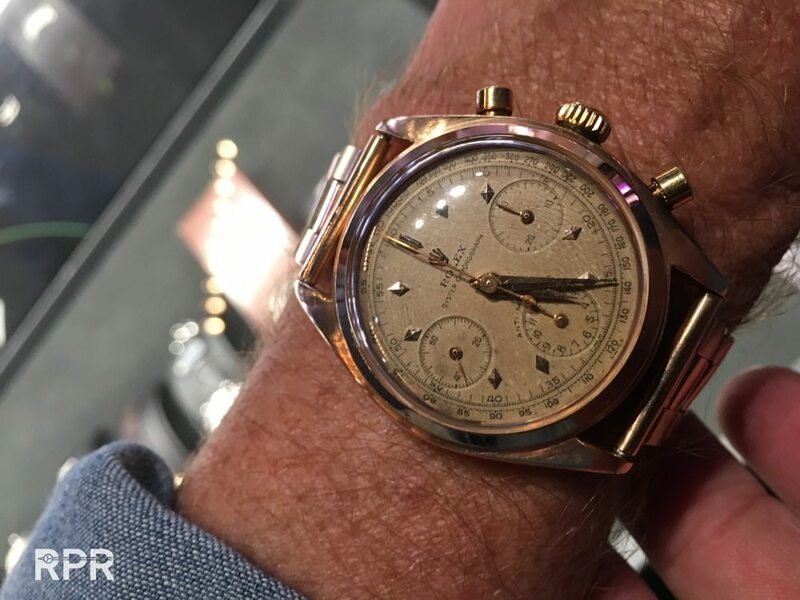 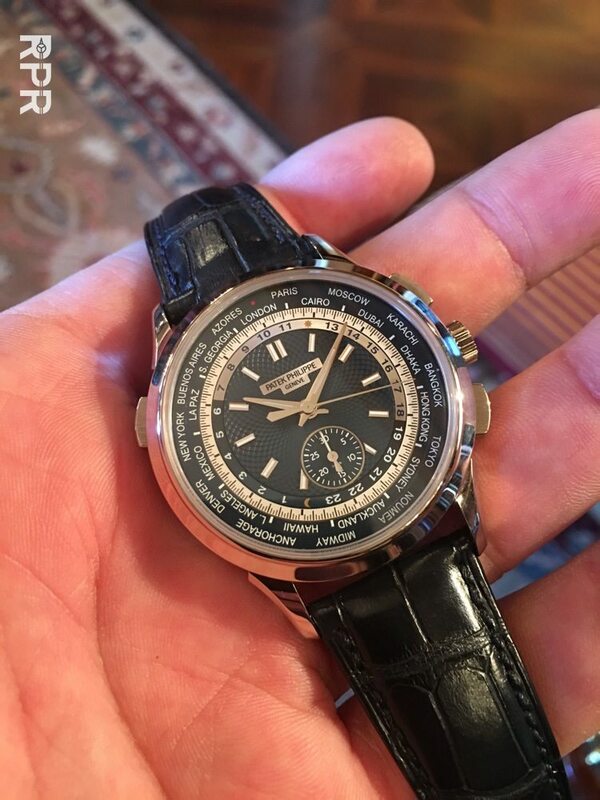 Antiquorum’s 5.3 million swiss franc auction news and results you find here and Sotheby’s auction sales you find over here. 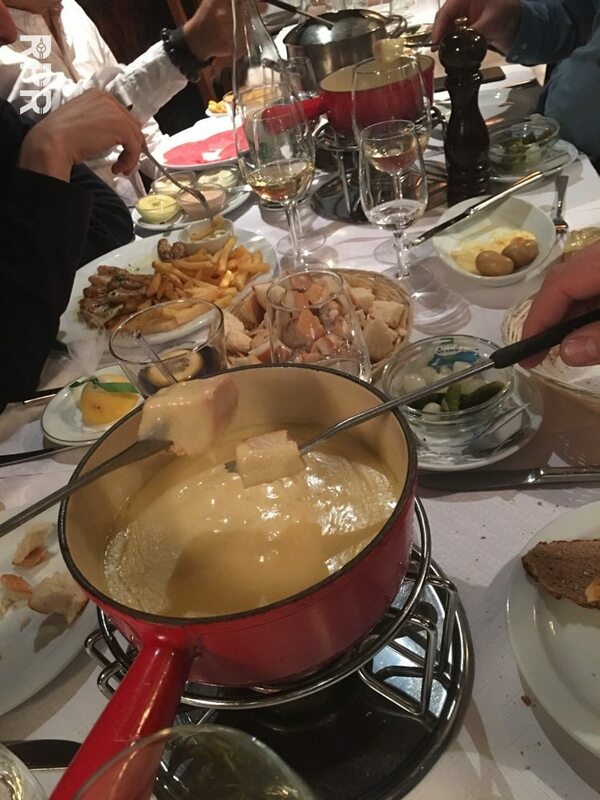 Now I’ll show you some of my impressions of last weekend. 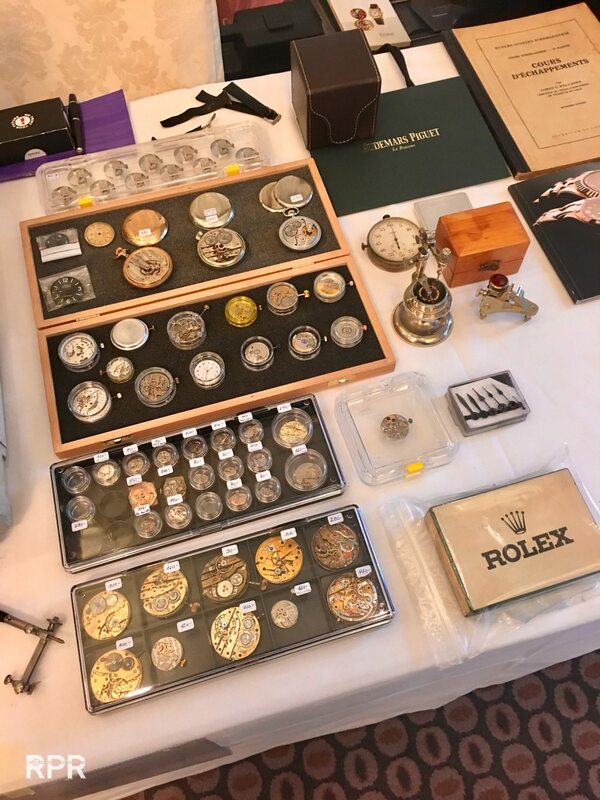 It was again SUPER cool to meet so many great friends during the auctions. 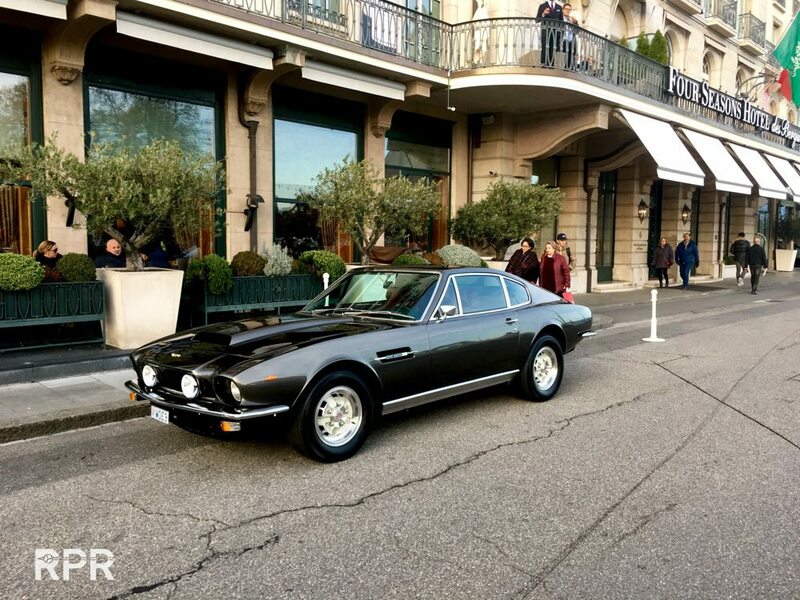 I’m always amazed to see guys from all around the world checking in to Geneva for the auctions! 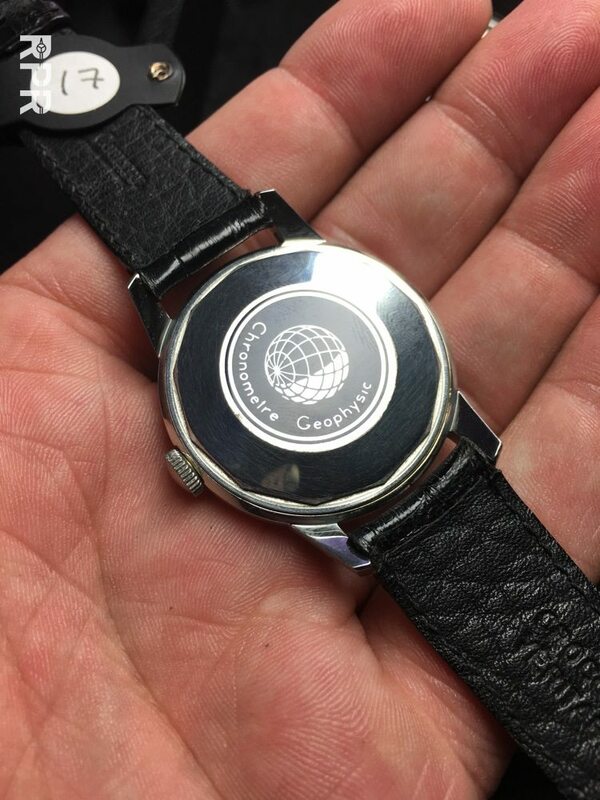 Safe travels guys!! 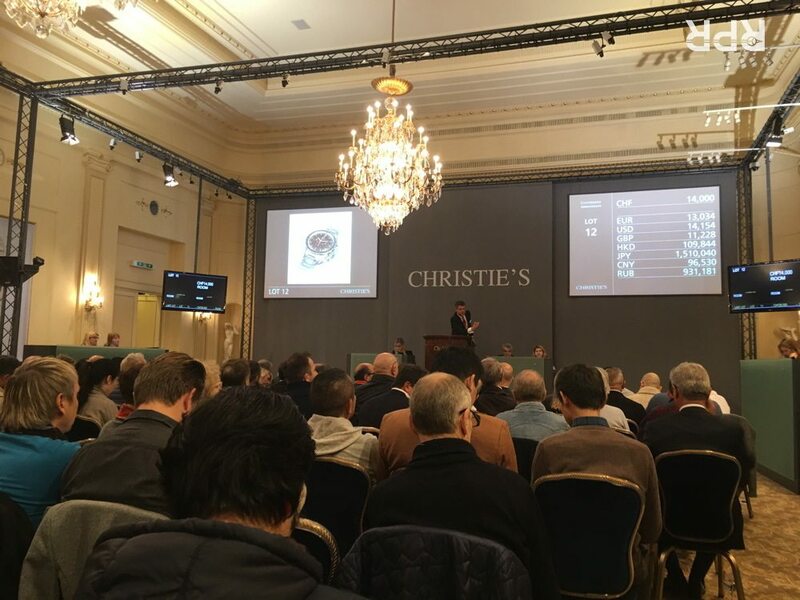 The Cloisonné Dragon sold for CHF 670.000,= all in. 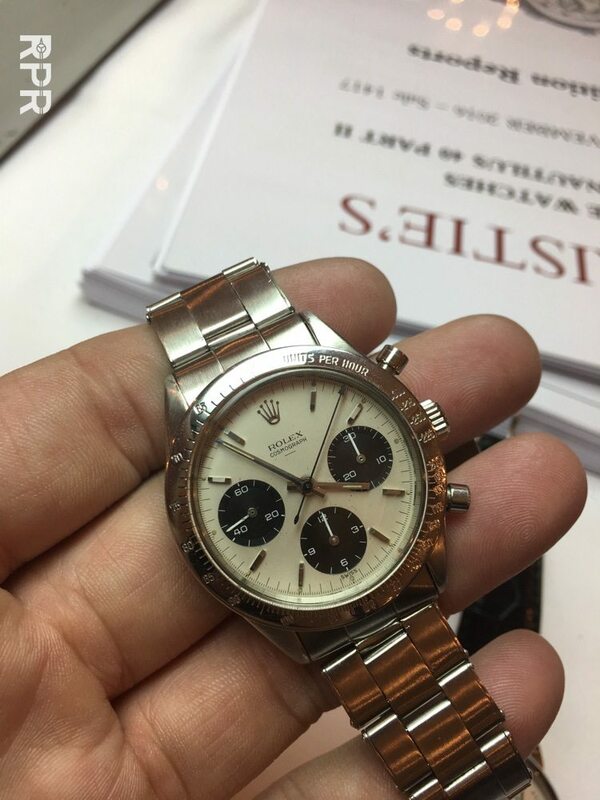 The Big Crown ref 6200 at Christies sold for CHF 272.000,= all in. 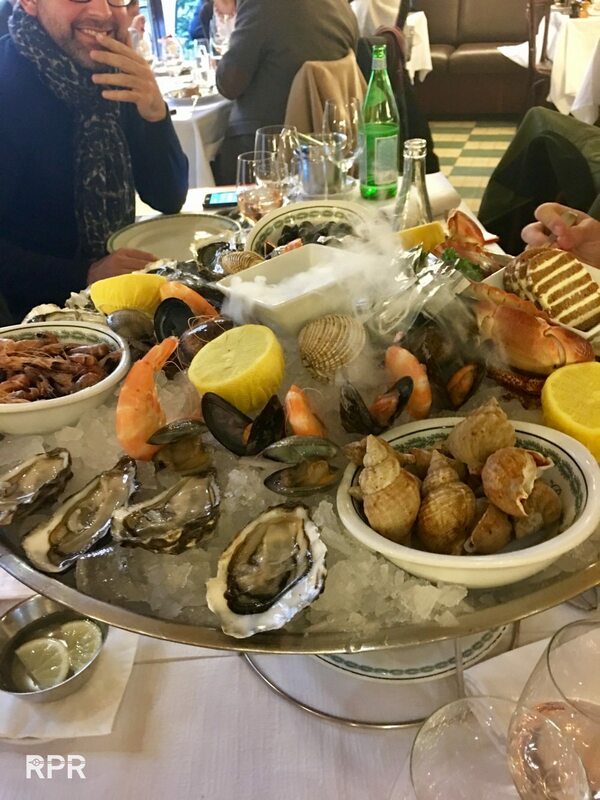 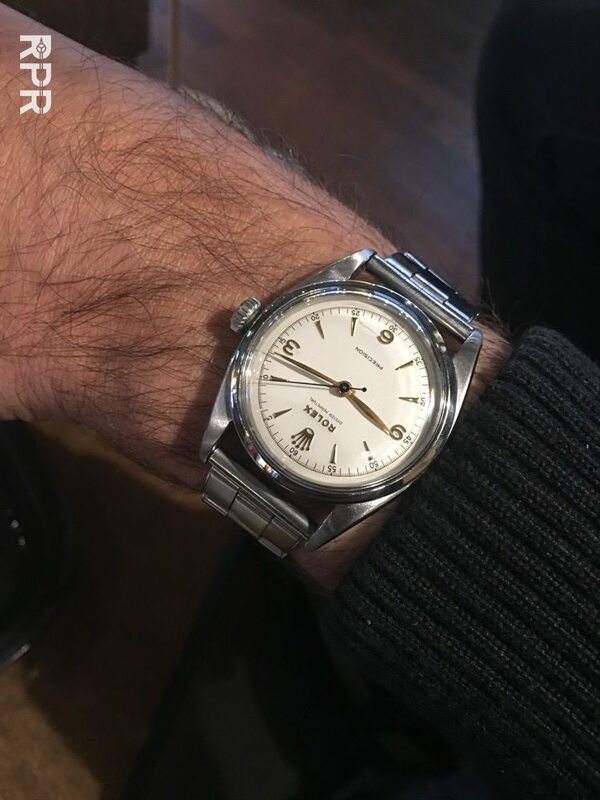 Stella Day Dates at Phillips…. 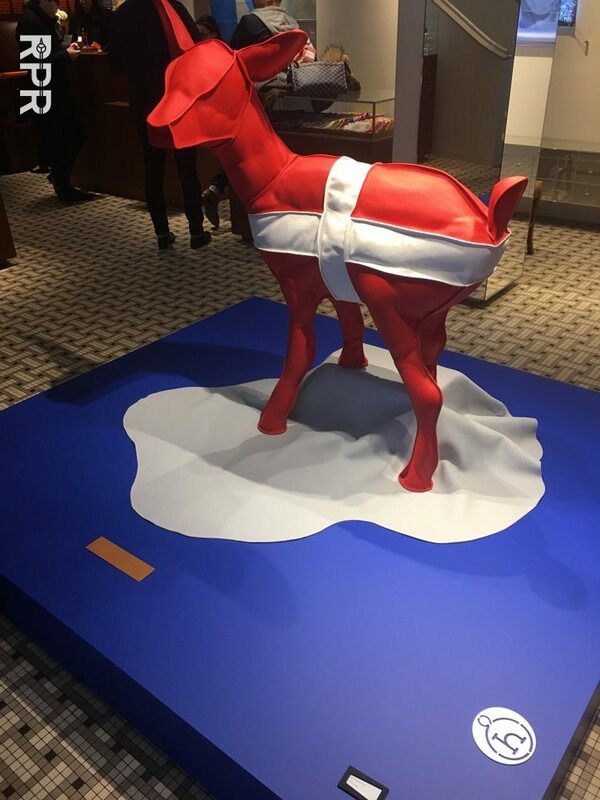 If your baby needs a leather bambi in her room, it’s for sale at Hermes for CHF 140.000,= !! 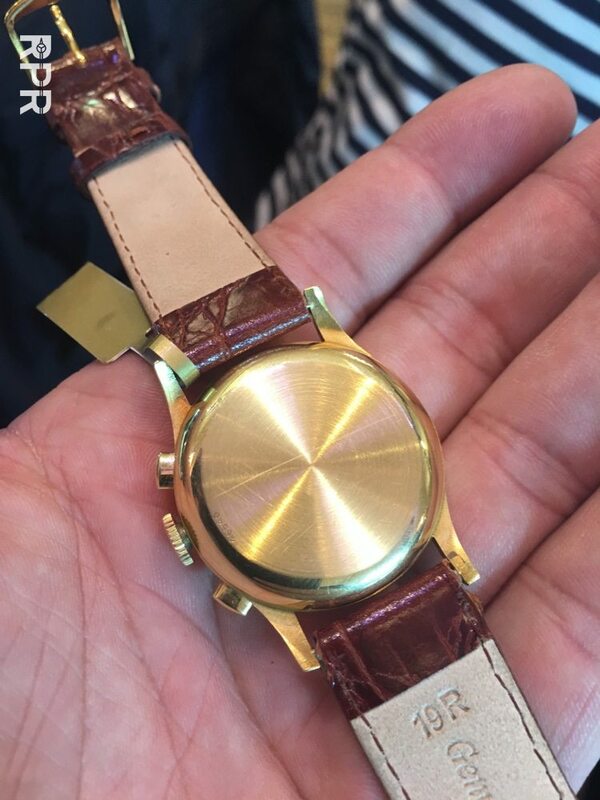 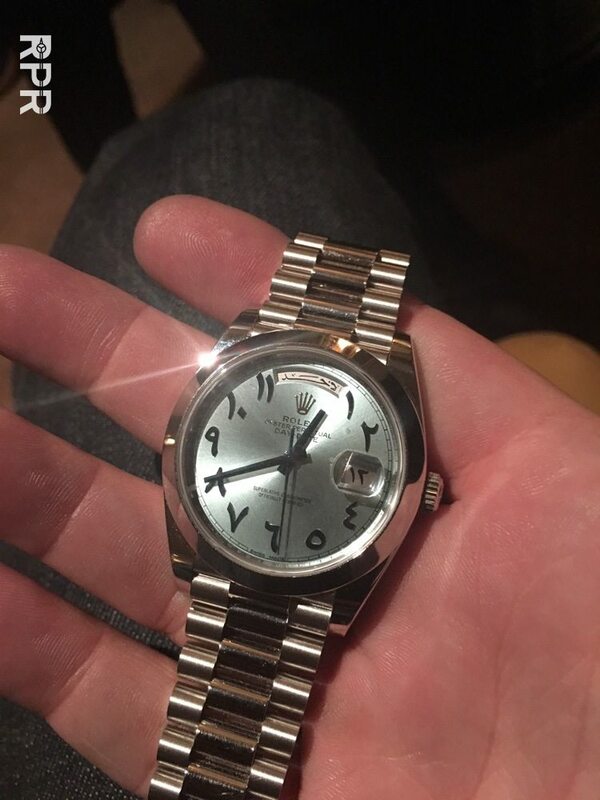 LOL, at first I thought it was a custom made Rolex but then buddy Eric Ku told me it’s original Rolex made! 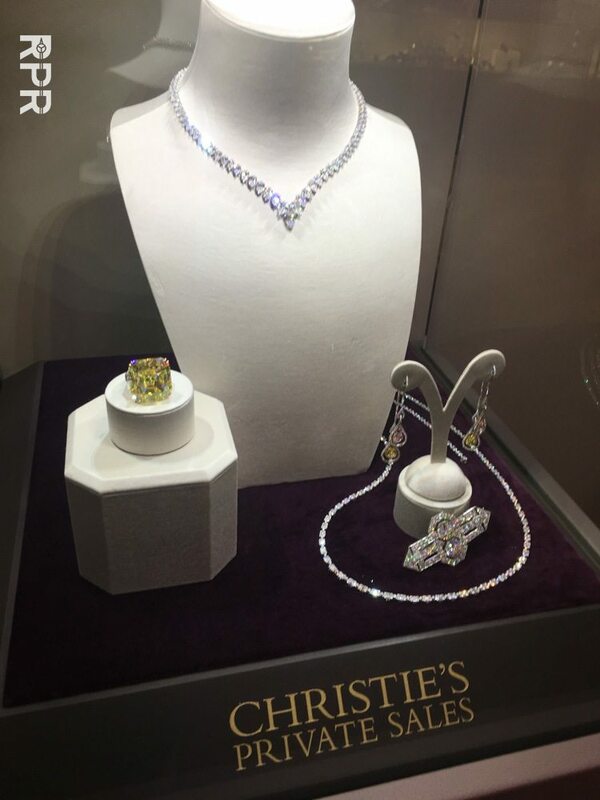 and Christie’s New York. 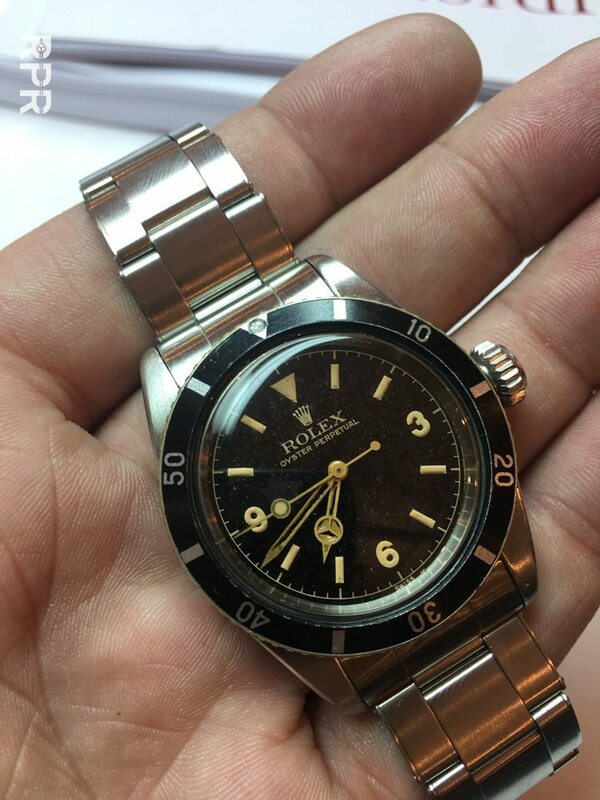 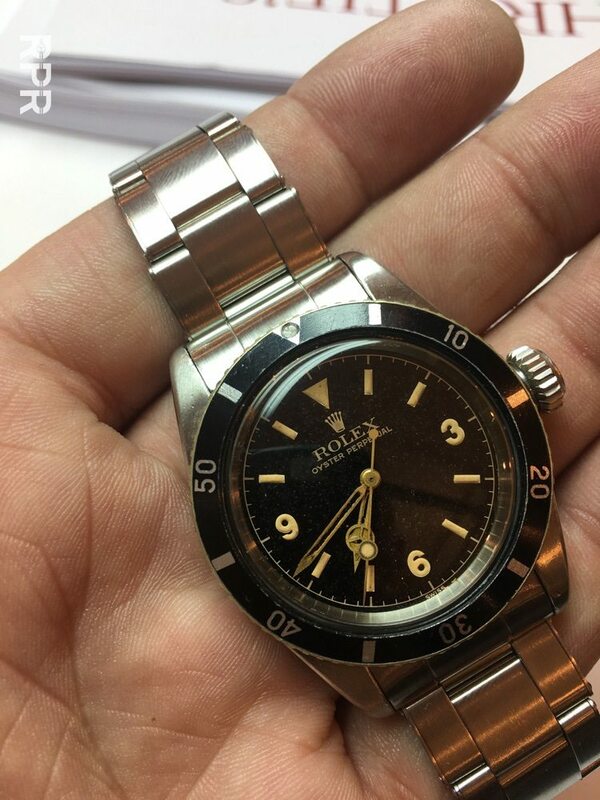 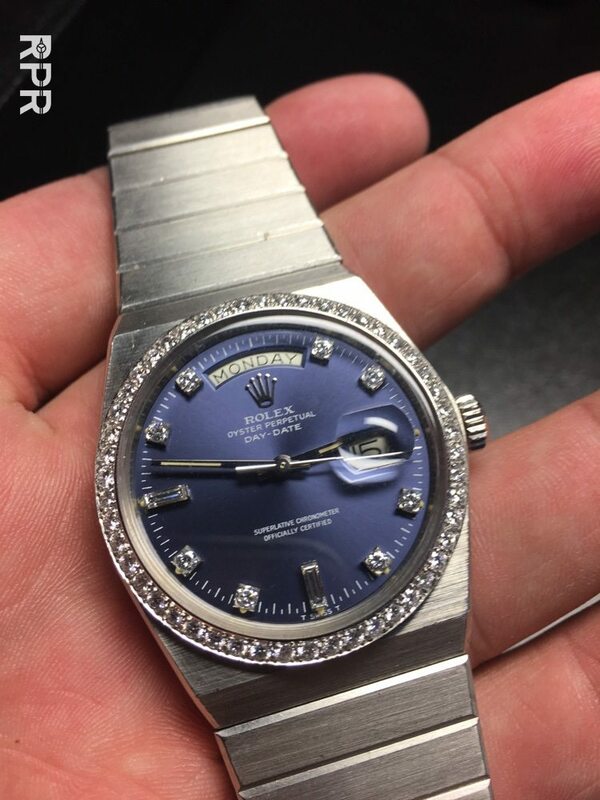 This so far unique Rolex Killy will blast the estimate for sure! 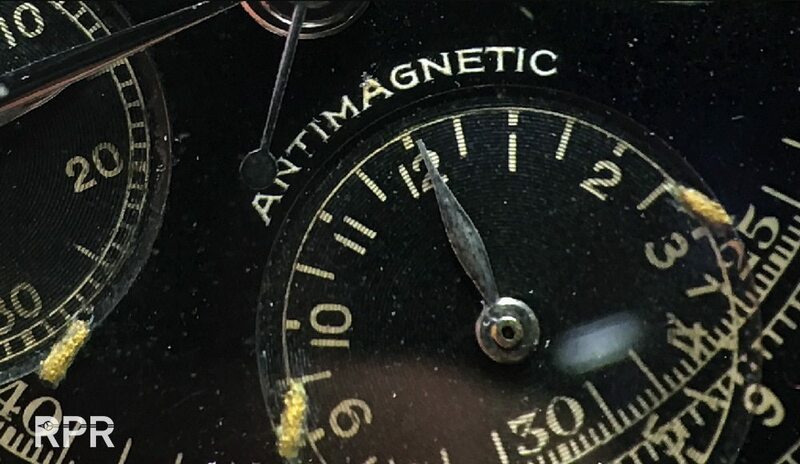 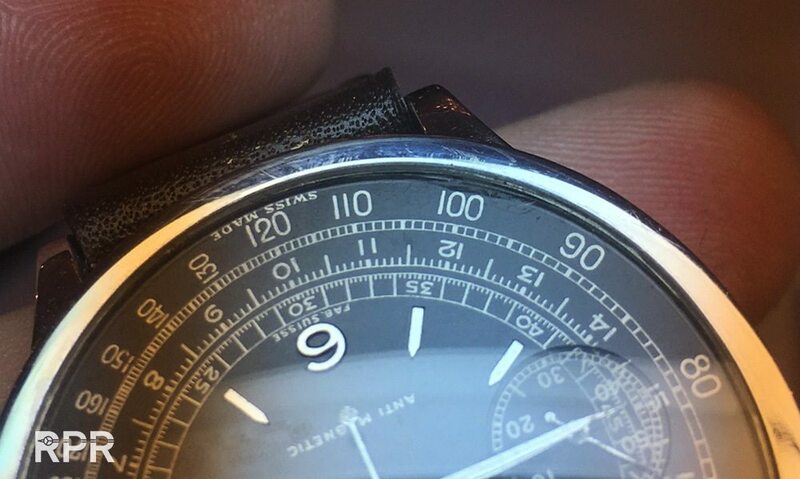 Even further up close you see the radium dust has ‘eaten’ the surface of the dial, leaving some brownish spots of pitting.. 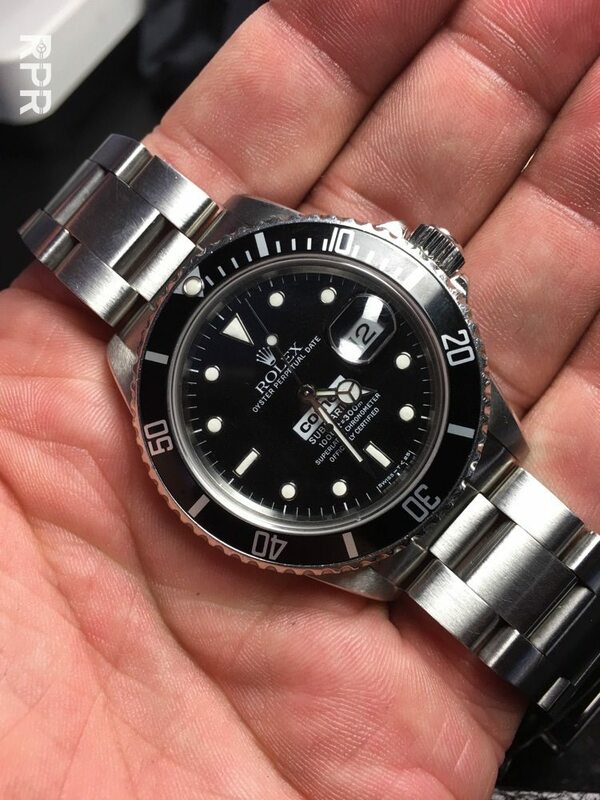 There was a reason why the room wasn’t bidding on this black 2508 and you guys sitting in your lazy chair at home following the sale are wondering why perhaps. 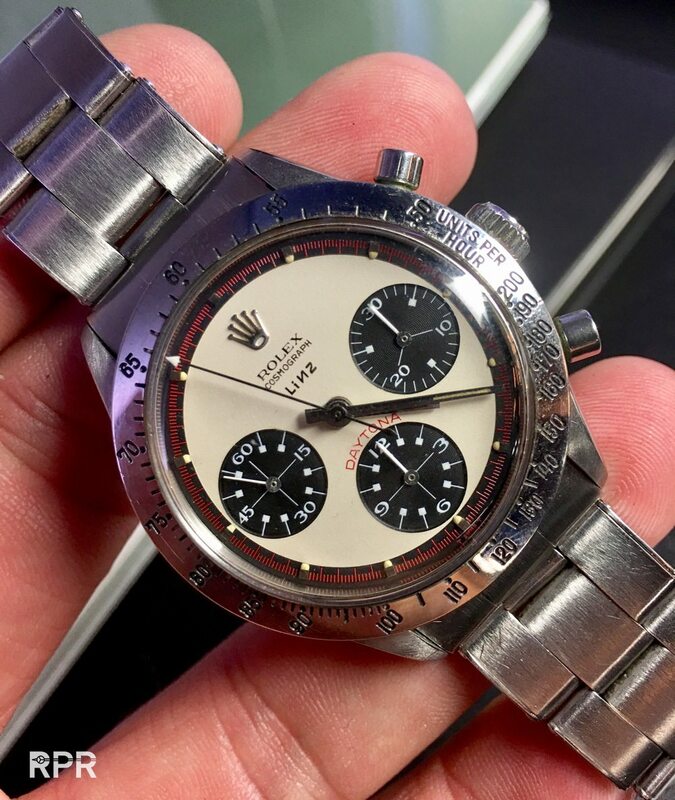 We have seen a similar example sell very high last auctions and with only a couple of numbers away from that one it didn’t perform…. 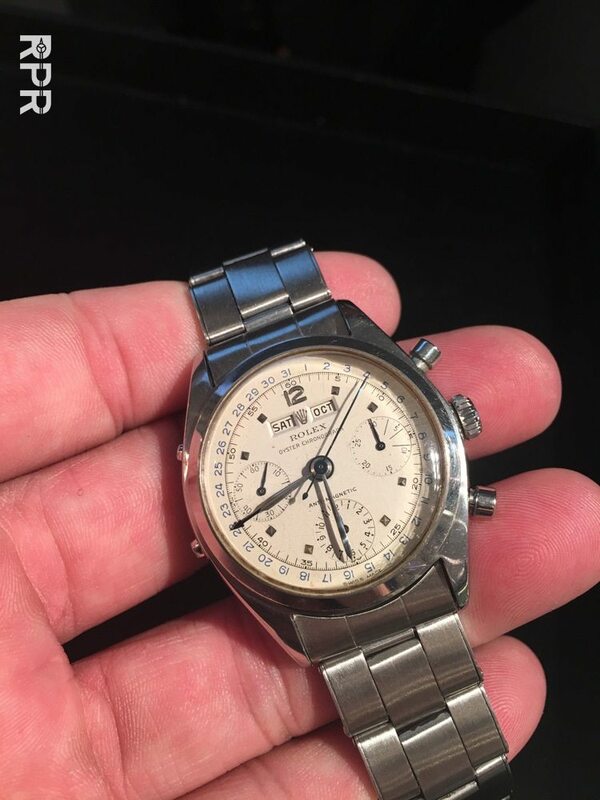 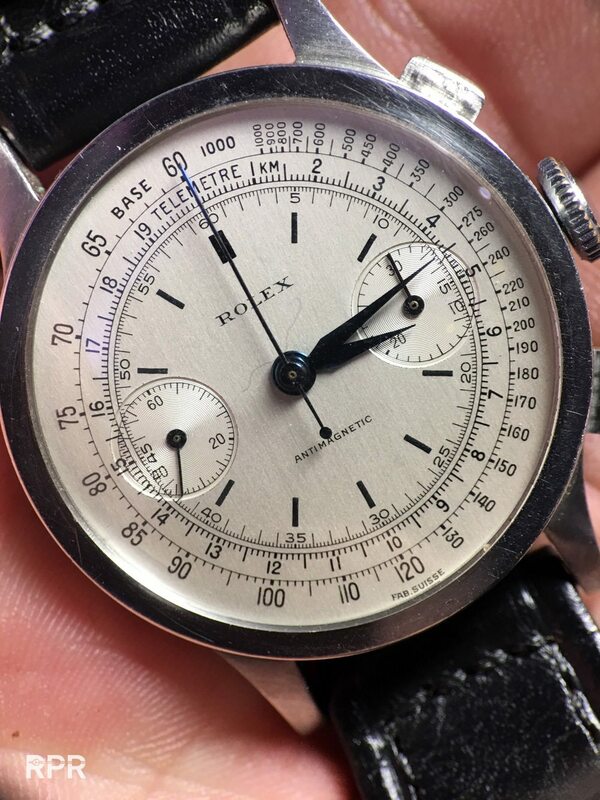 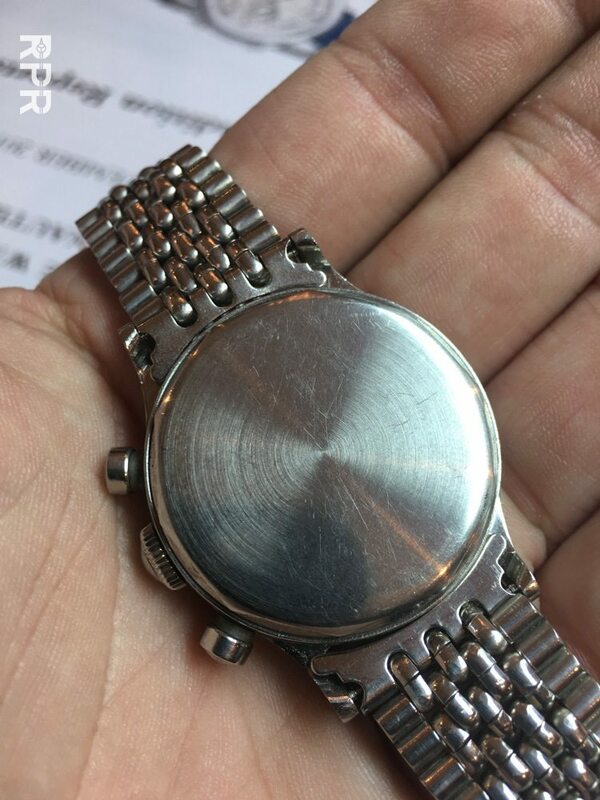 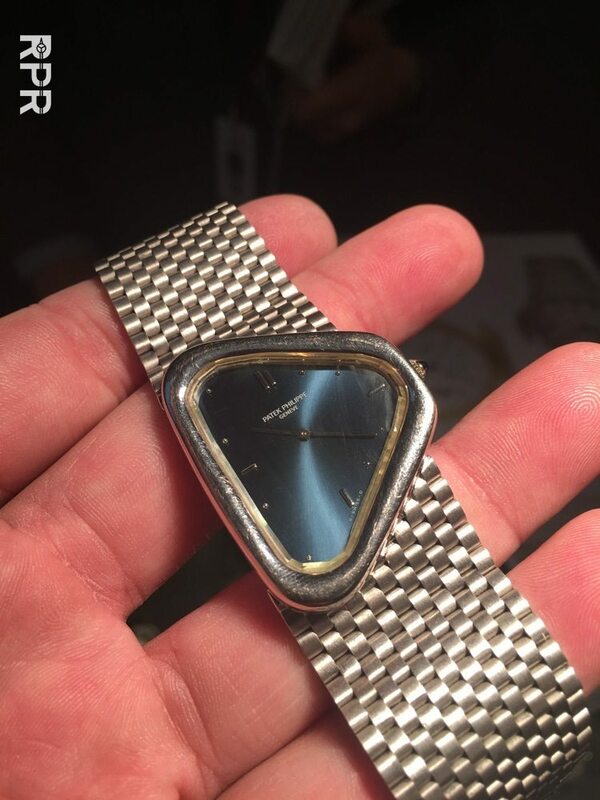 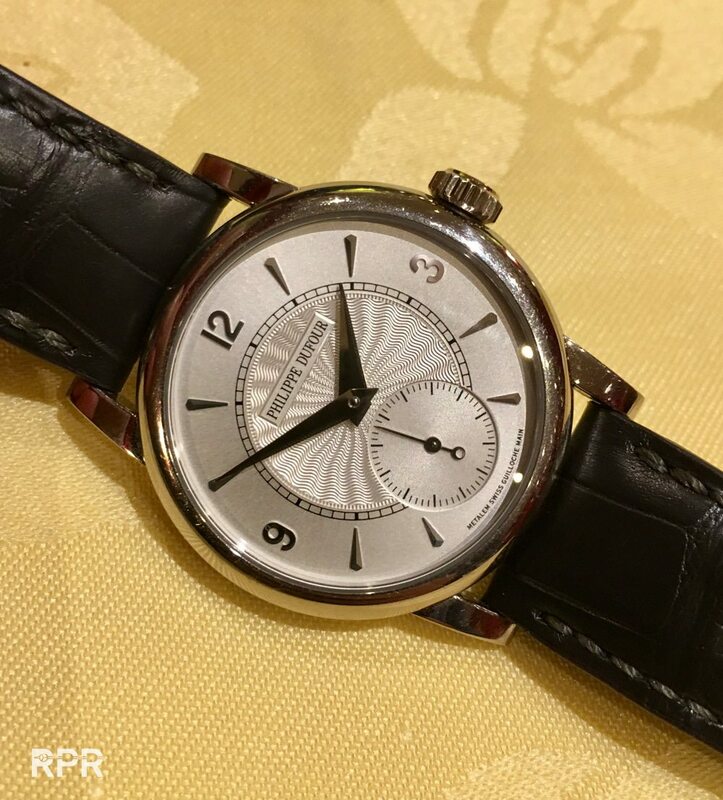 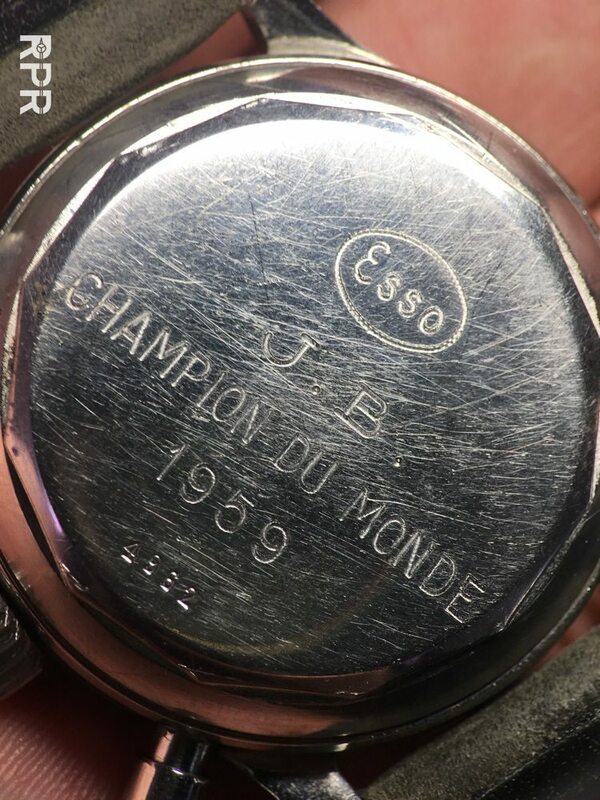 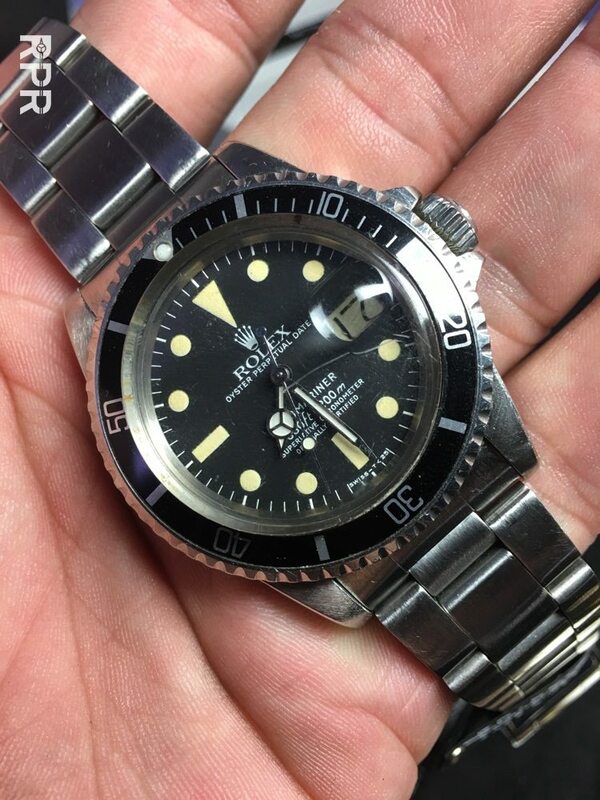 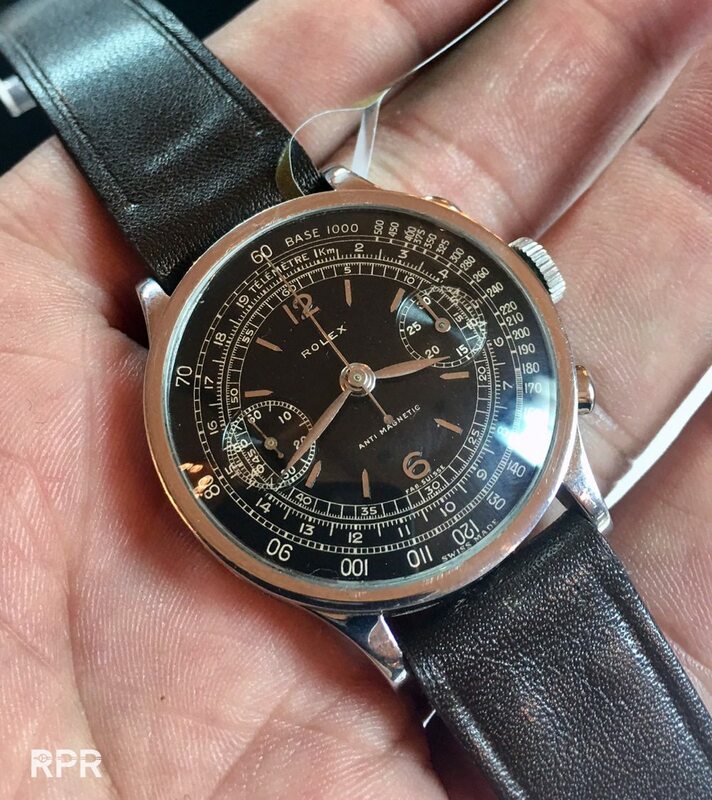 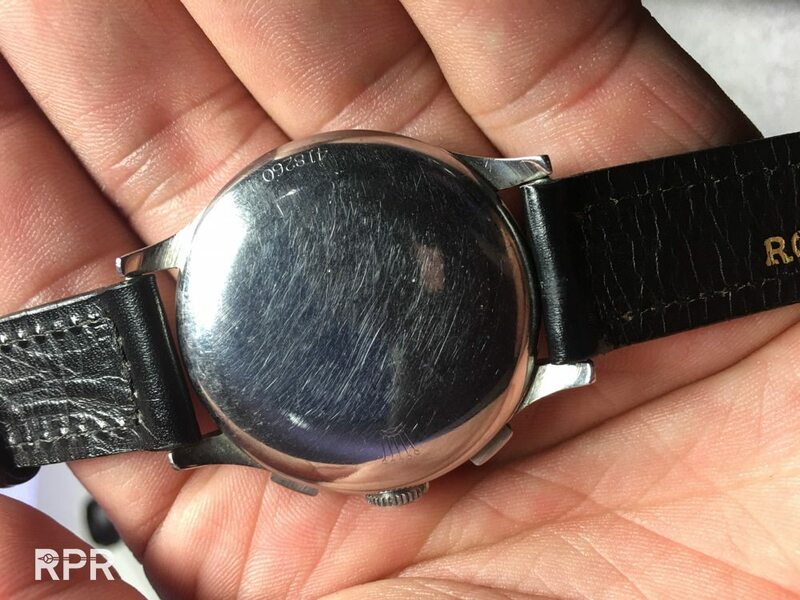 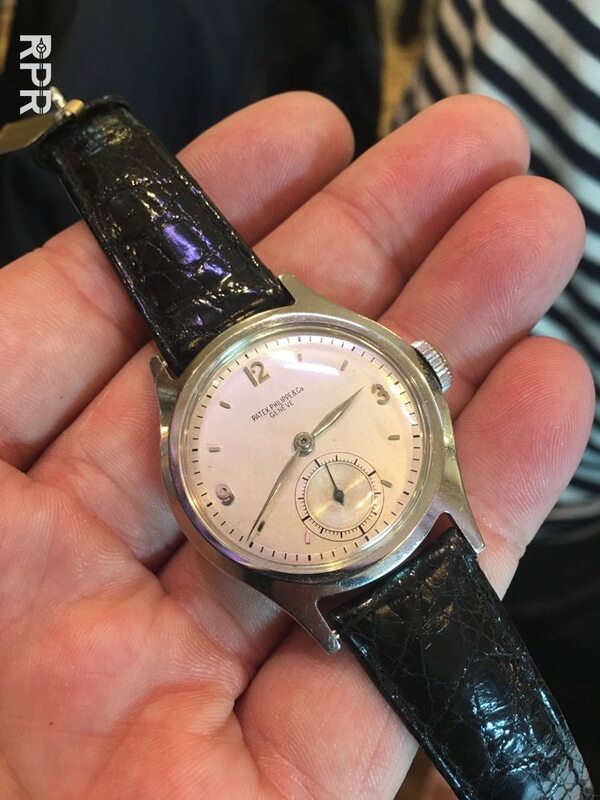 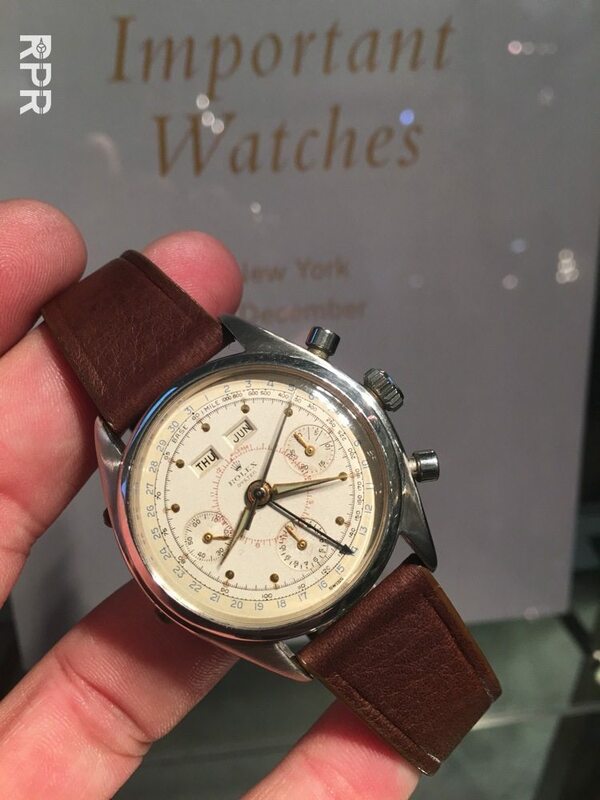 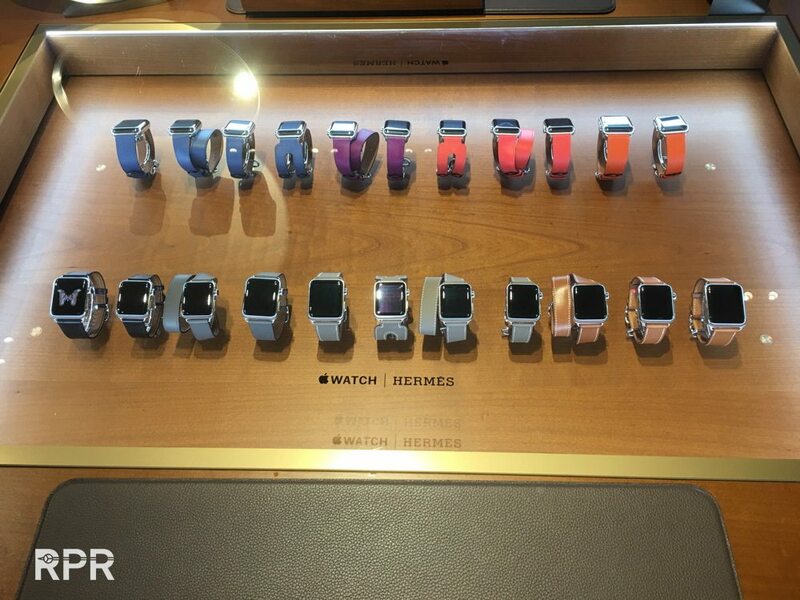 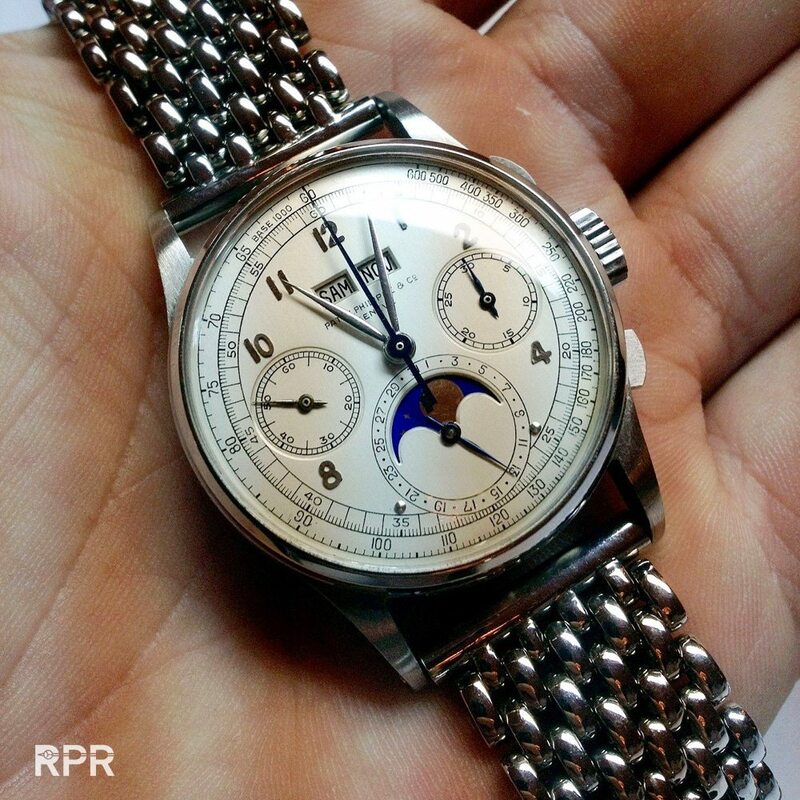 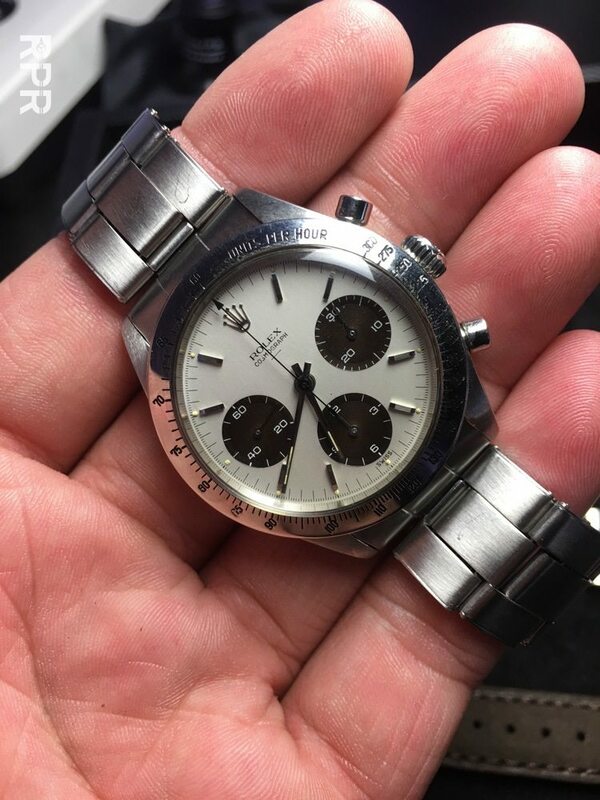 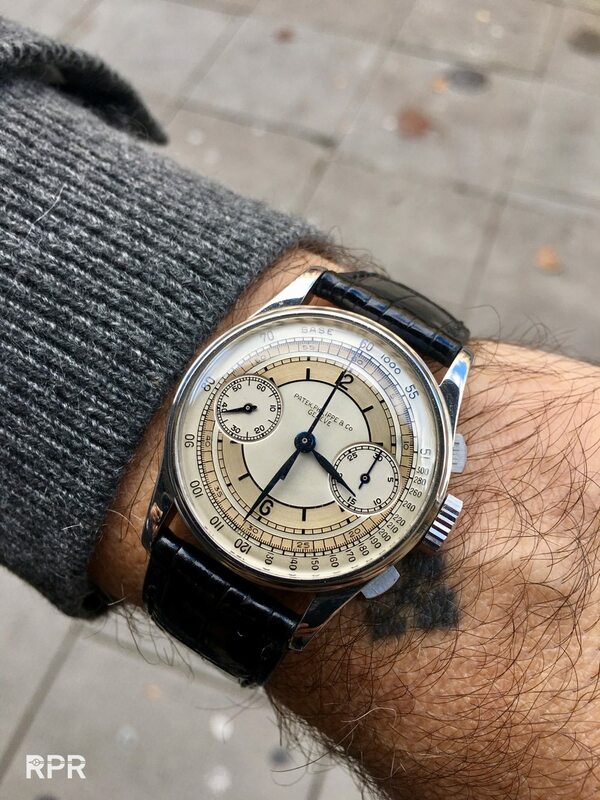 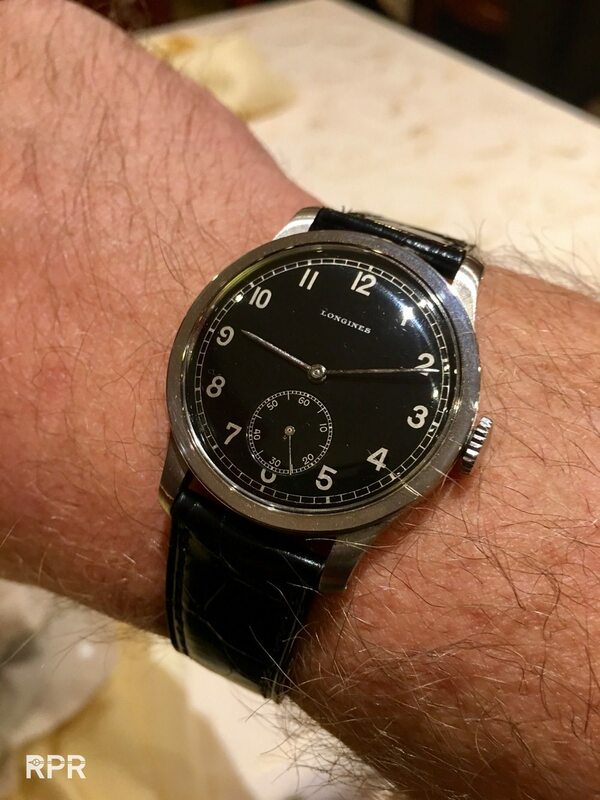 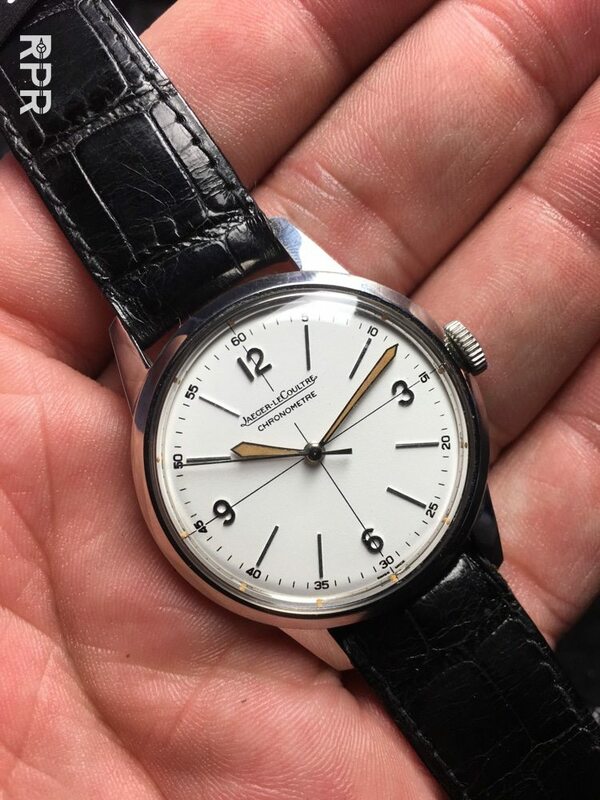 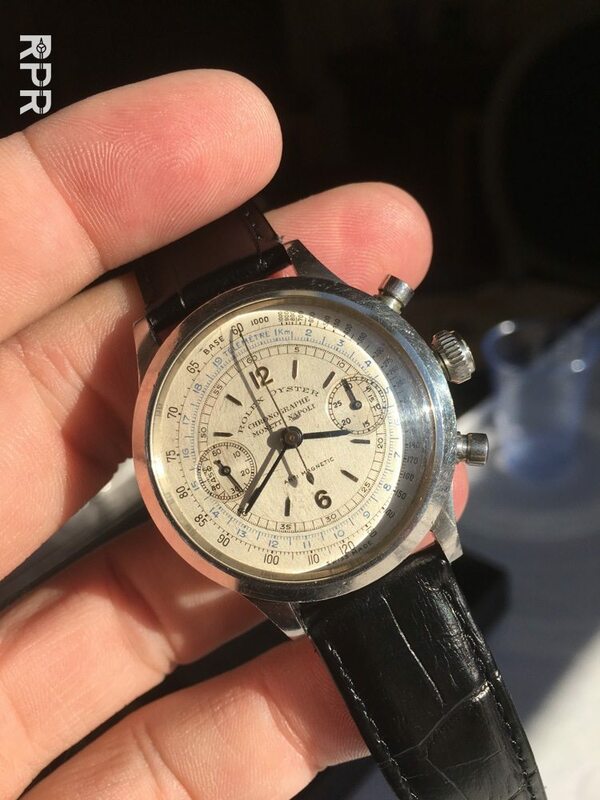 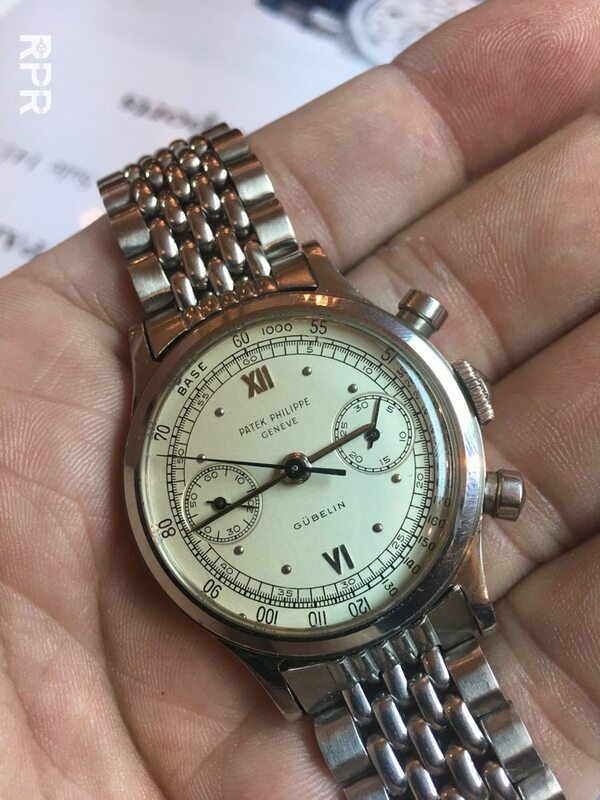 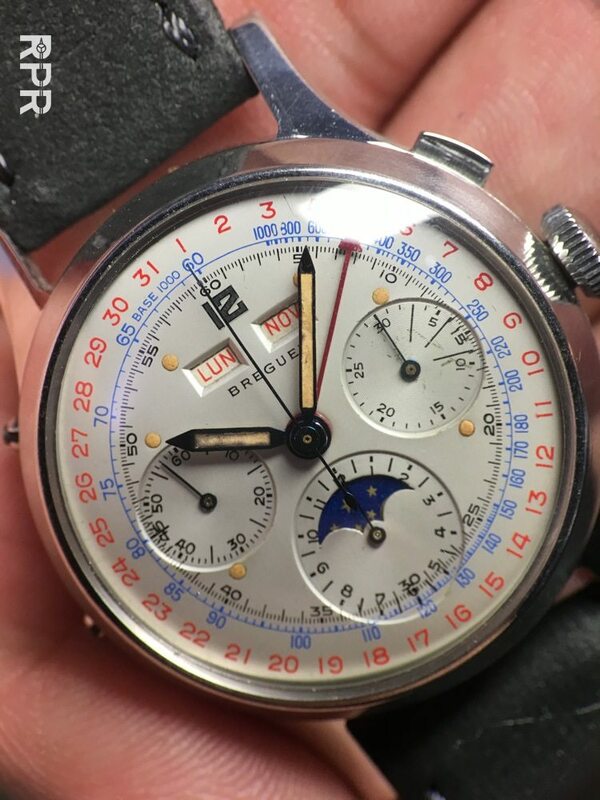 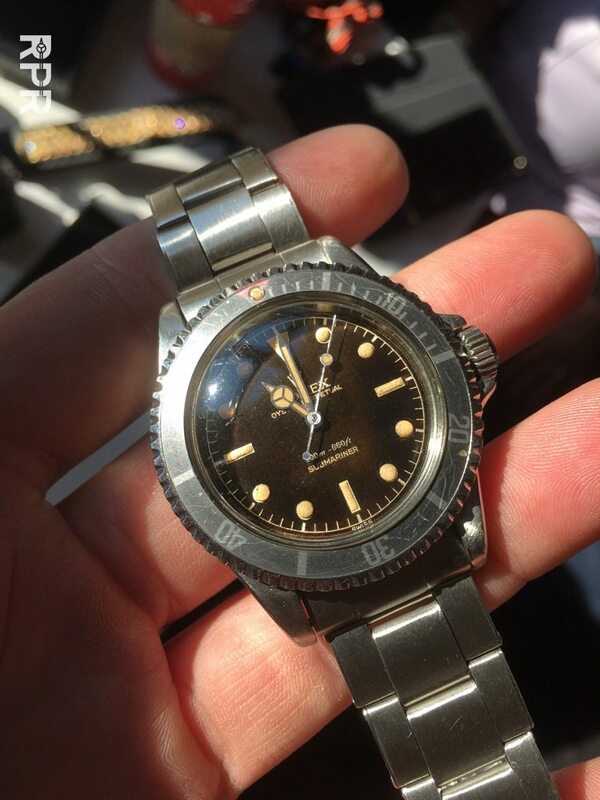 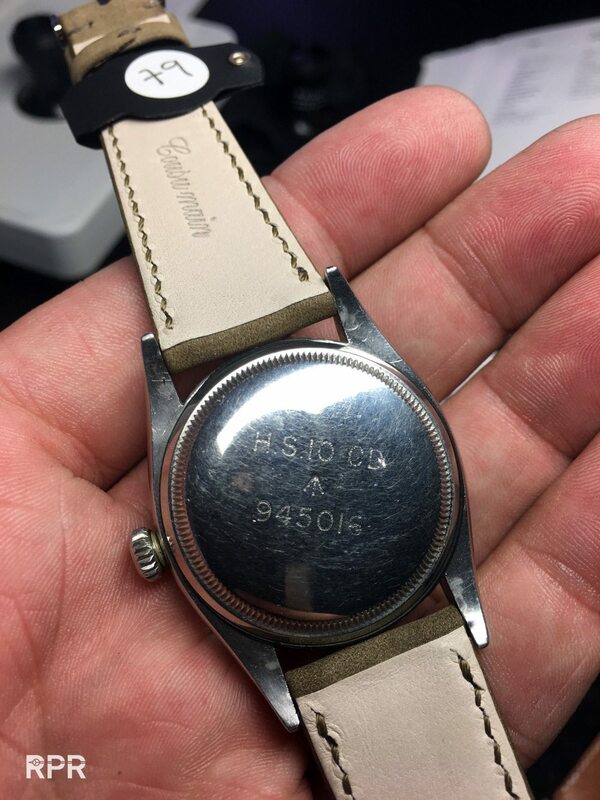 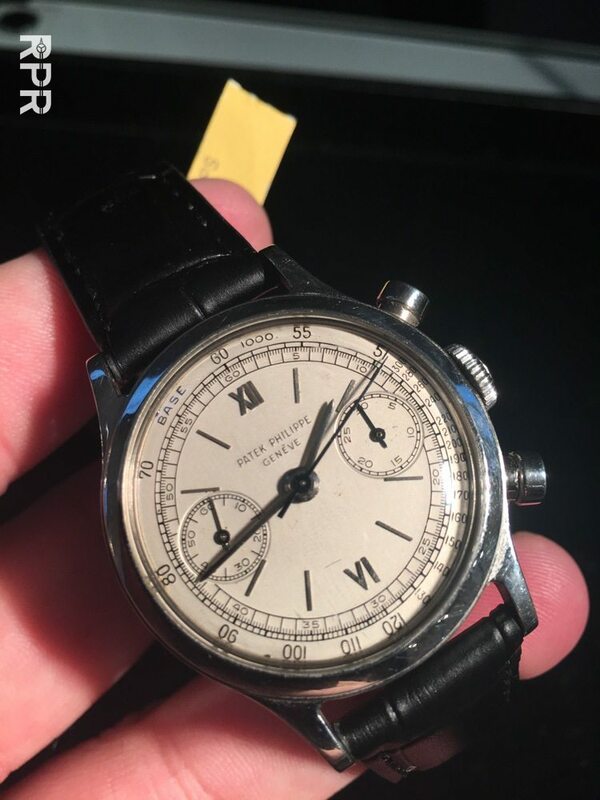 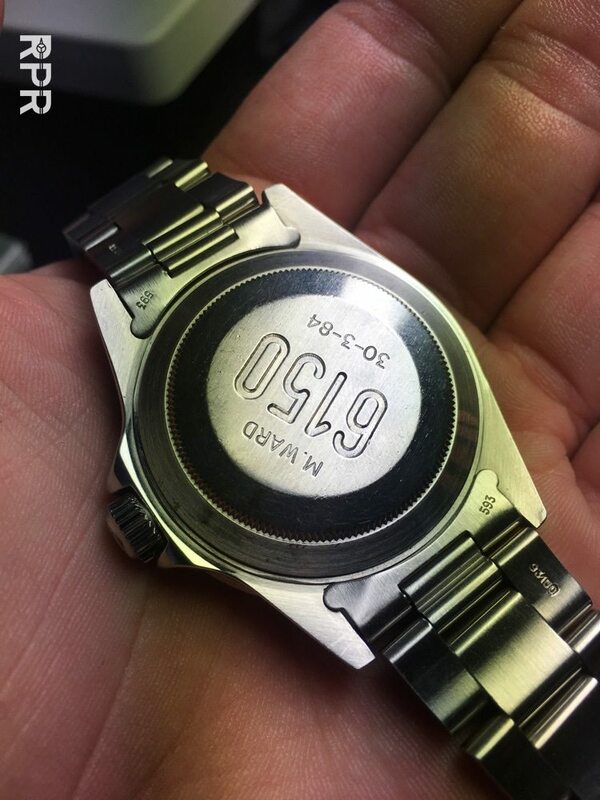 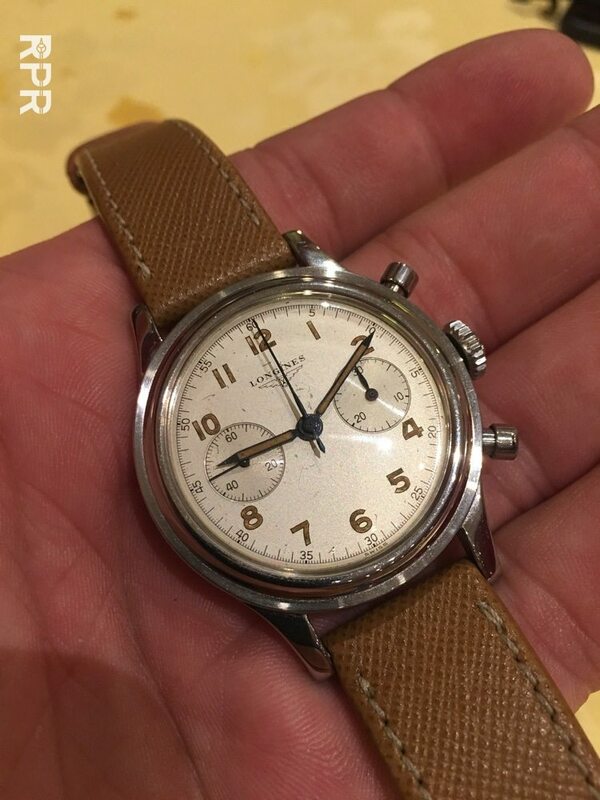 Following is the next Ref 2508, silver dial this time…. 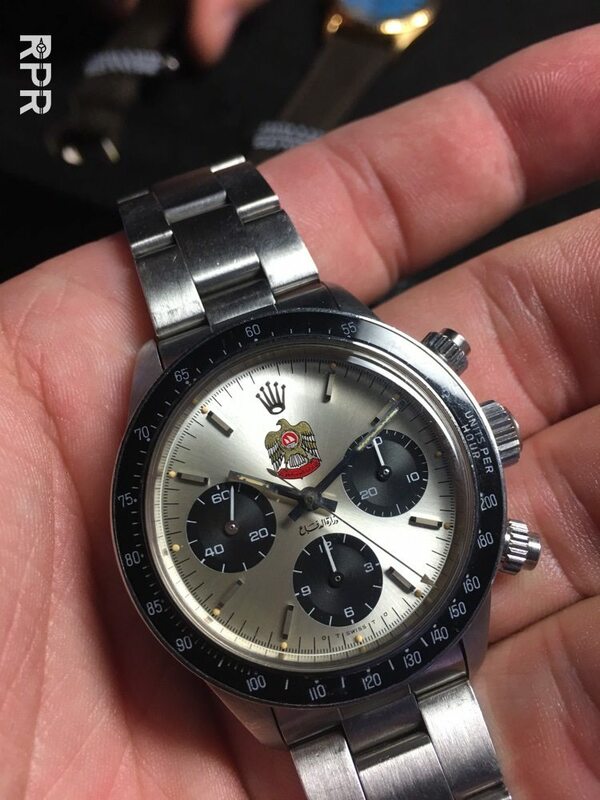 Besides that, when you go even close, you will see the coronet of Rolex and the print is way off. 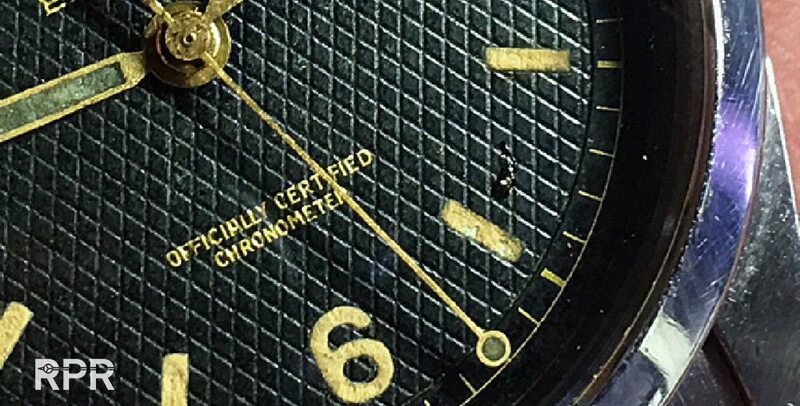 A coronet should not bleed. 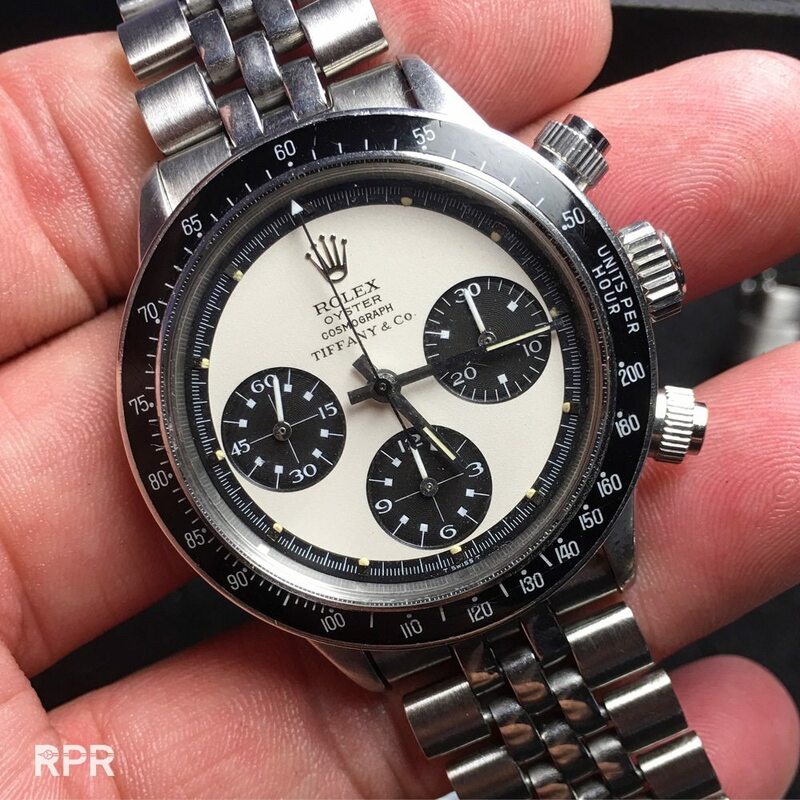 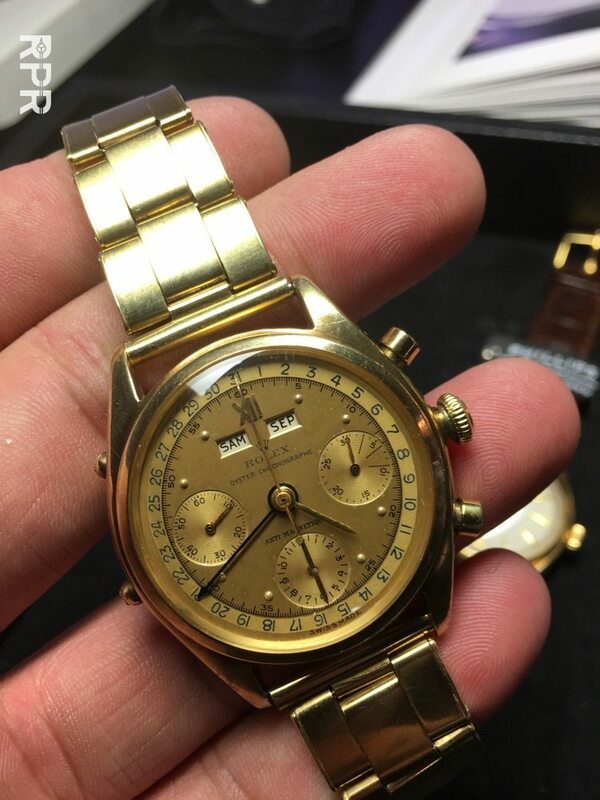 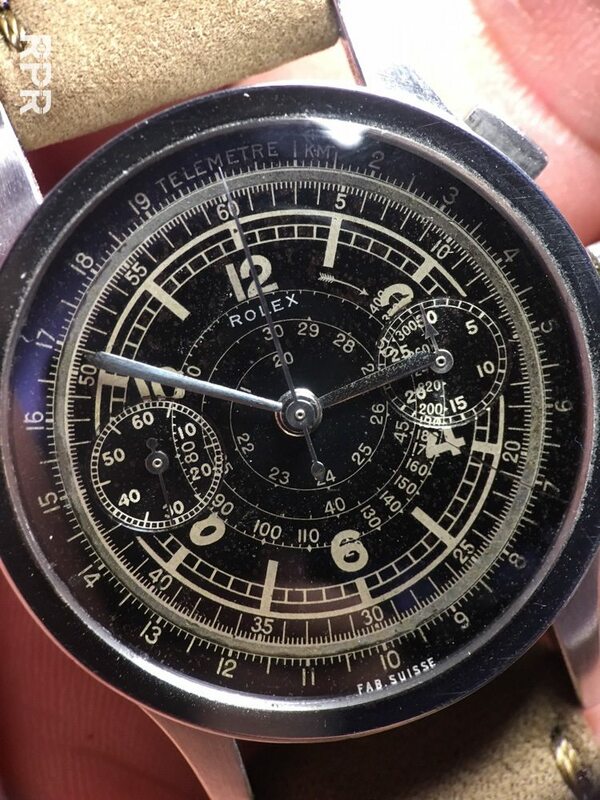 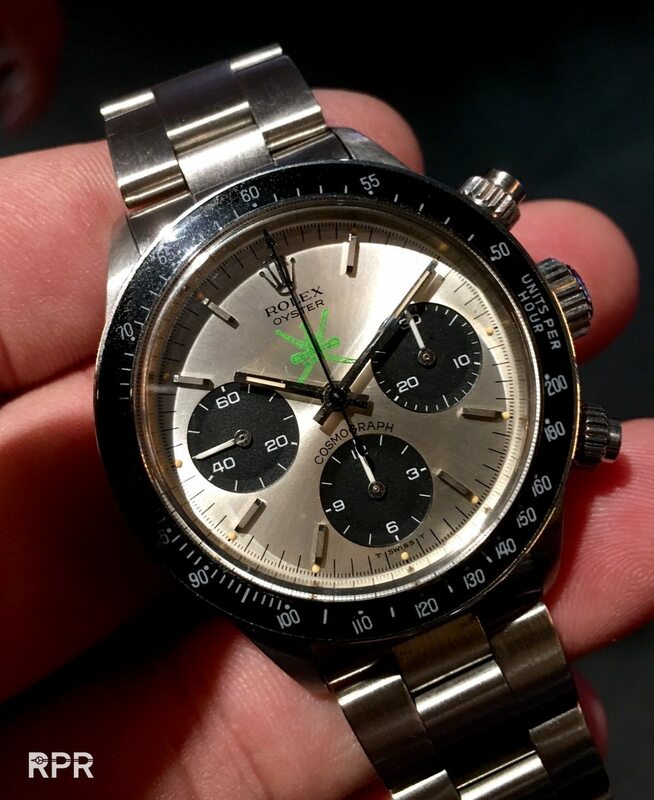 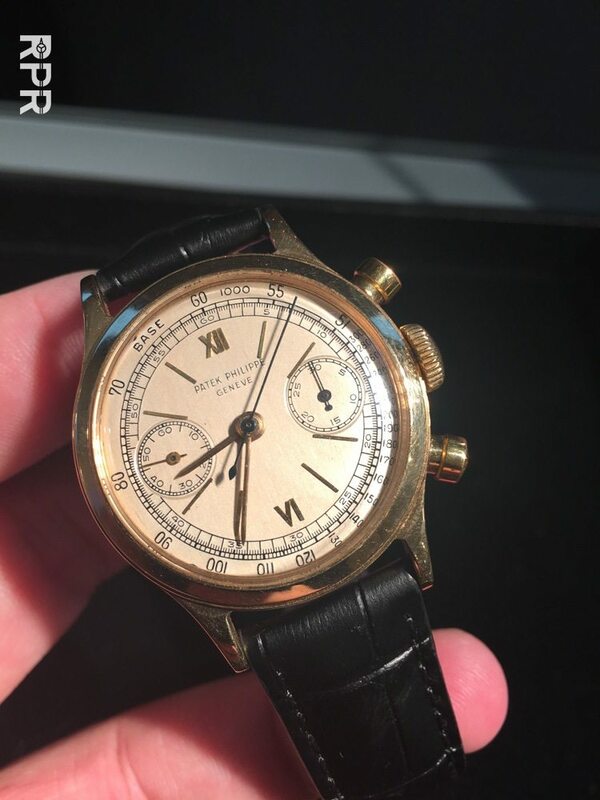 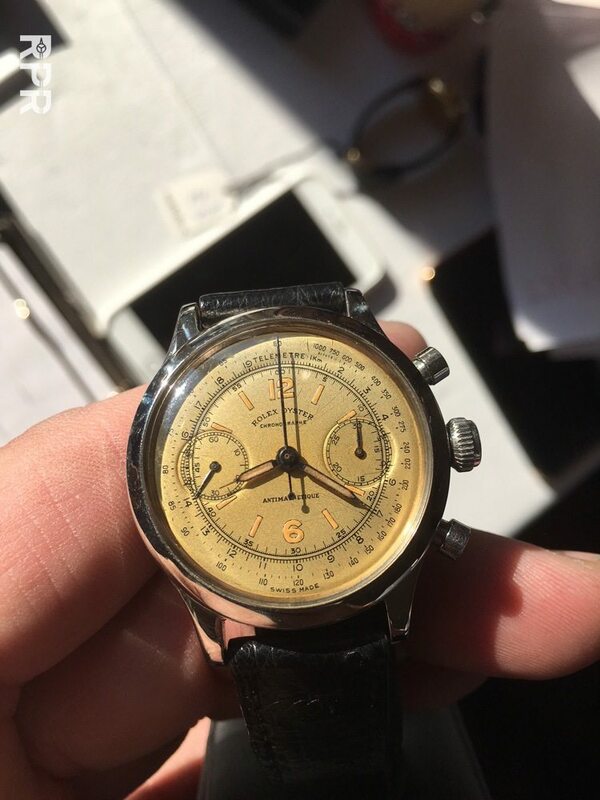 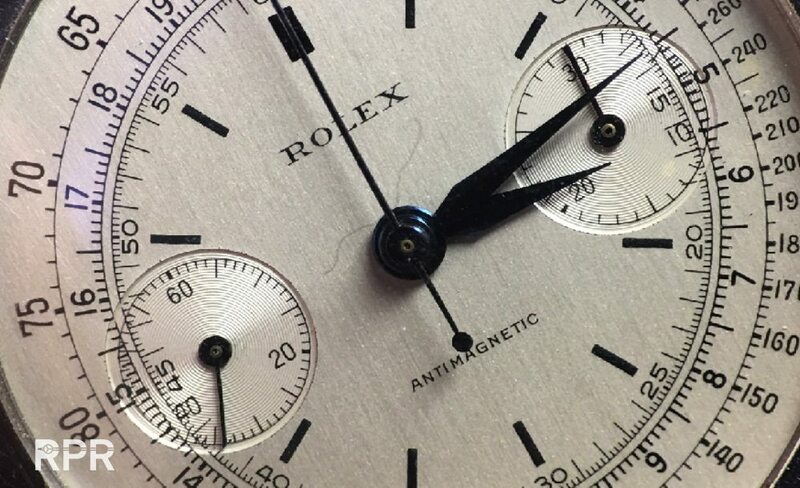 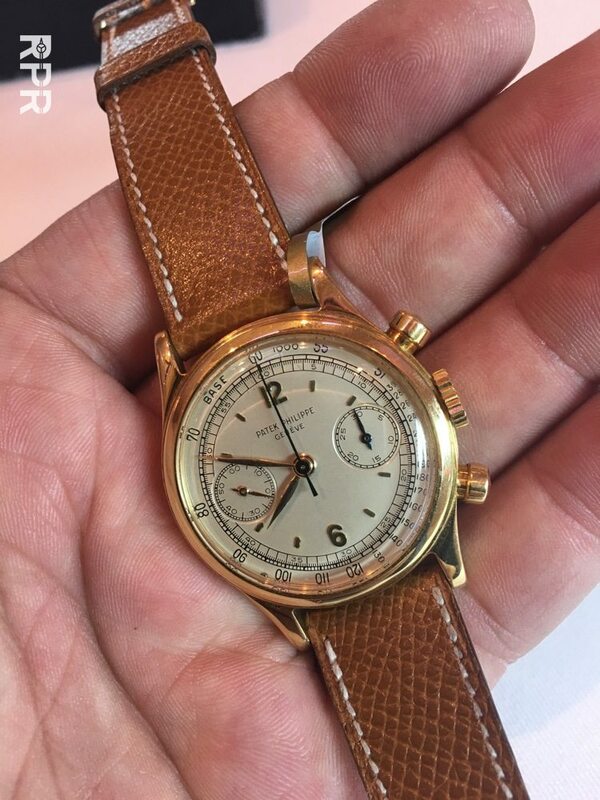 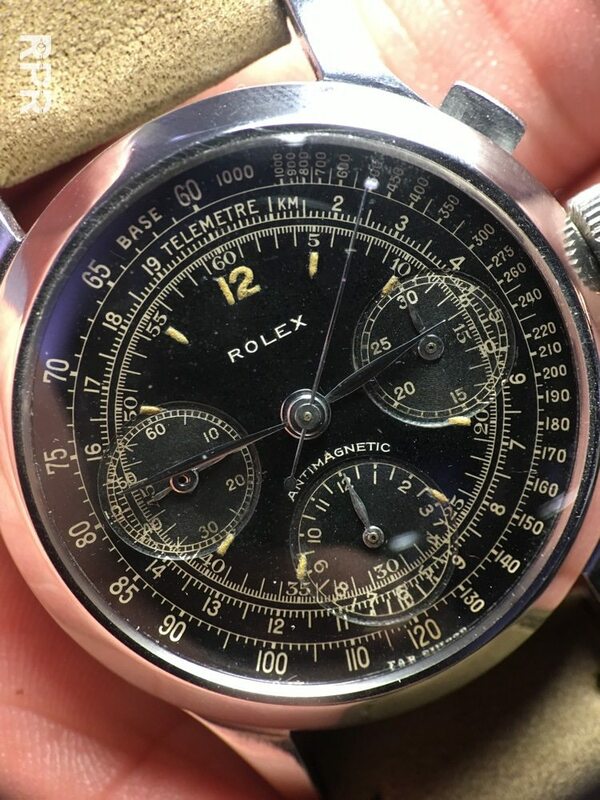 Following is early Rolex chrono and by some ‘experts’ described as their favorite lot…..
Next one. 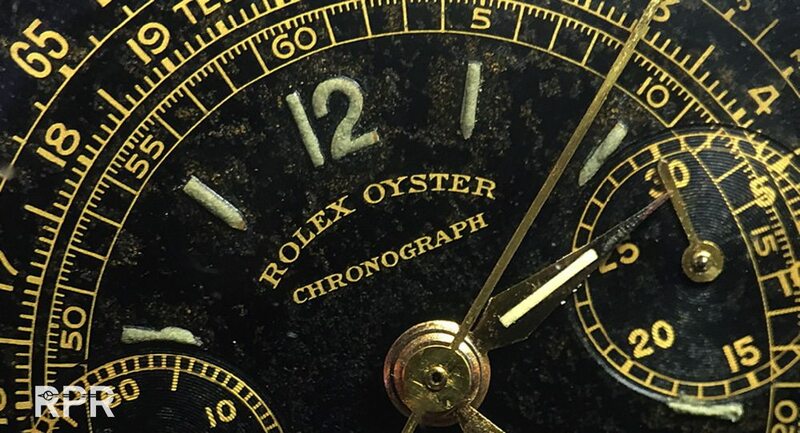 I for instance ask myself, why would a old watch have a luminous dial but non luminous hands? 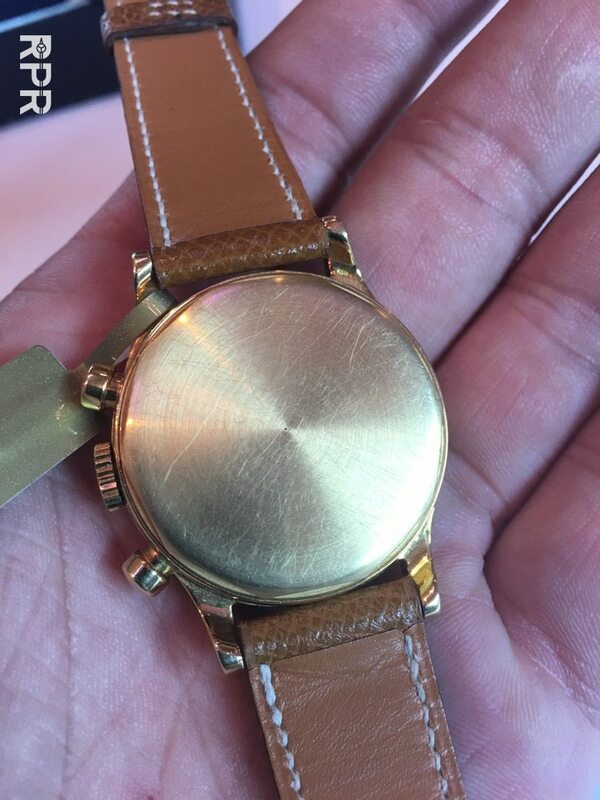 Isn’t the idea of luminosity that you can see the time in the dark?? 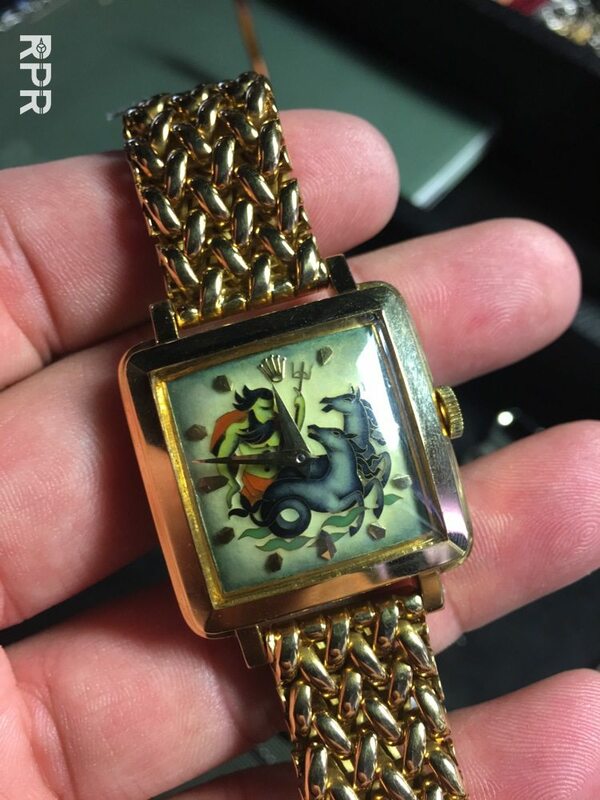 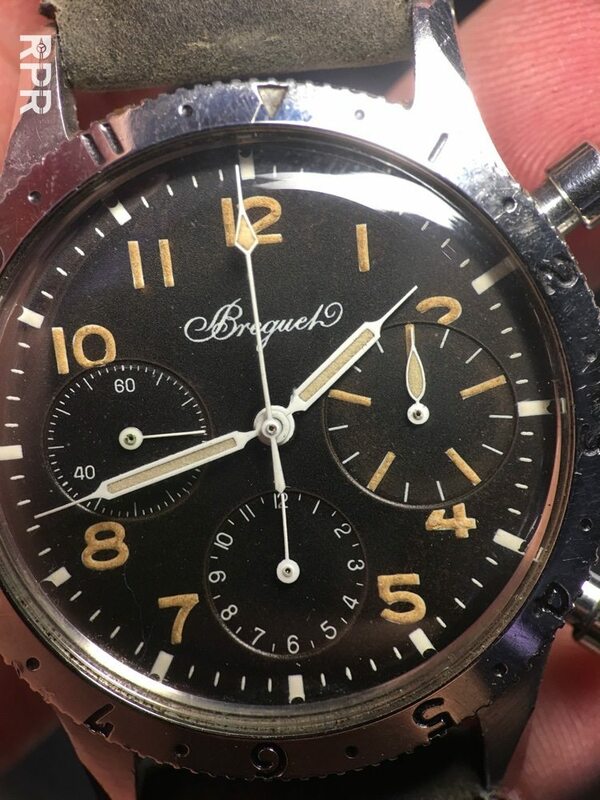 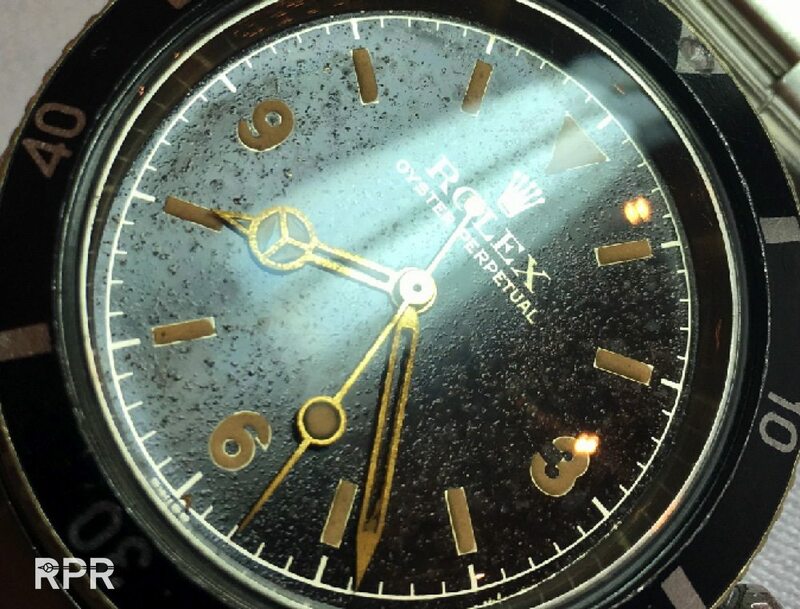 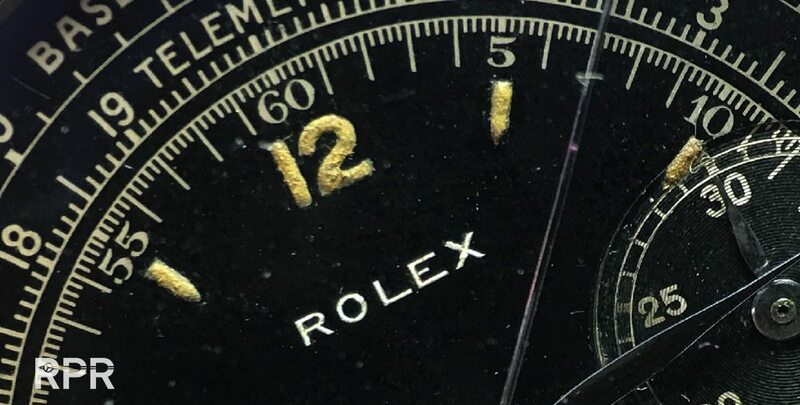 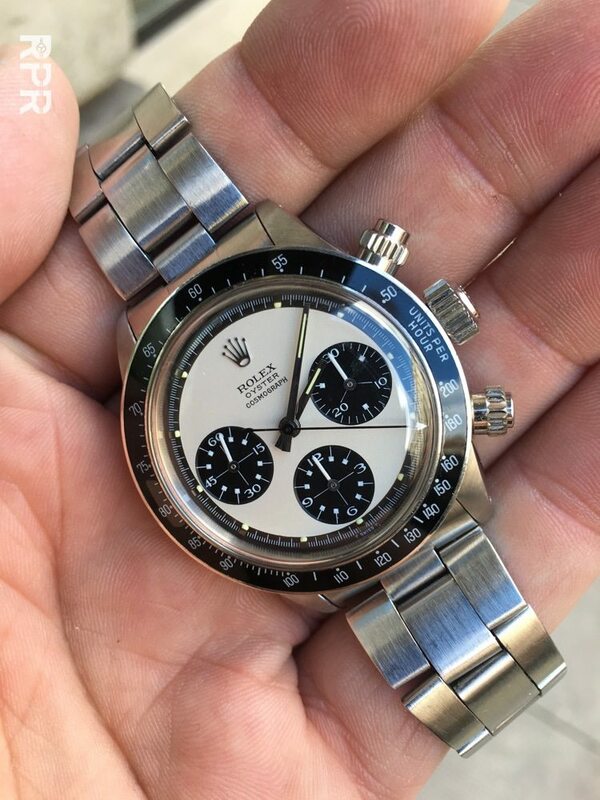 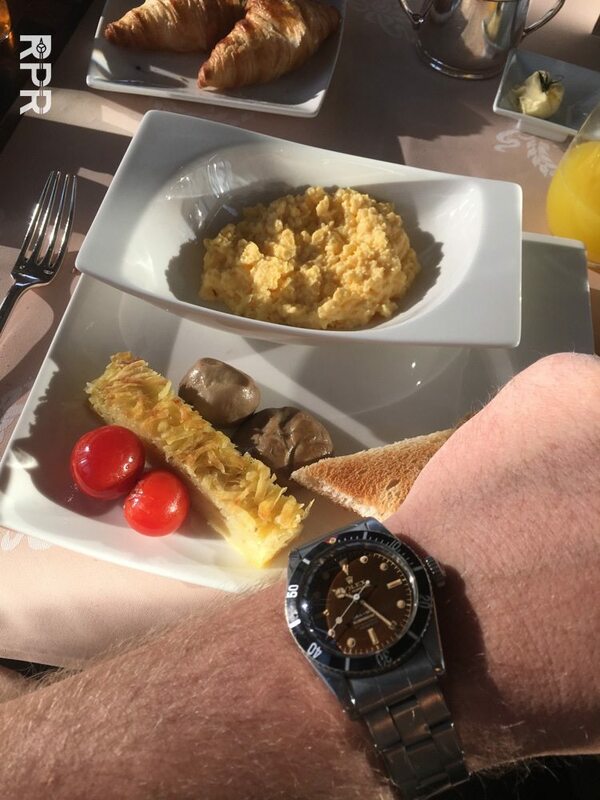 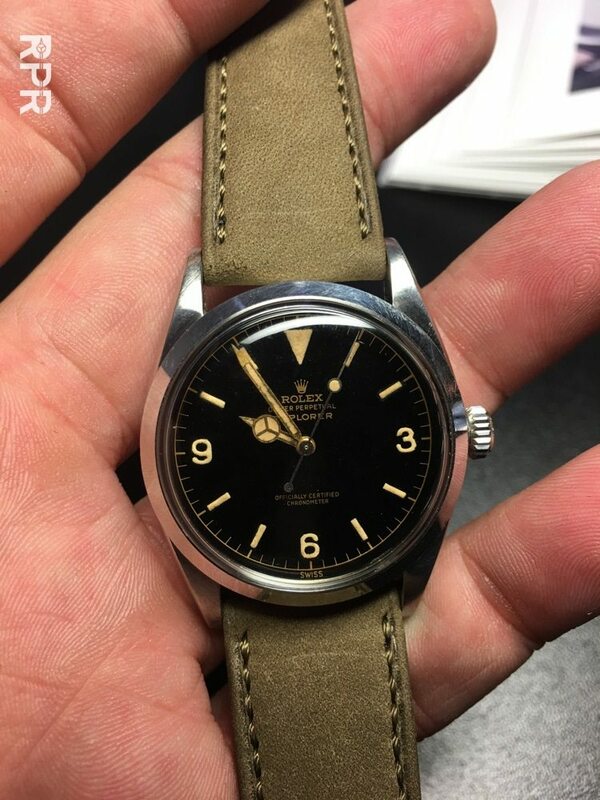 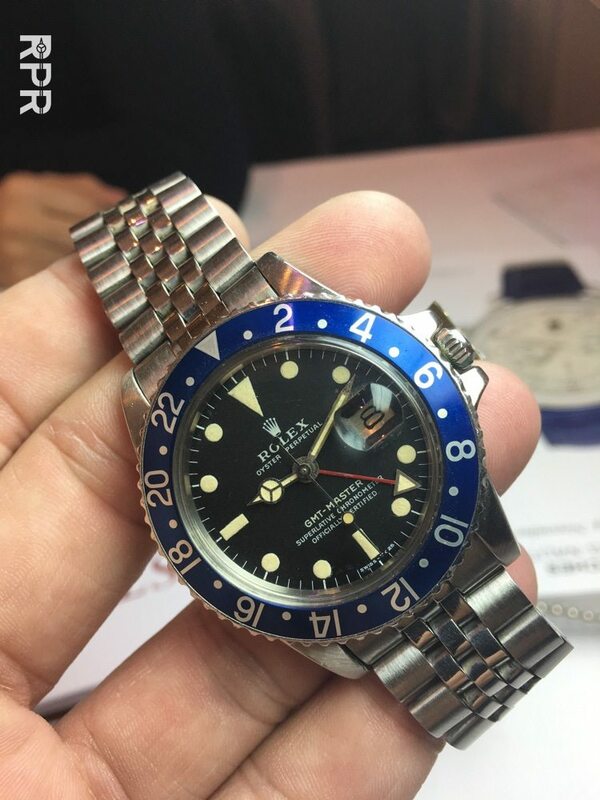 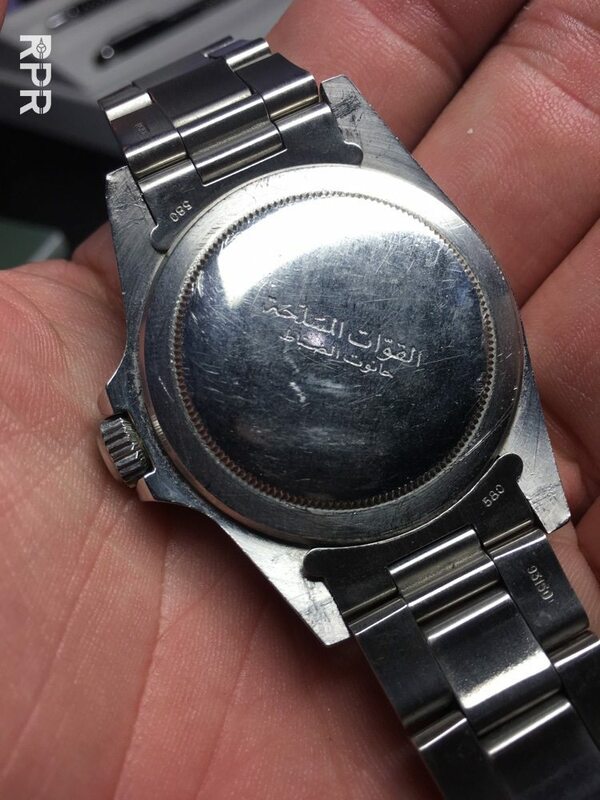 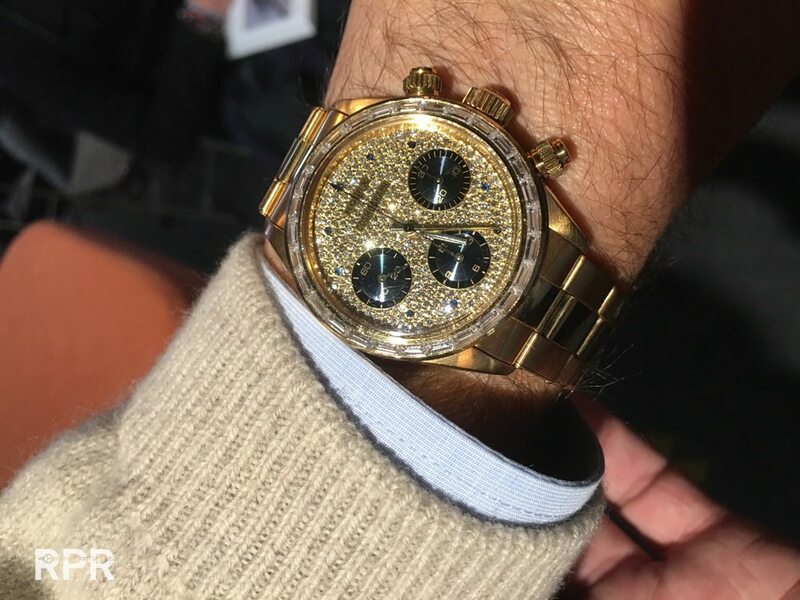 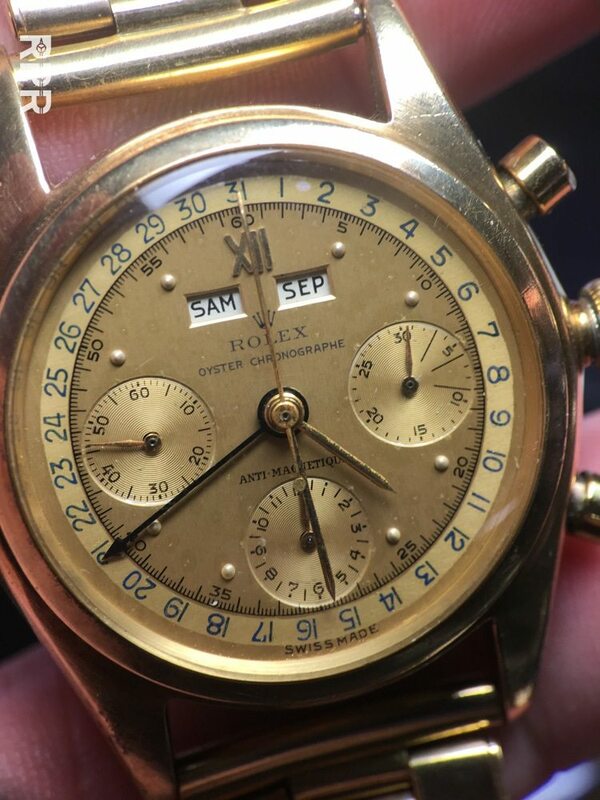 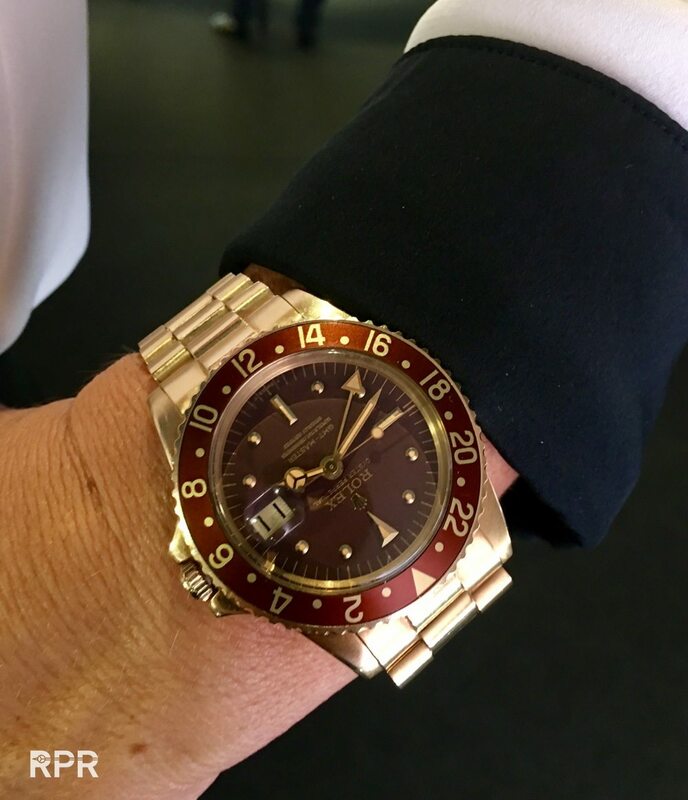 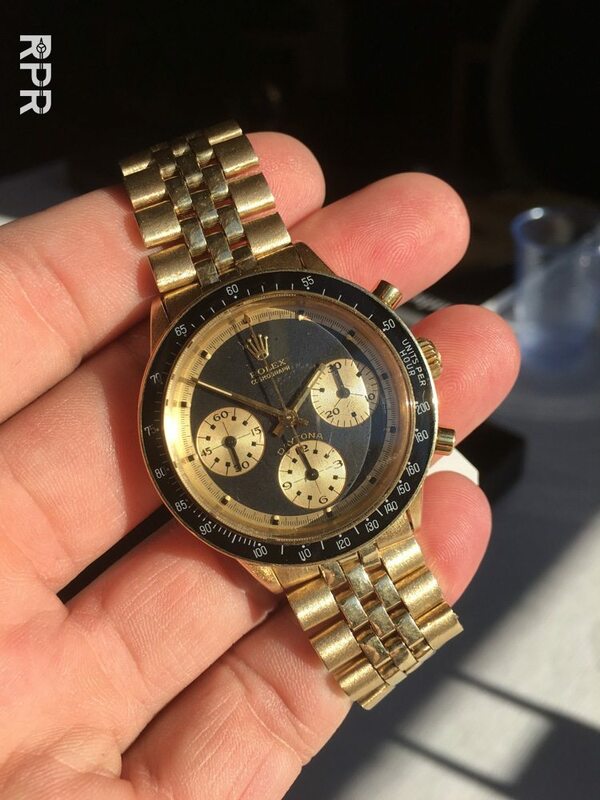 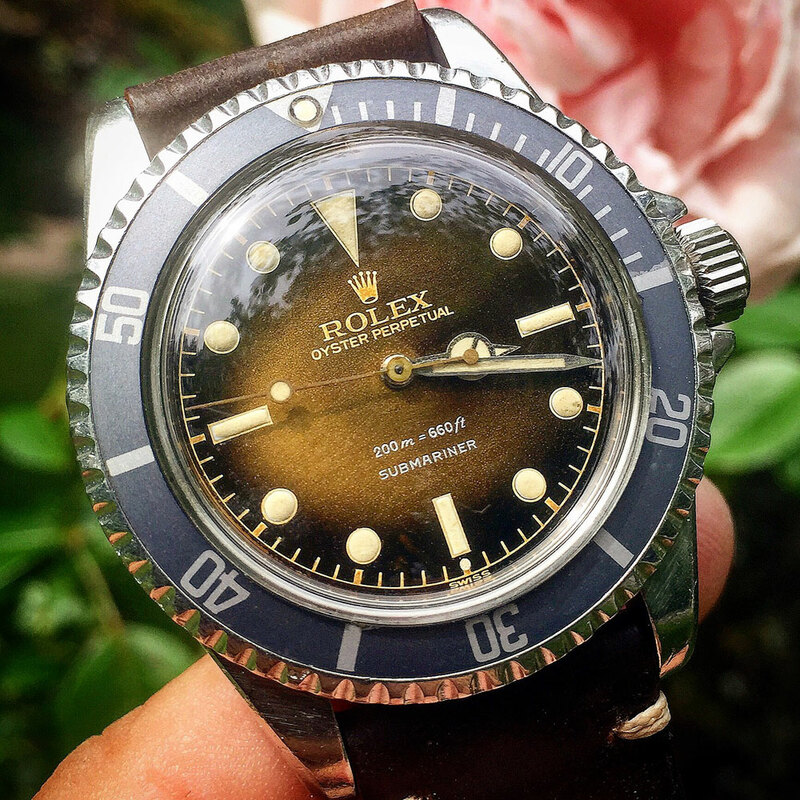 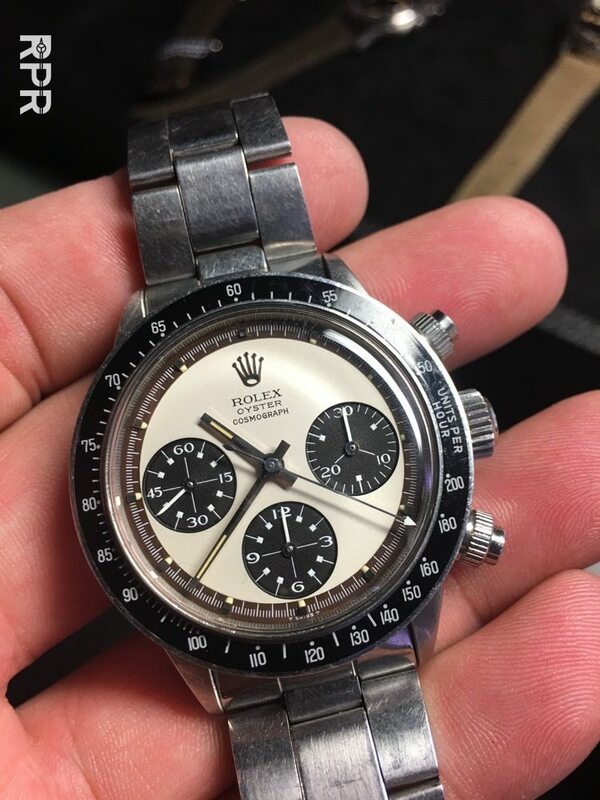 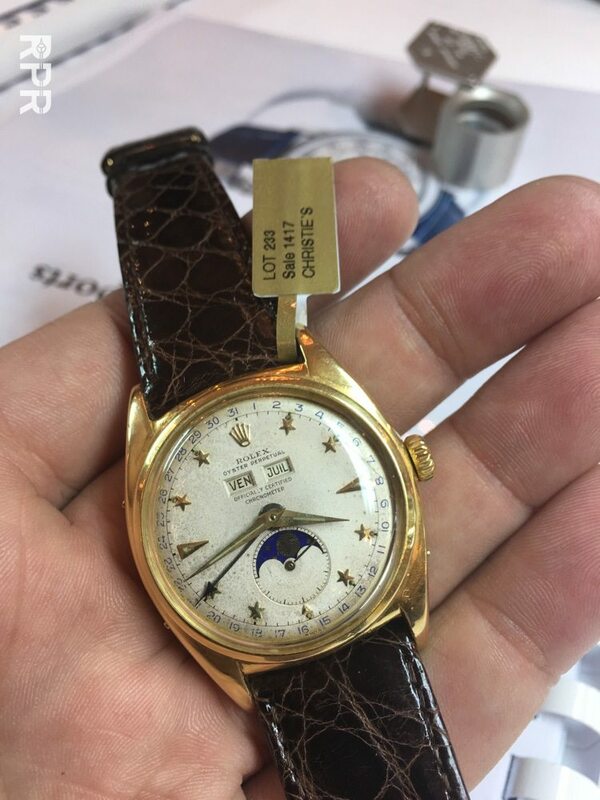 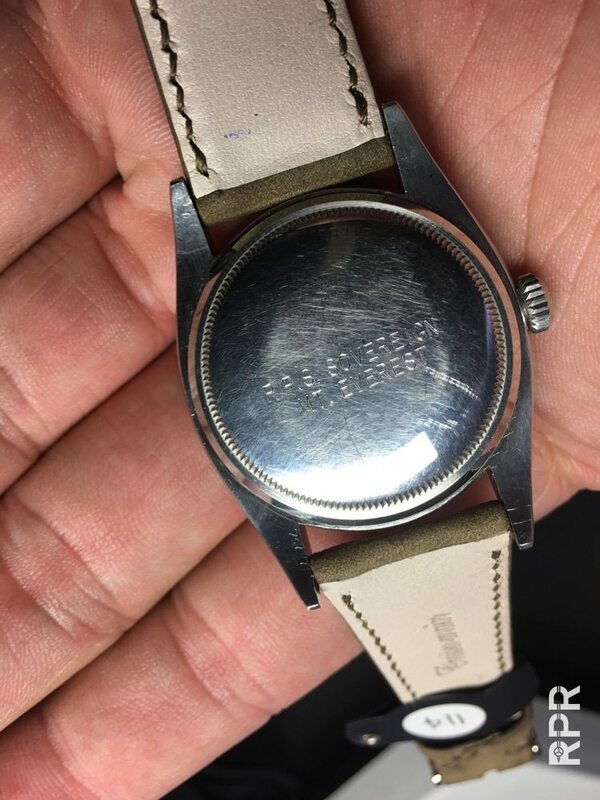 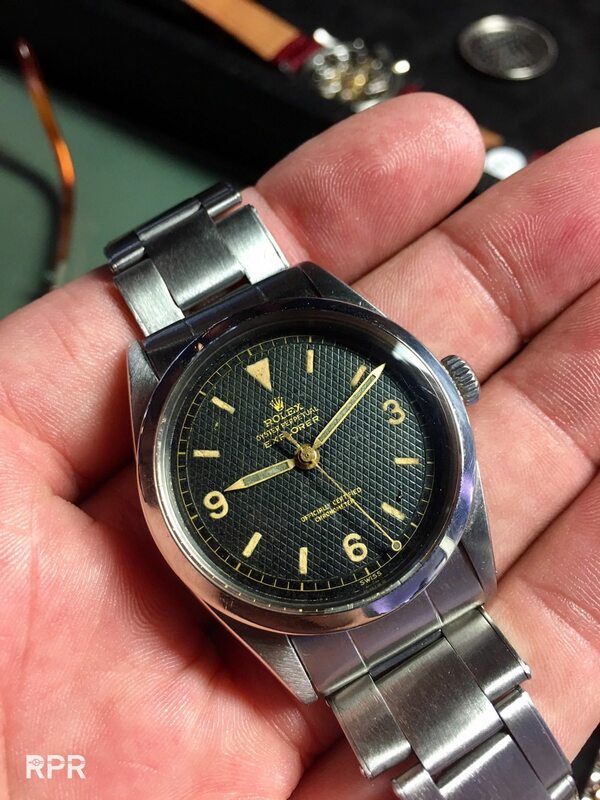 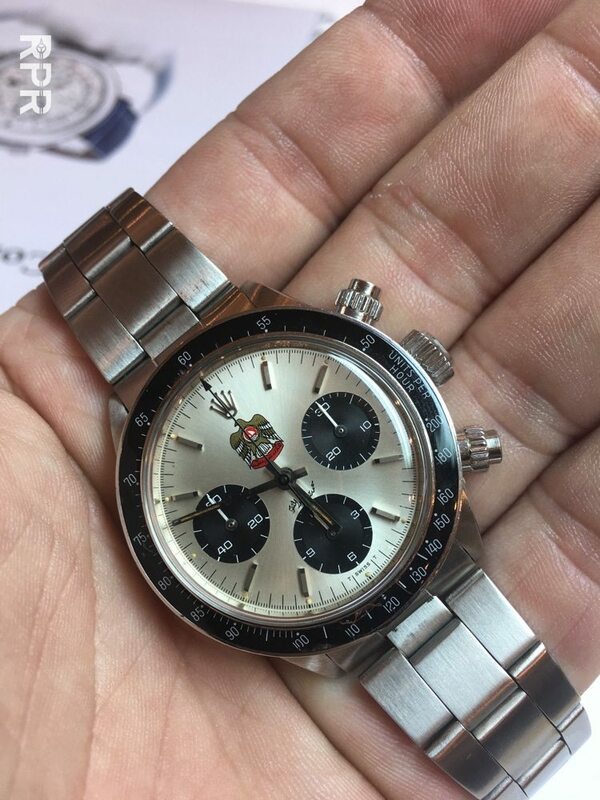 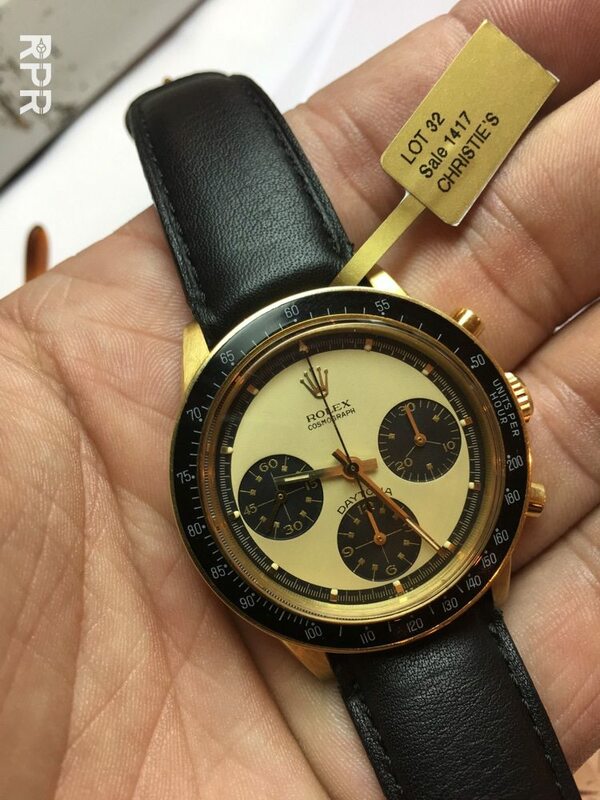 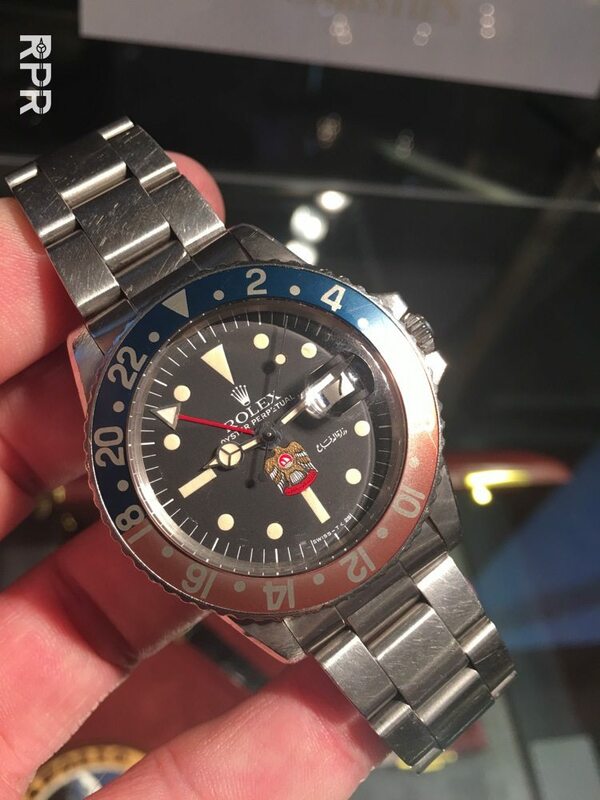 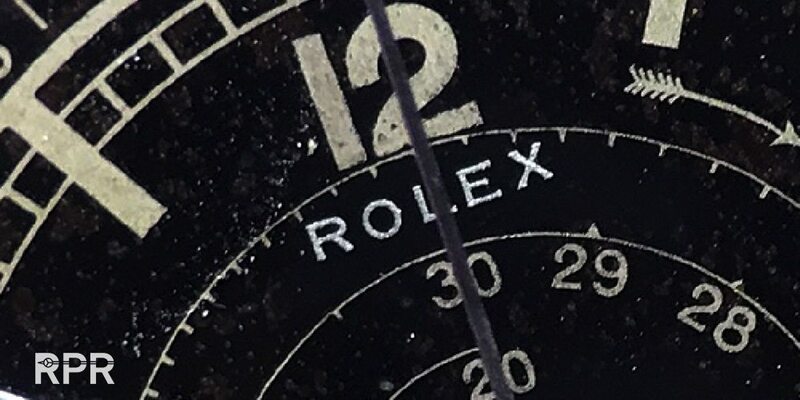 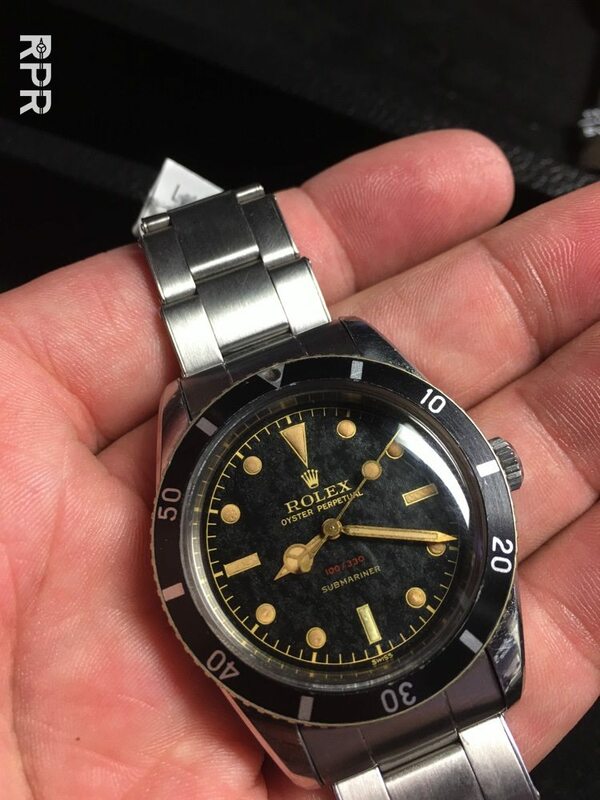 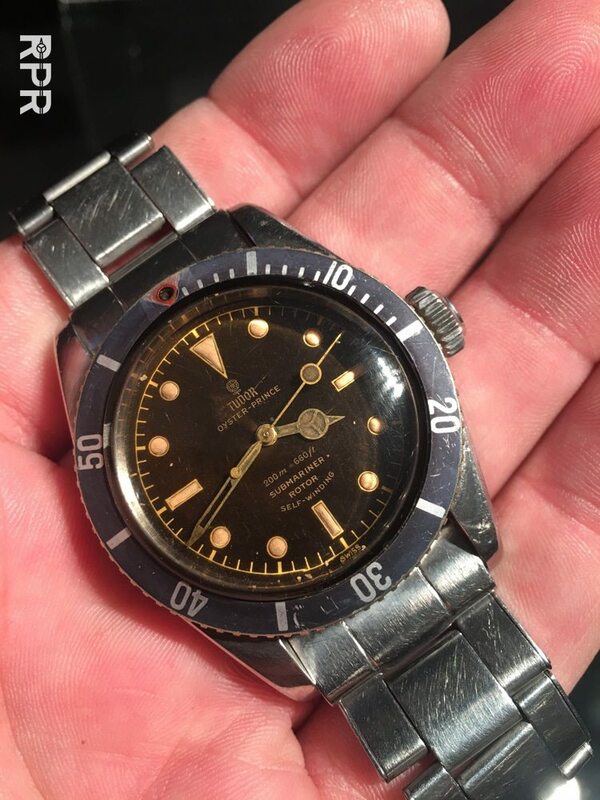 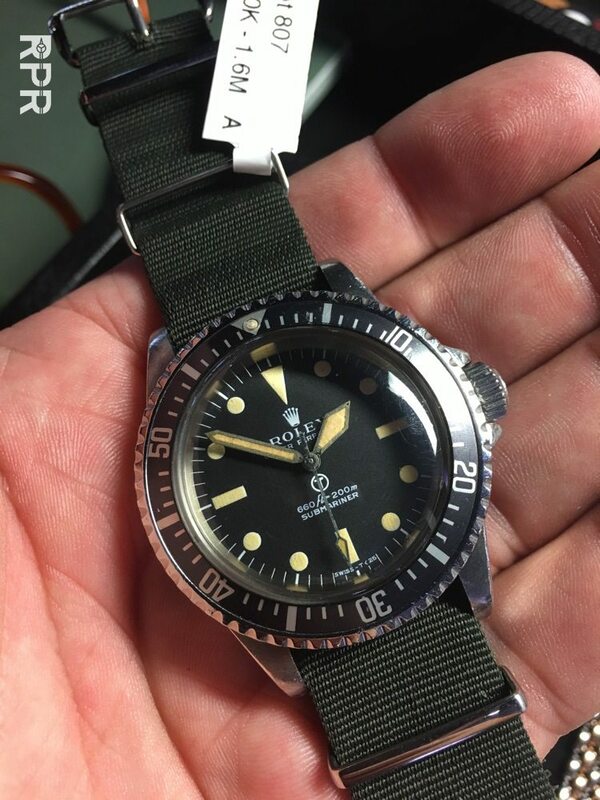 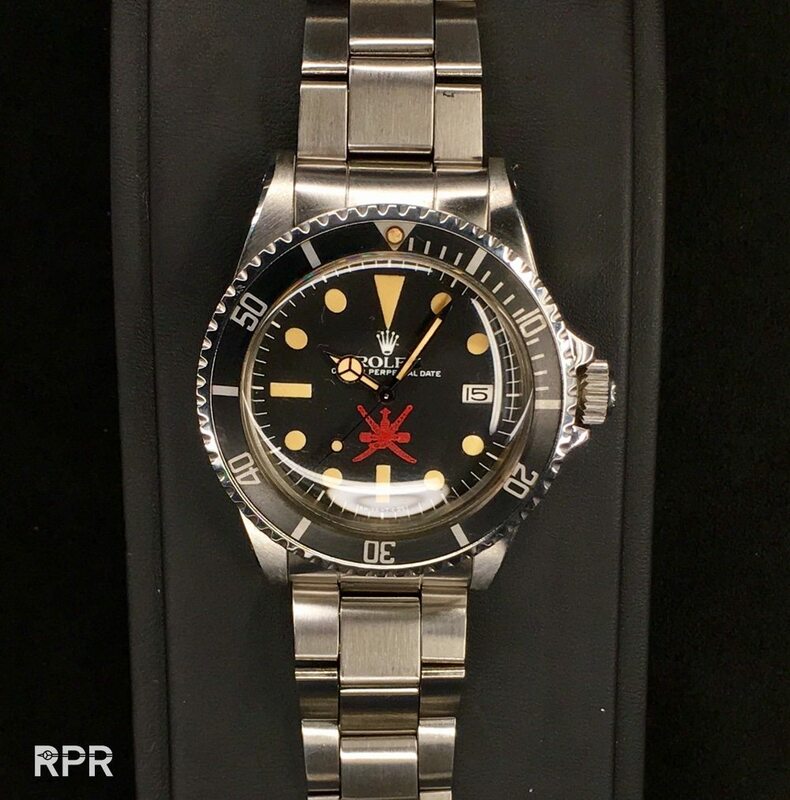 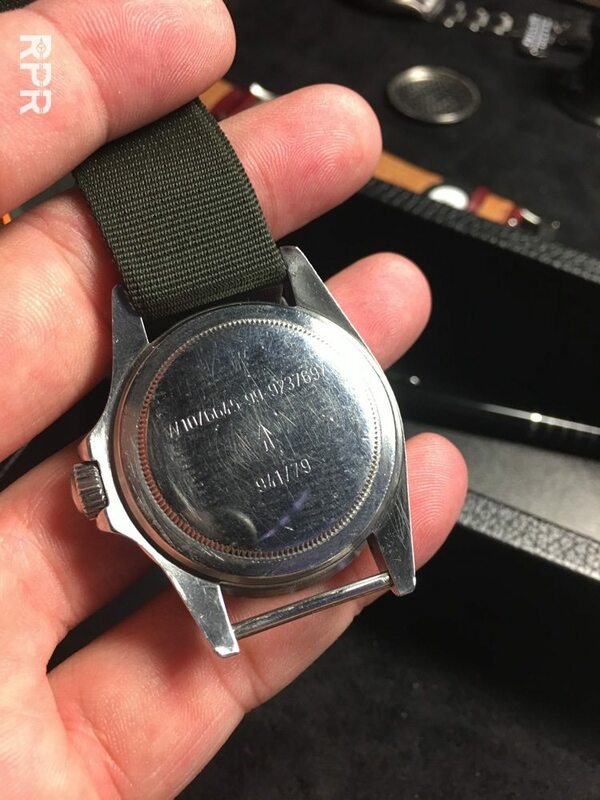 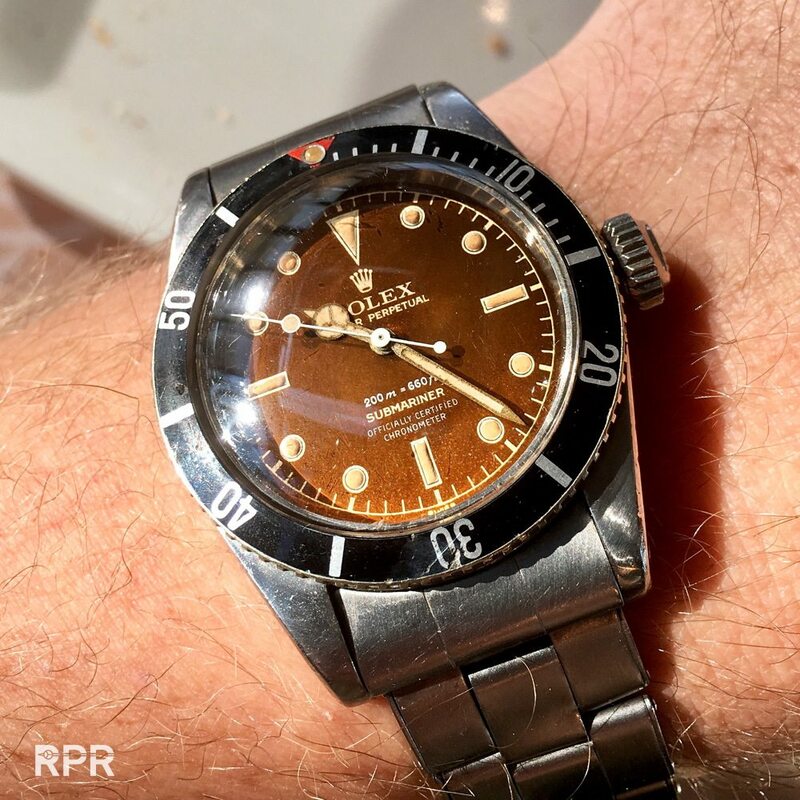 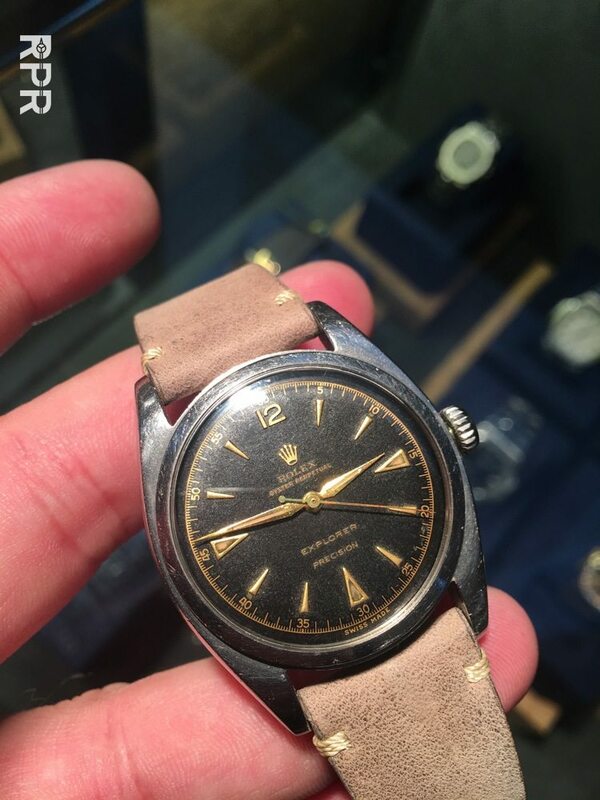 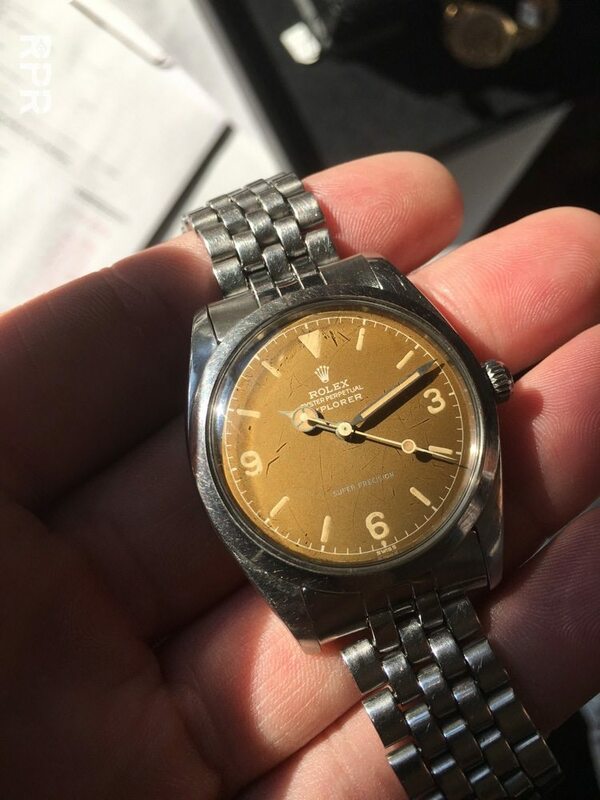 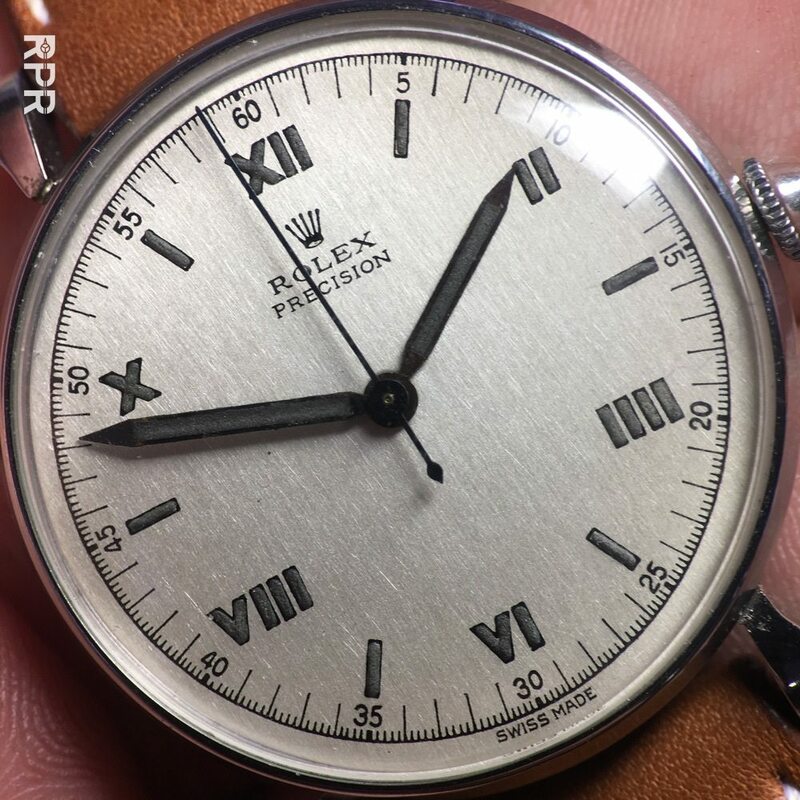 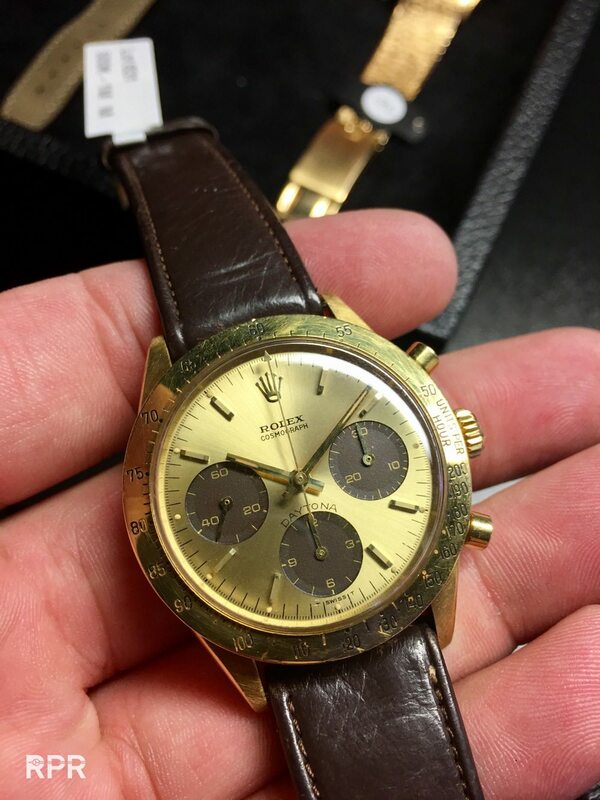 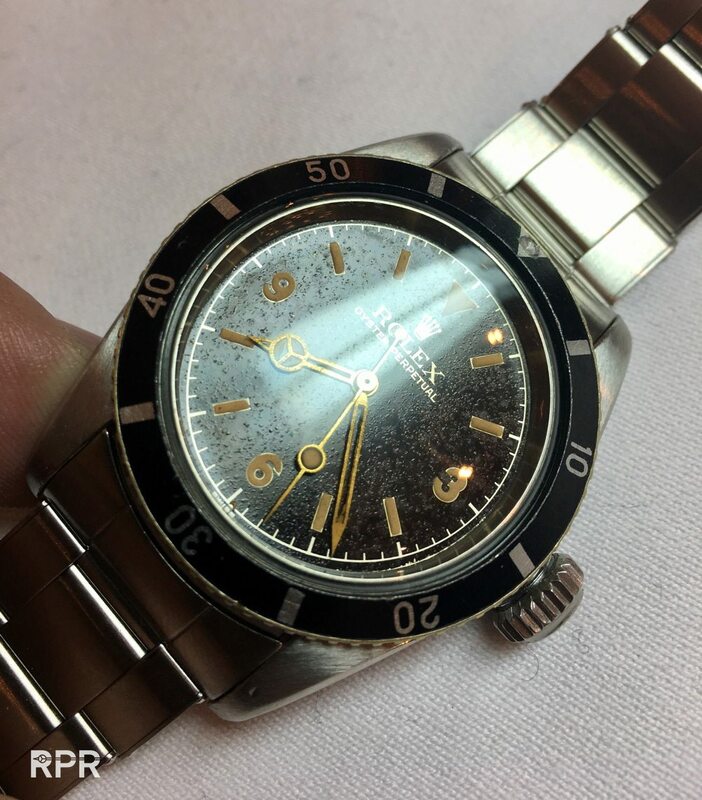 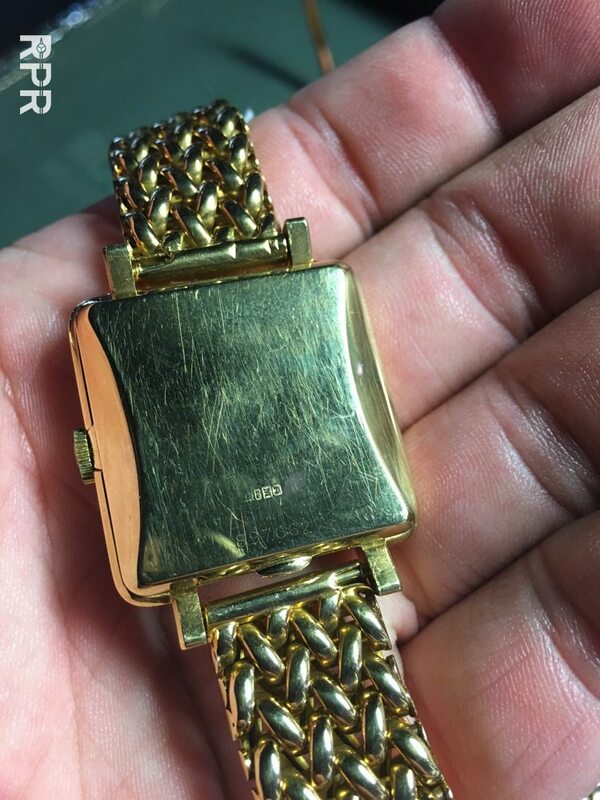 Obviously that luminous wasn’t born on the dial and the rolex print also looks a bit sloppy, not necessary wrong as the restorer might have overprinted, hand painted the original vague Rolex print…. 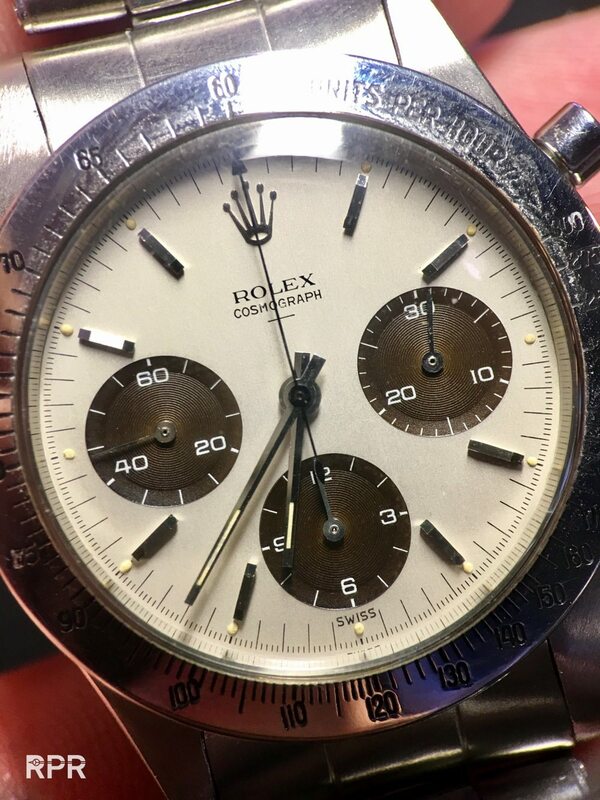 The following Ref 3525 is a ‘fresh’ find according to the auctioneer. 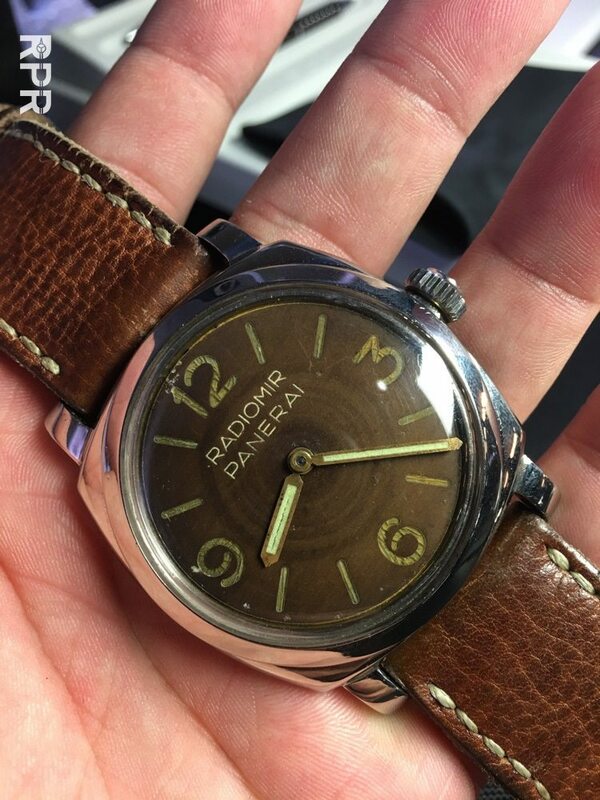 Fresh find are great examples that teach us correct all over matching patina…. 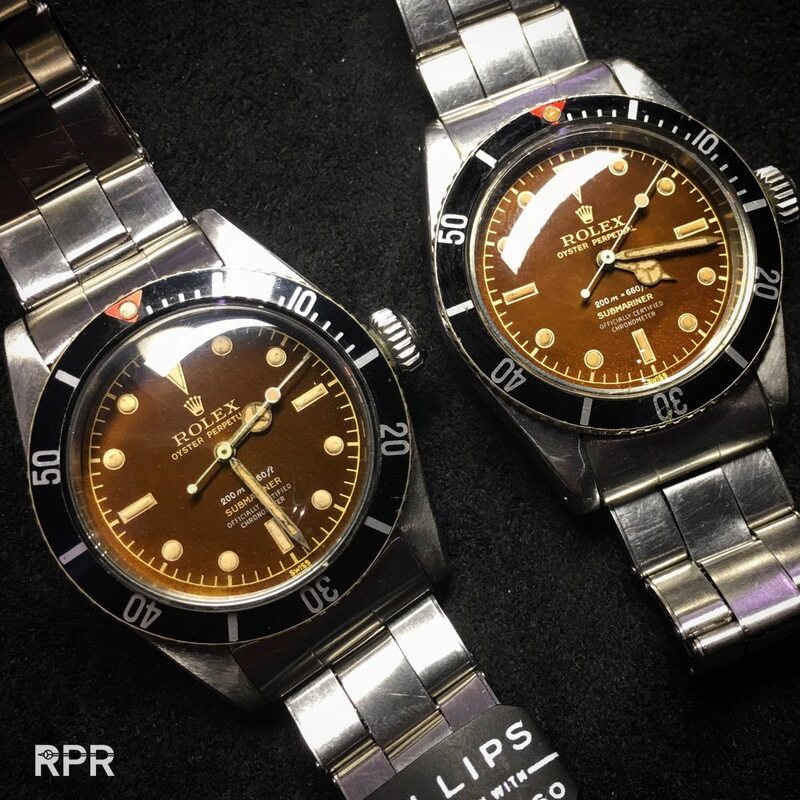 Last but not least, lets make a comparison between nice and great condition. 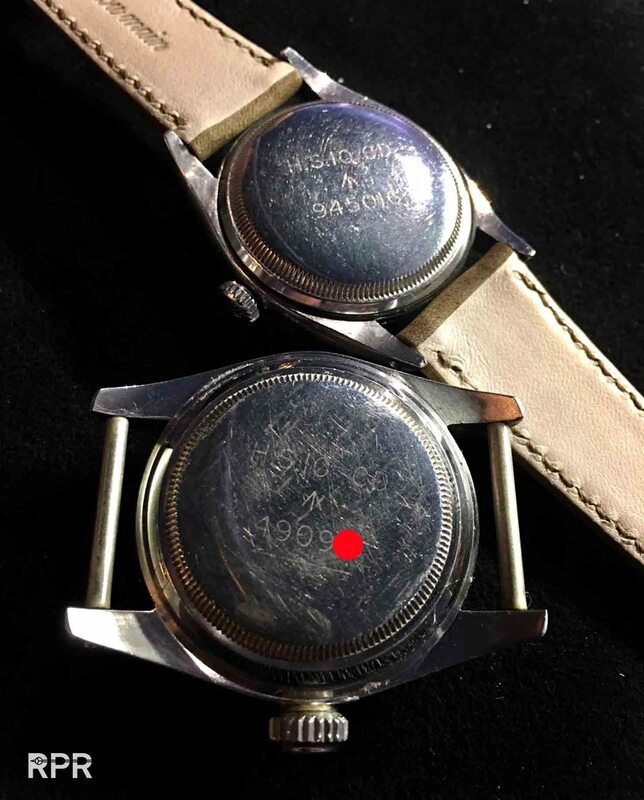 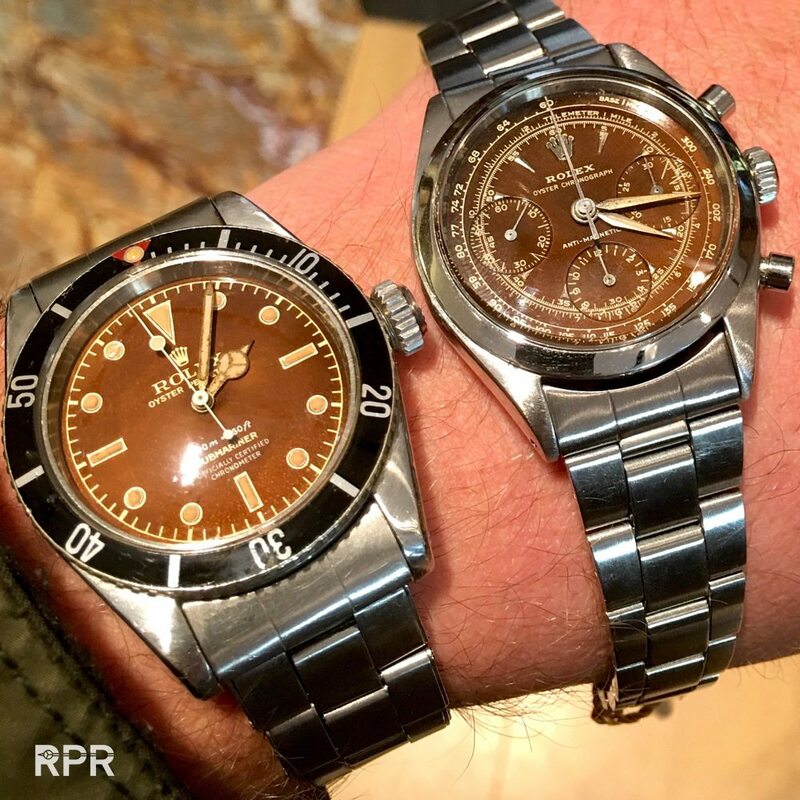 Here are 2 x rare Ref 6239 double swiss underline. 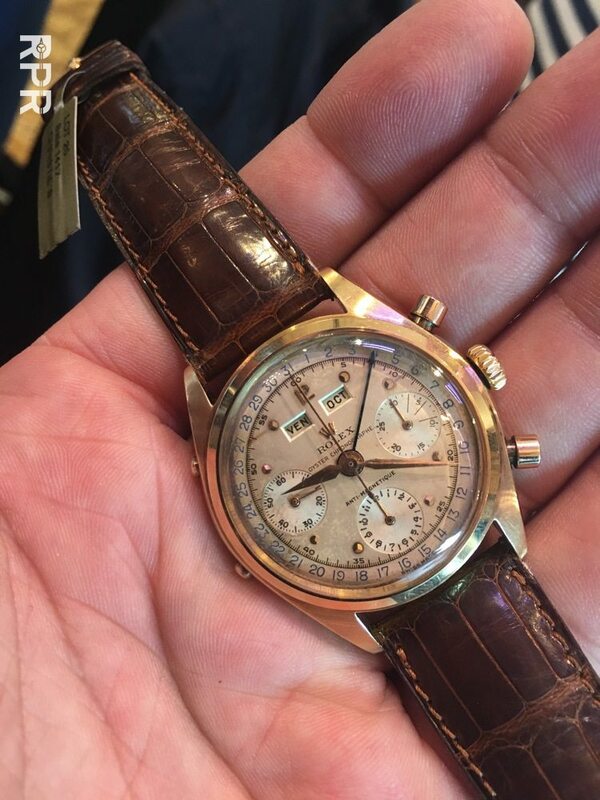 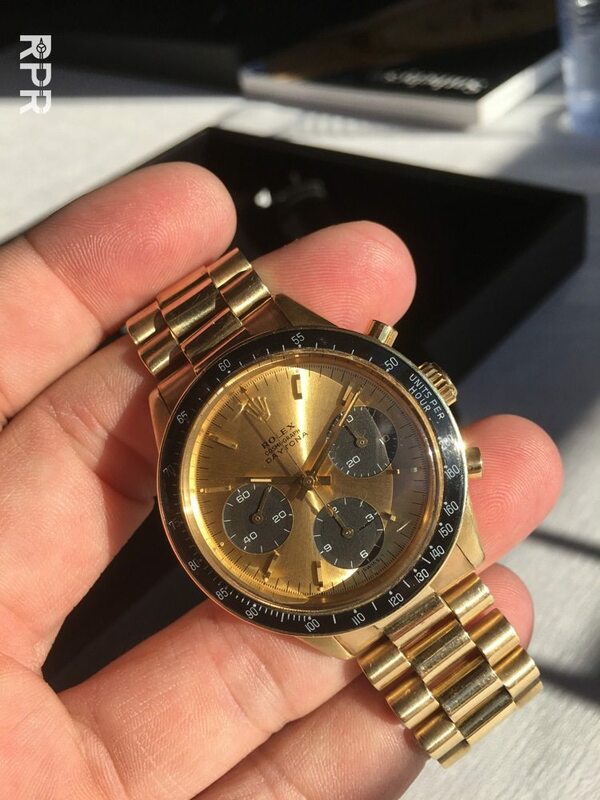 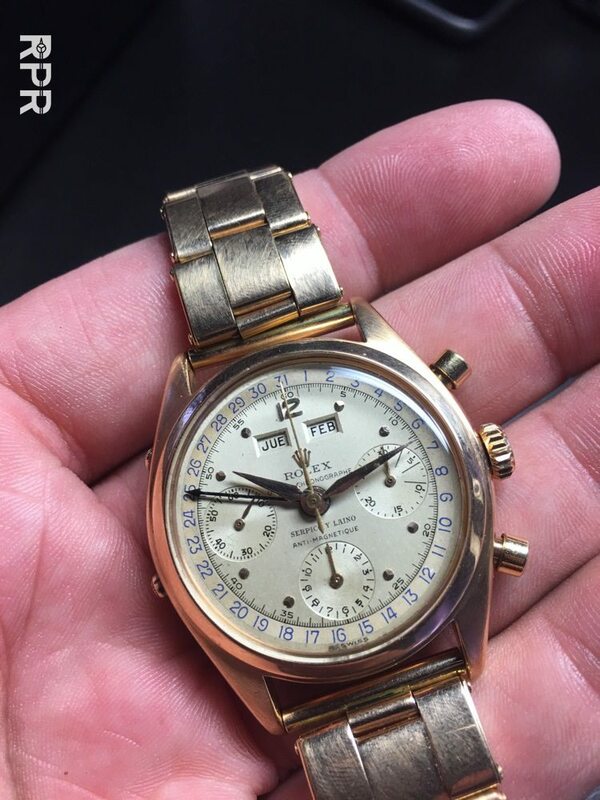 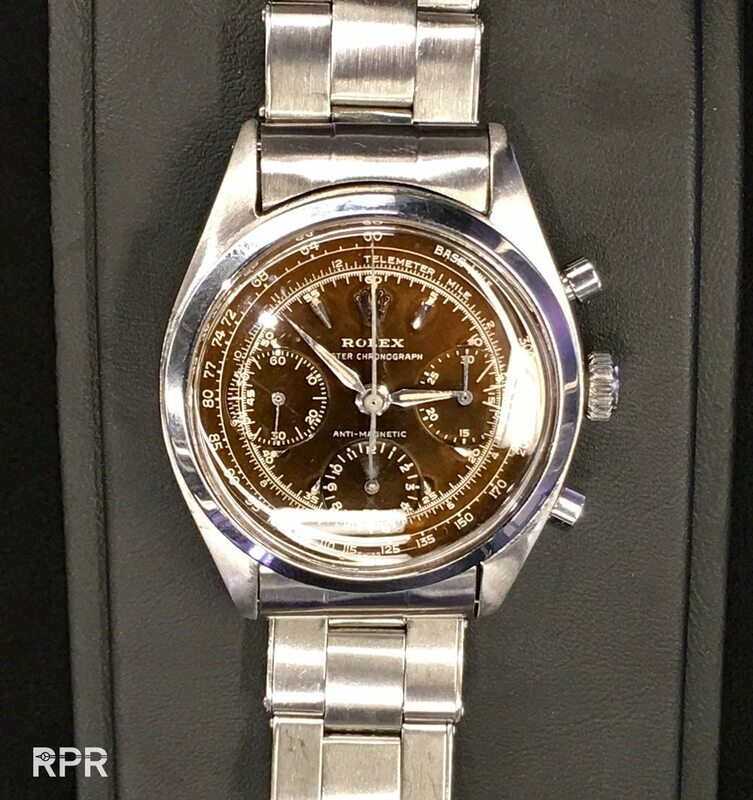 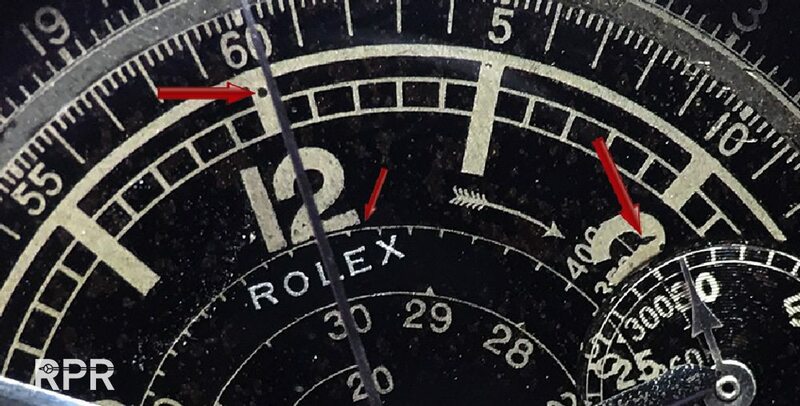 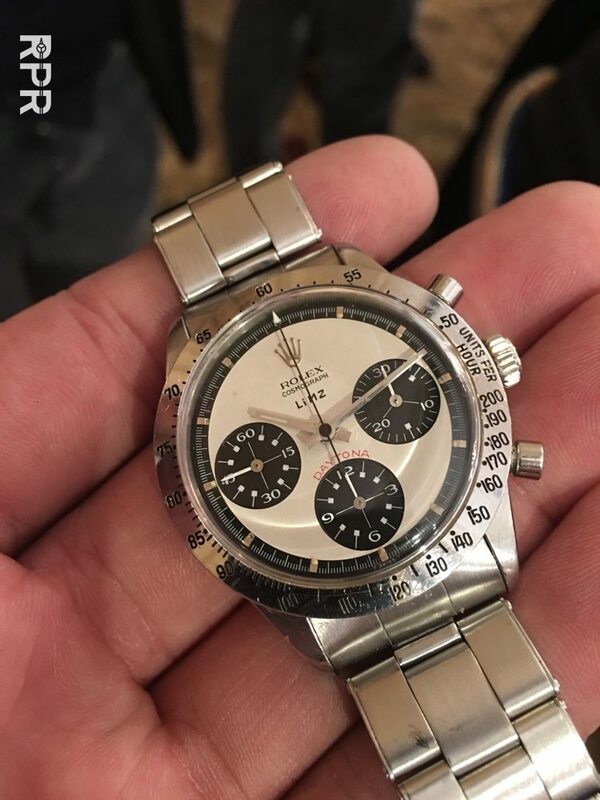 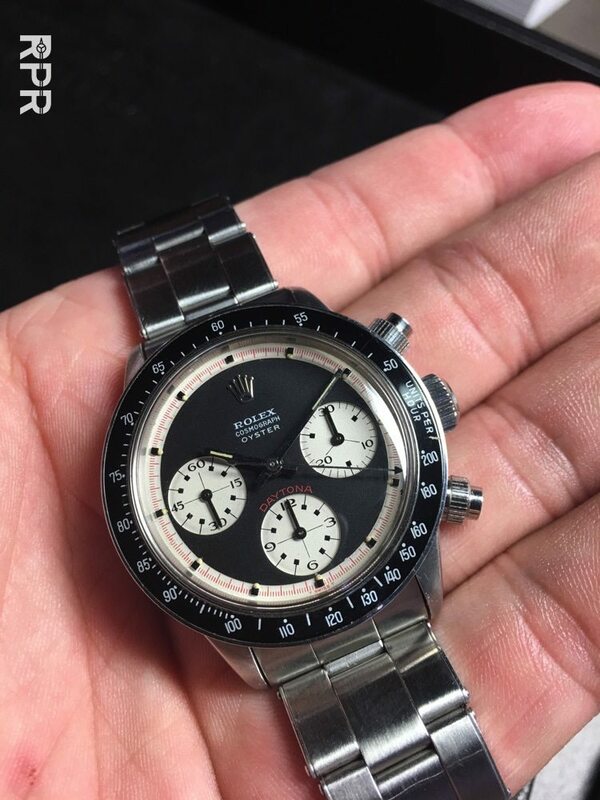 One of the earliest Daytona’s Rolex made with serial numbers below 1 million. 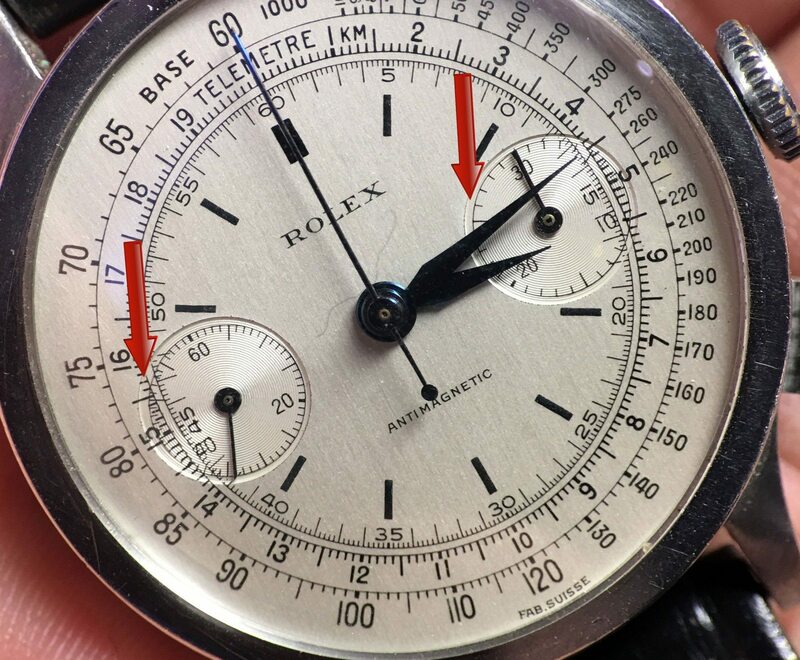 The cream grené dial surface is very sensitive for moisture and most of the times we see examples like the left one from Christie’s with pitting, broken luminous dots, wrong hands in the subdials and polished case, clearly visible from the worn out steel bezel. 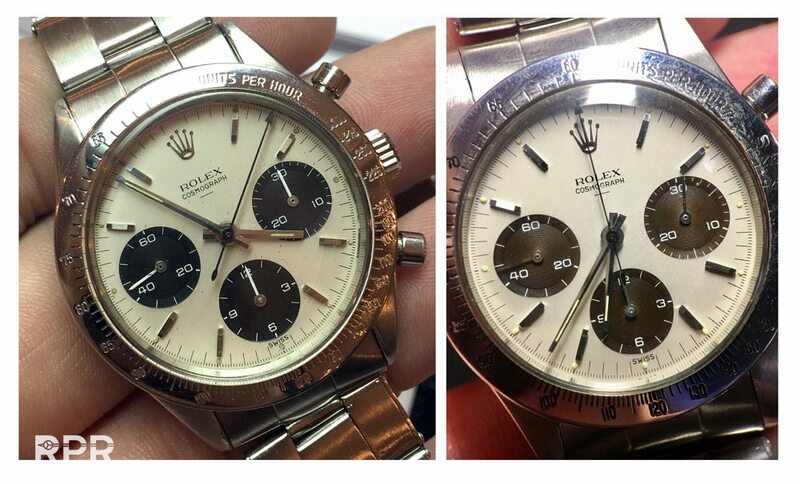 The price difference is huge between these two brothers. 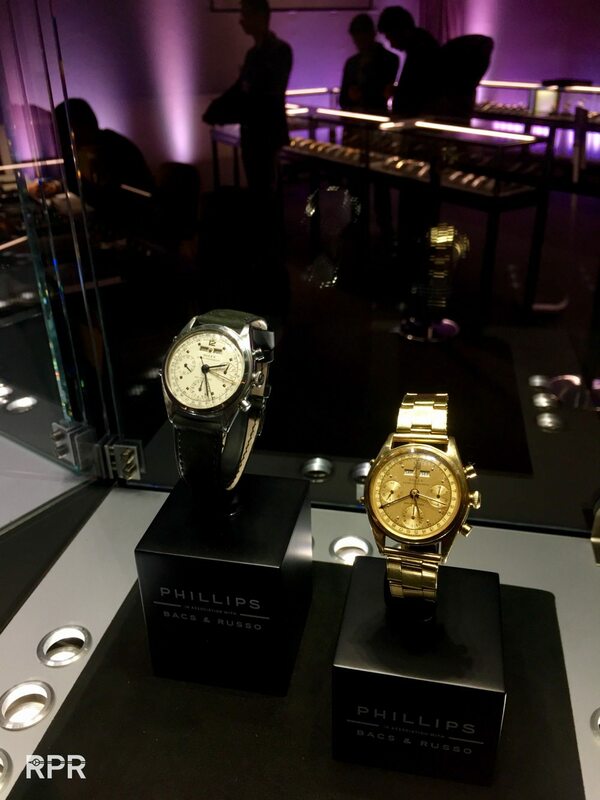 The left one at christie’s was unsold with an estimate of CHF 60-90.000,= and the right tropical one sold at Phillips CHF 310.000,=. 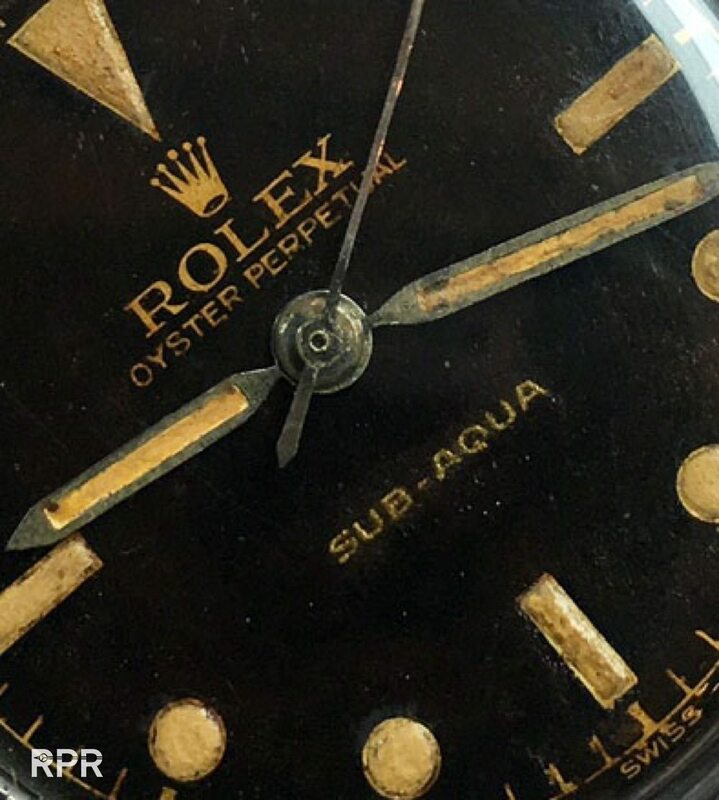 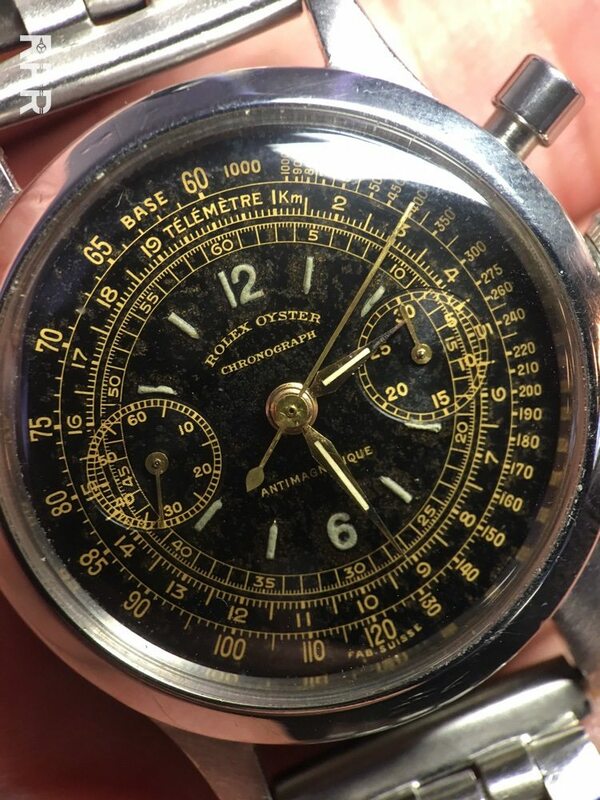 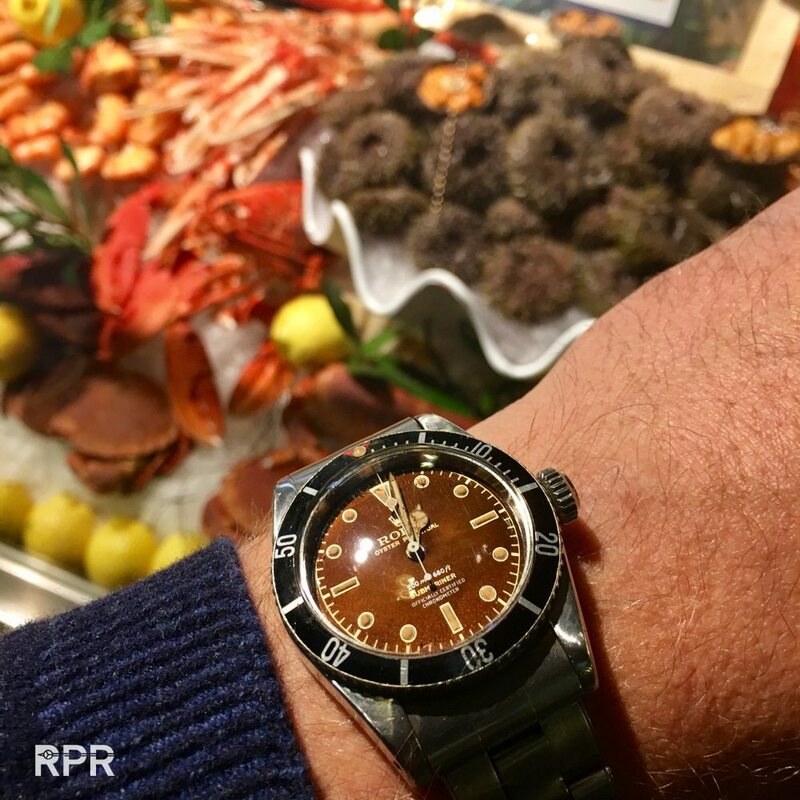 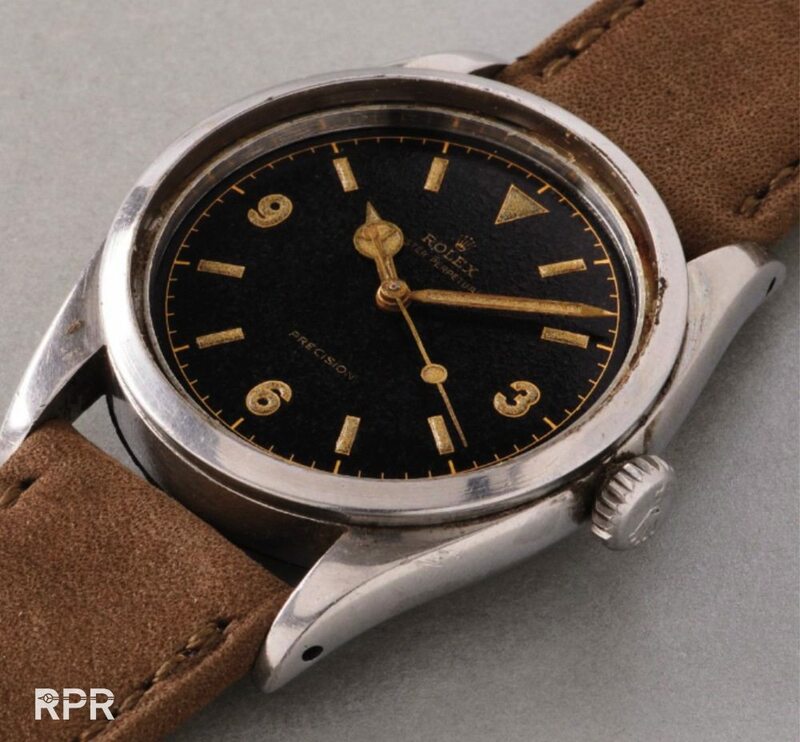 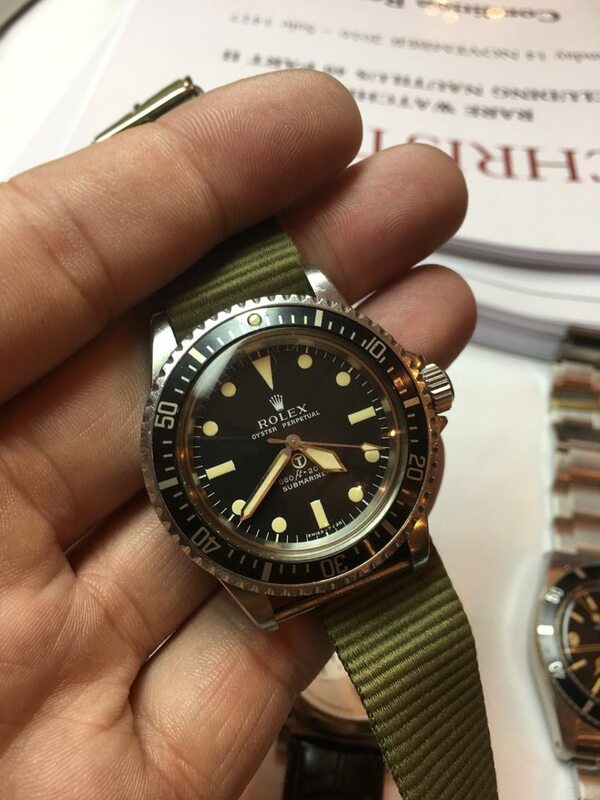 Quality rules, remember when you’re buying your next vintage Rolex, no matter the reference try to buy the best possible condition you wallet allows you to!.. 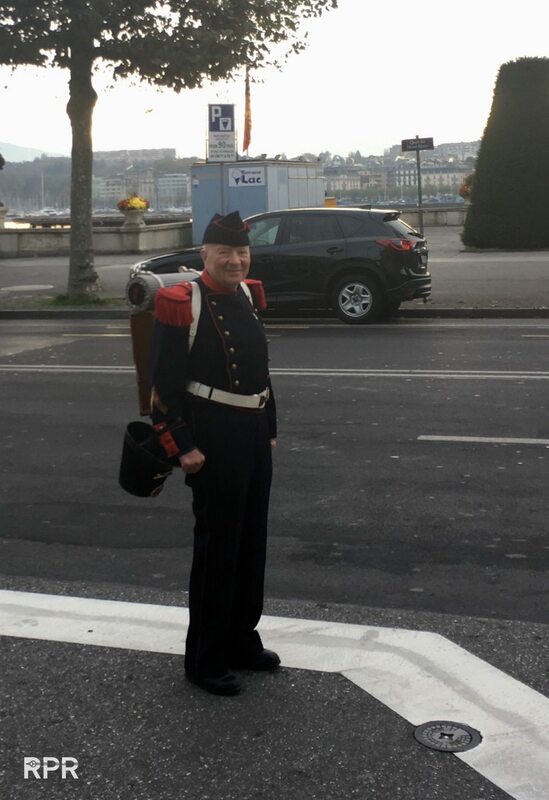 Heading back home. 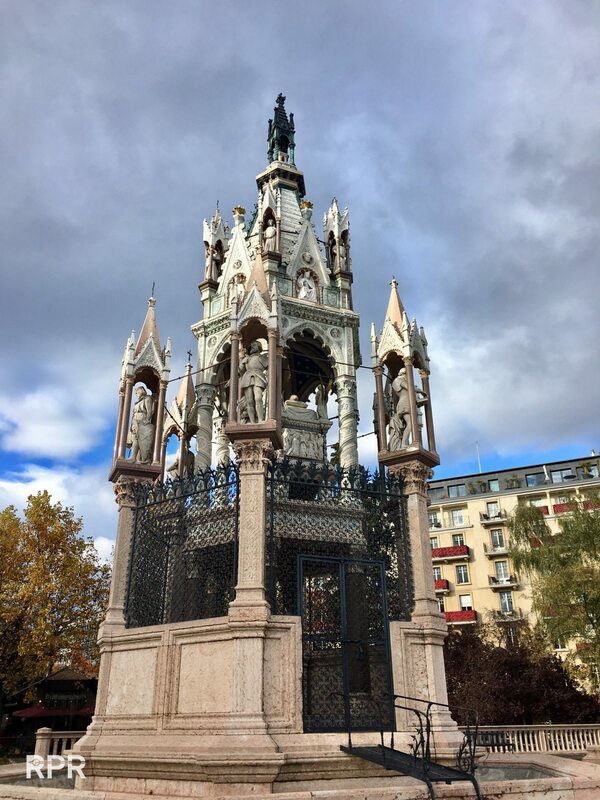 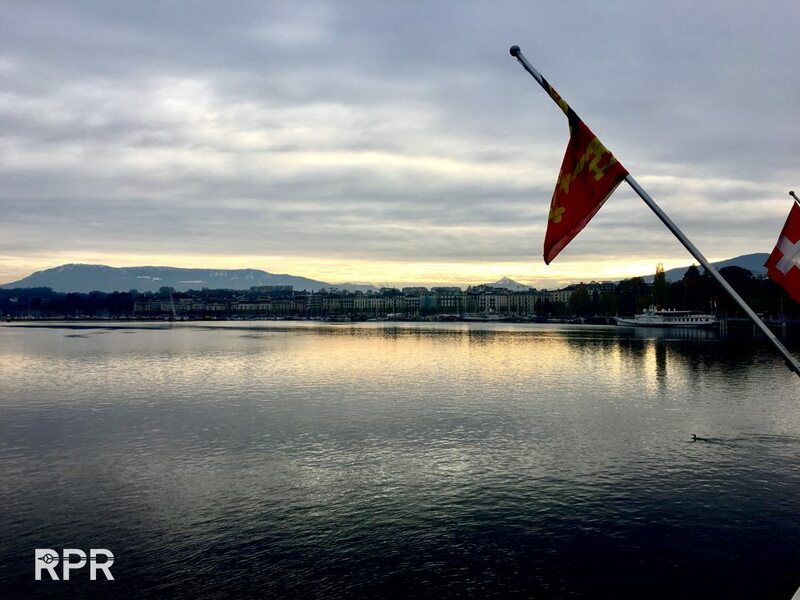 Thanks again Geneva, it was yet another great experience !! 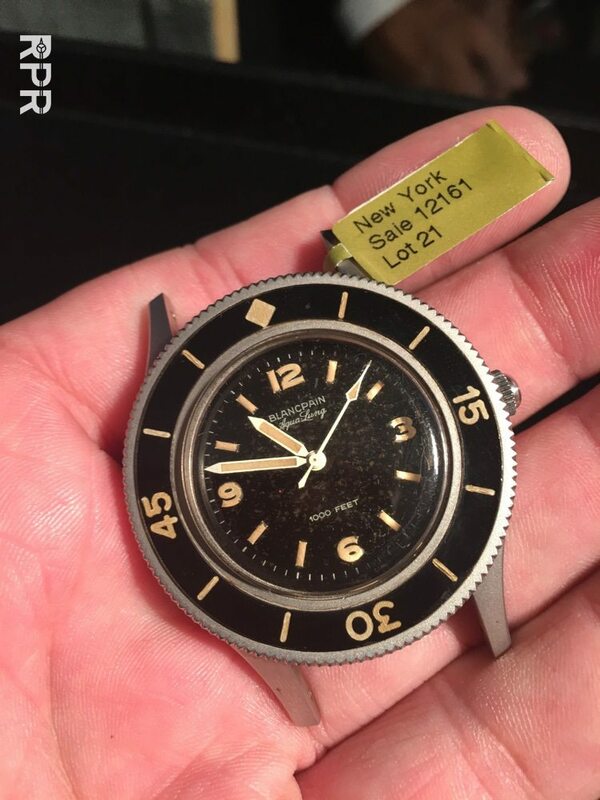 I like to thank all my collector friends, dealer friends and auction house friends. 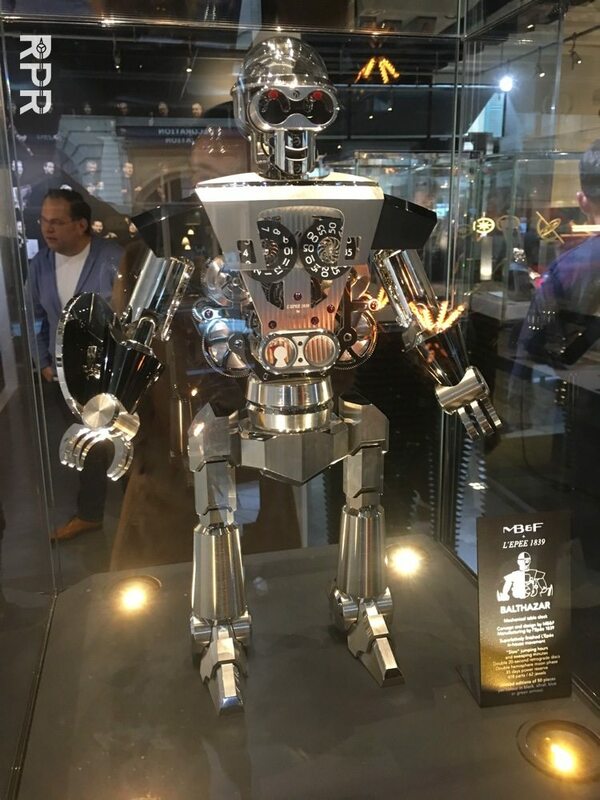 It was really nice seeing you all again. 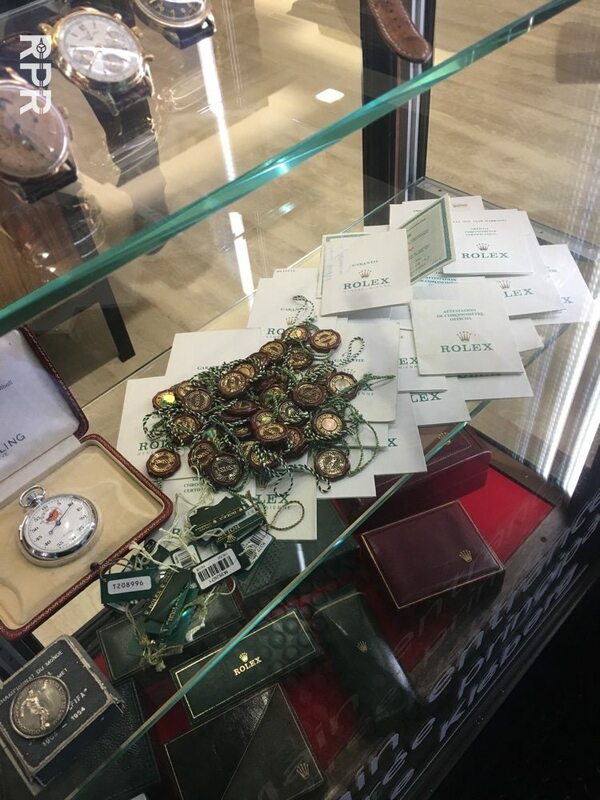 Lot’s of great passion you have! 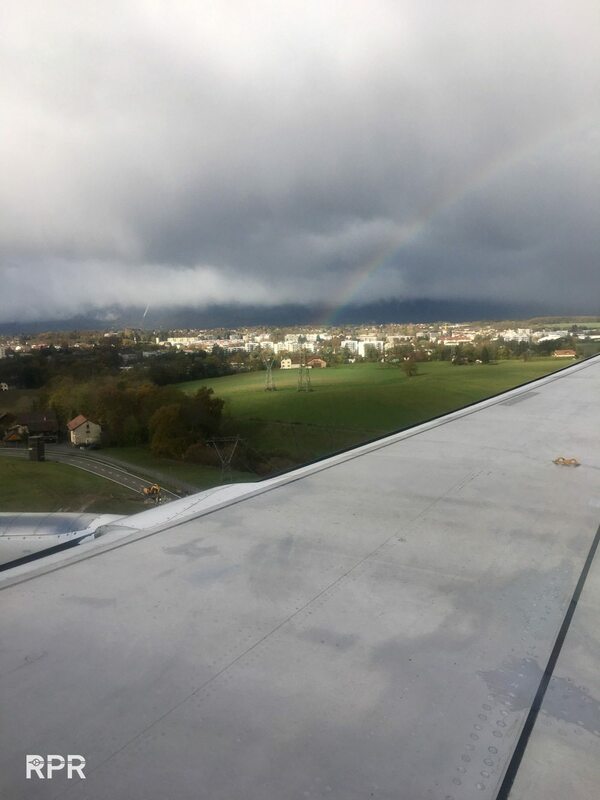 Safe trips and good luck! 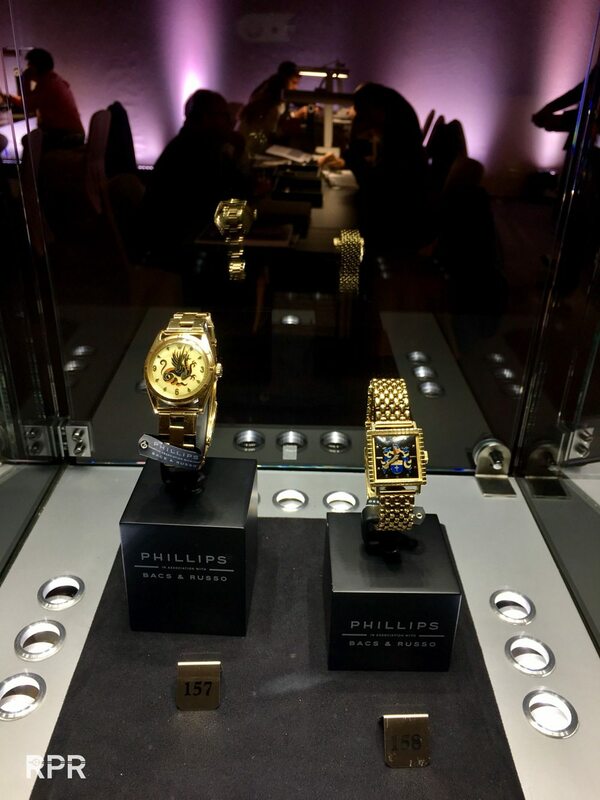 This post was written by Philipp on November 15, 2016.